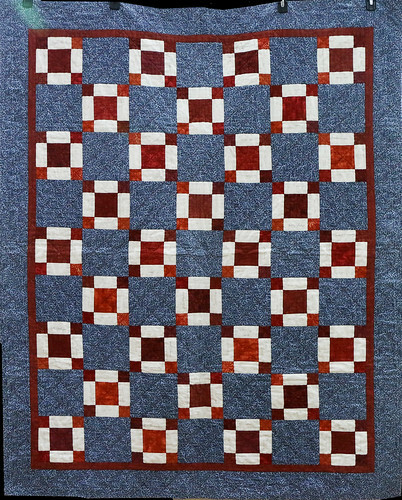 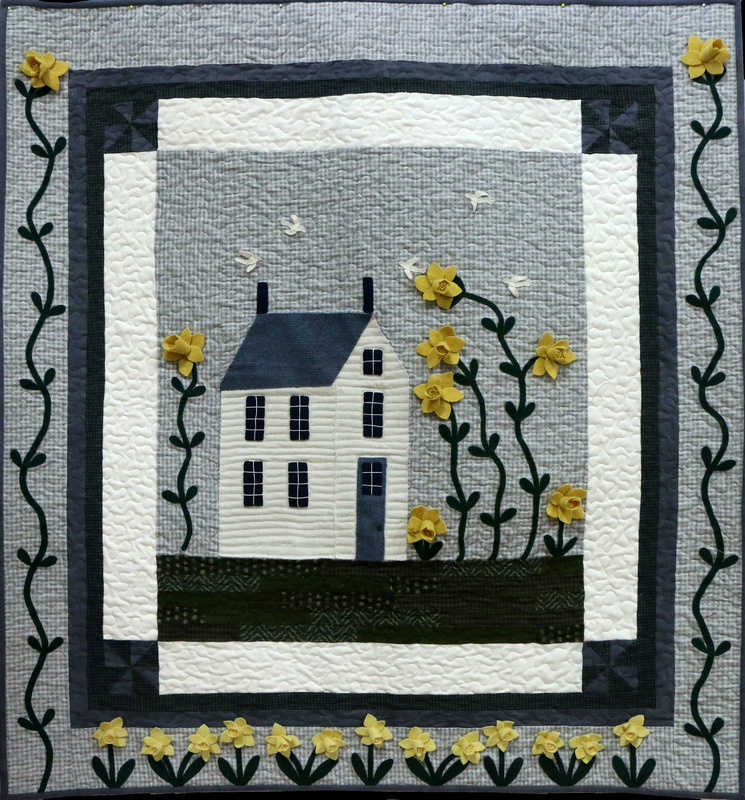 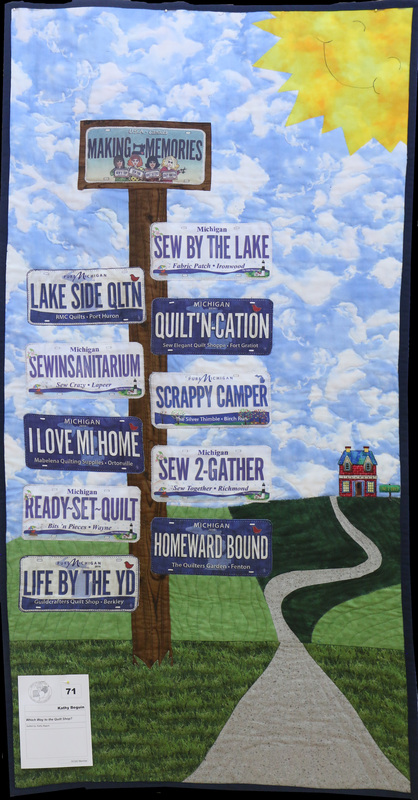 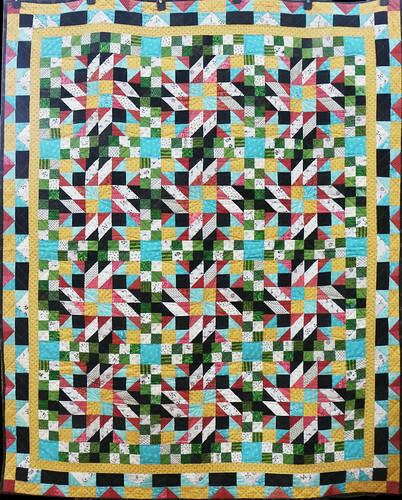 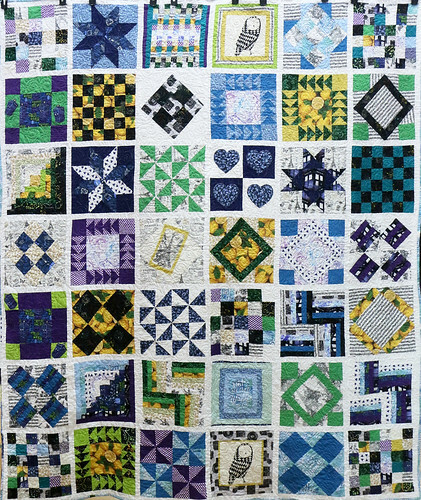 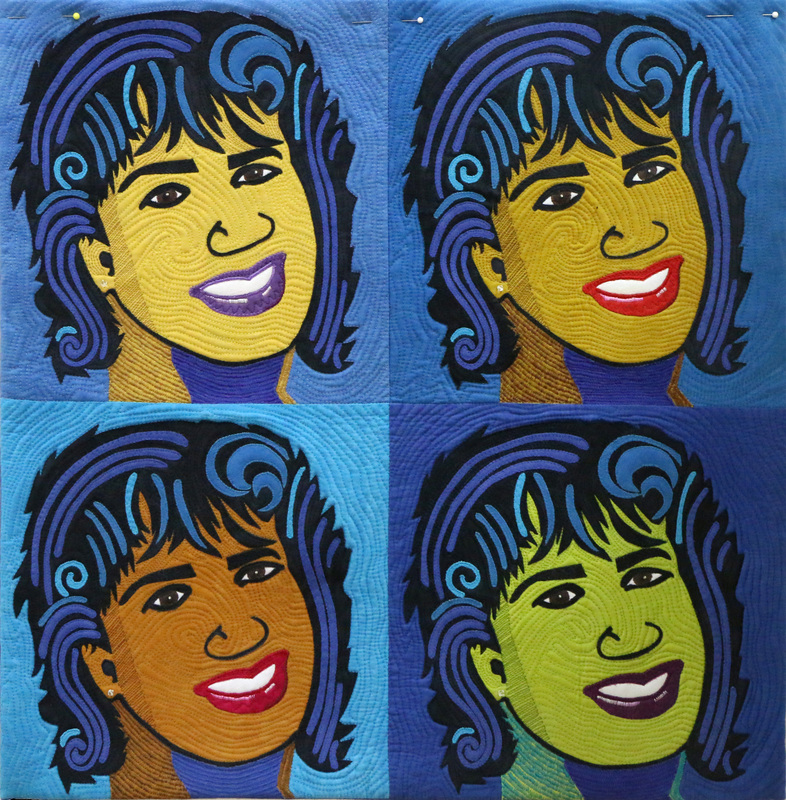 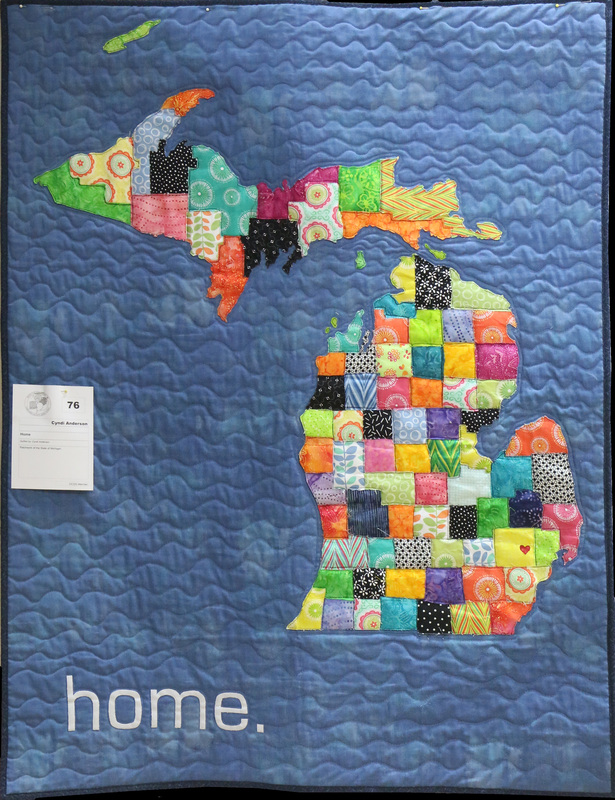 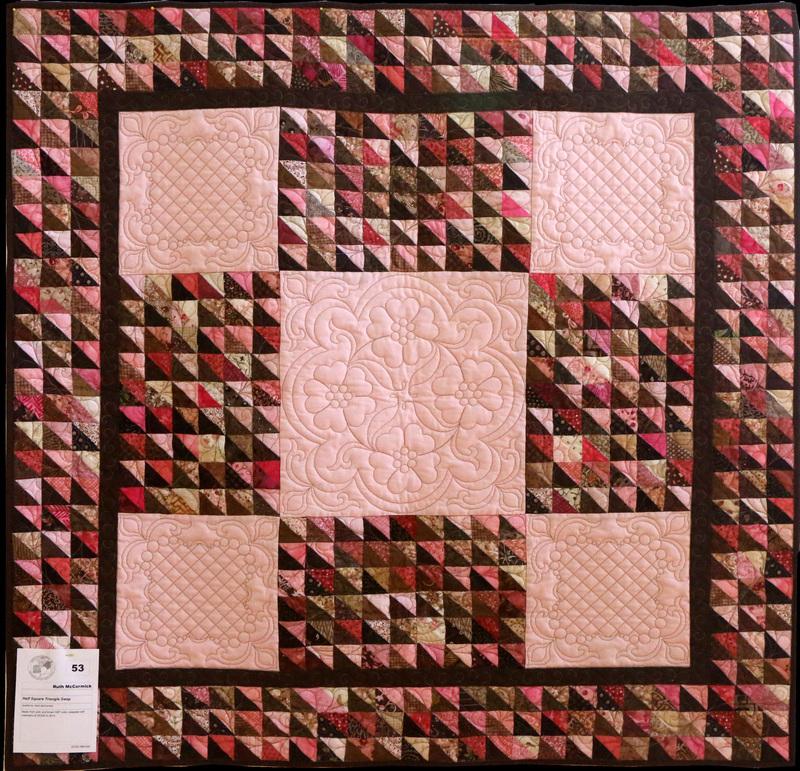 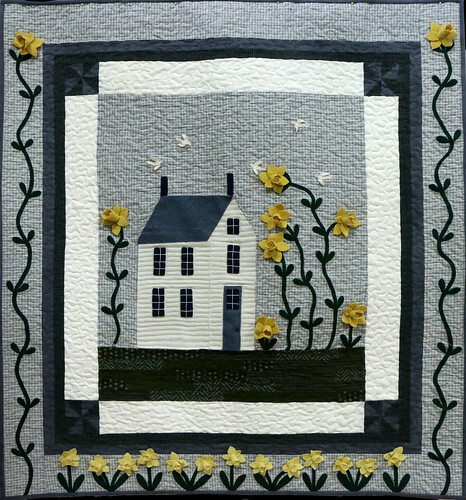 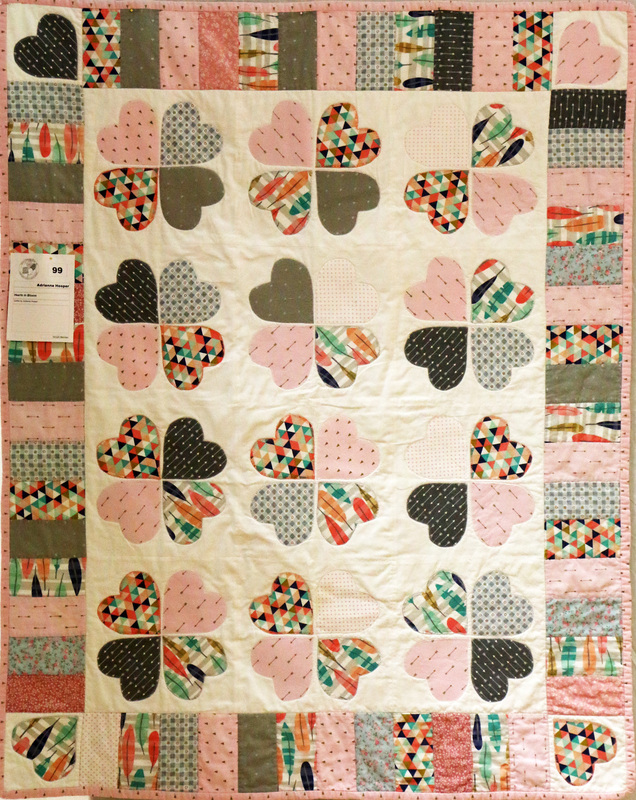 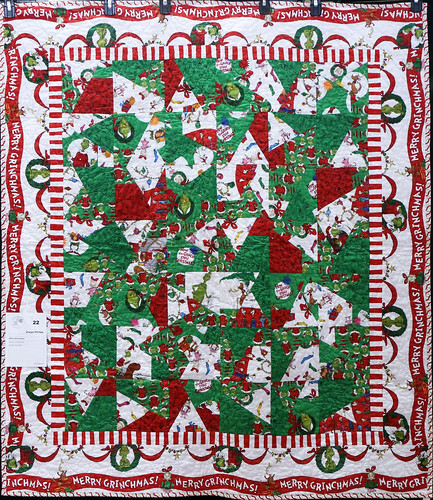 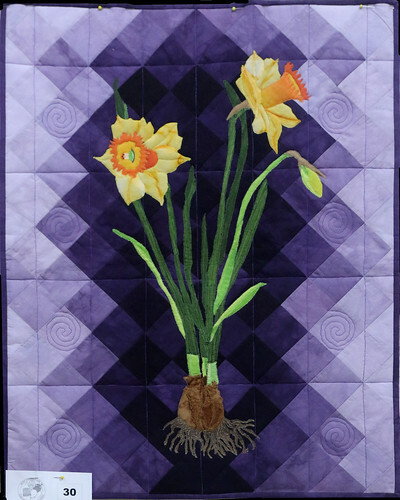 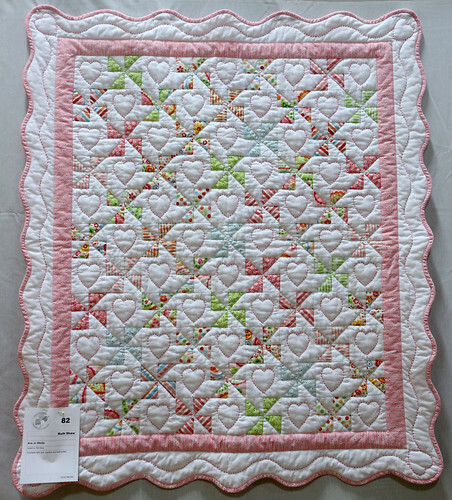 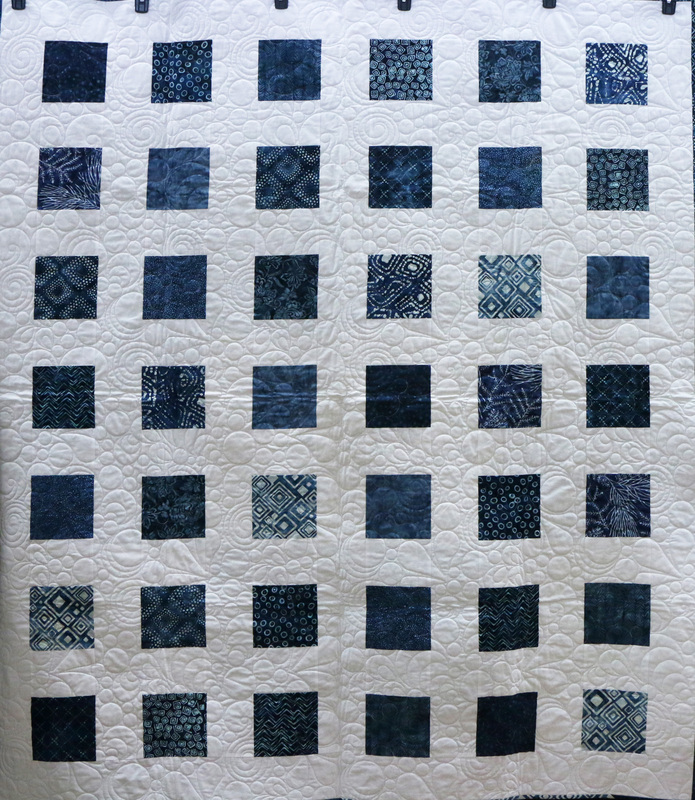 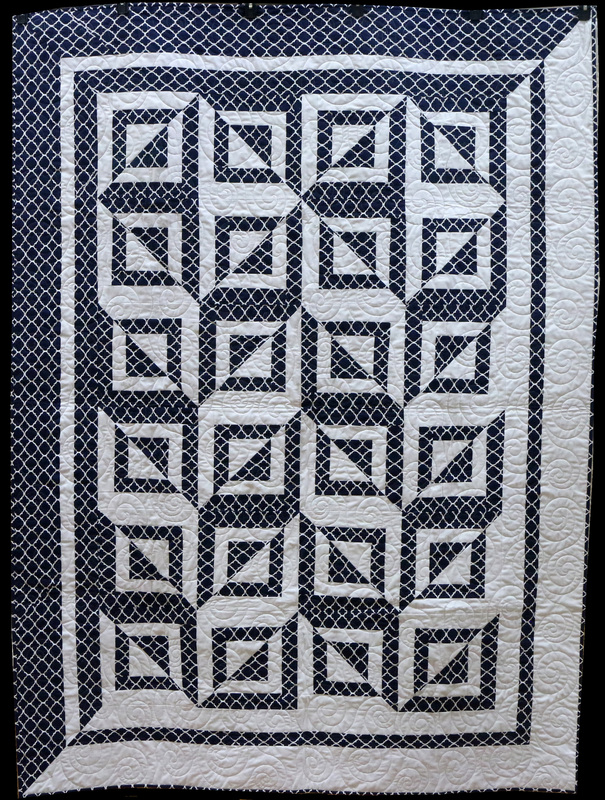 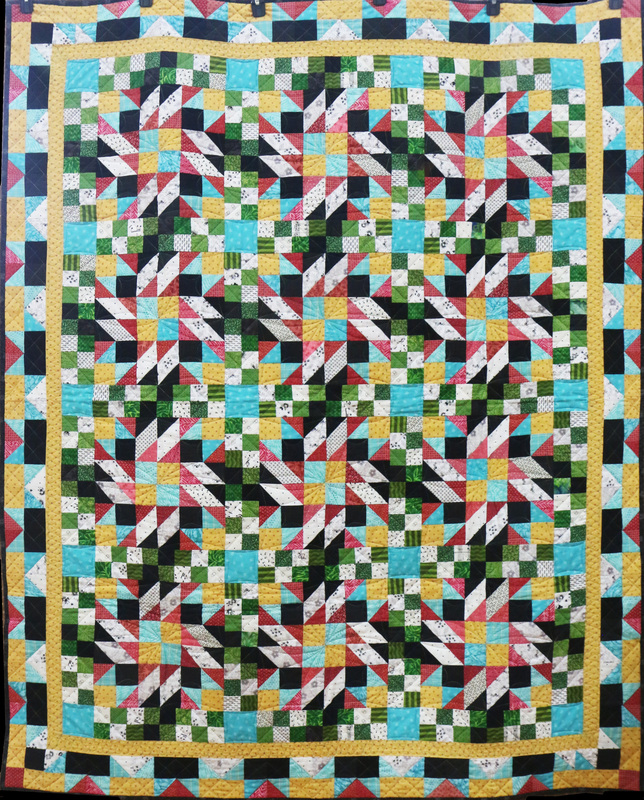 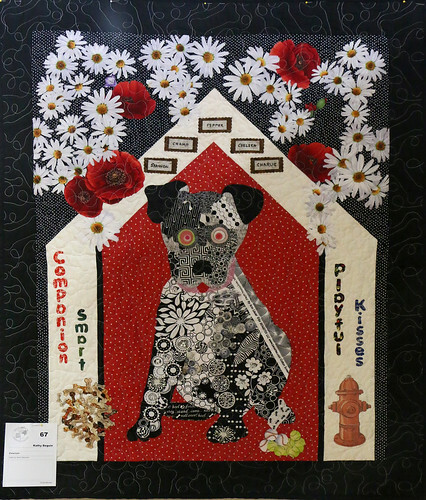 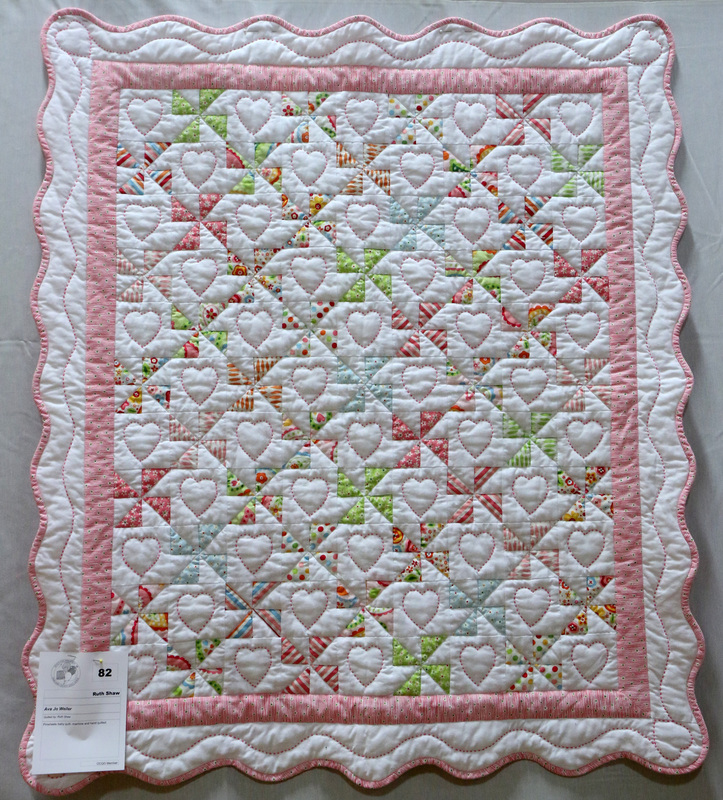 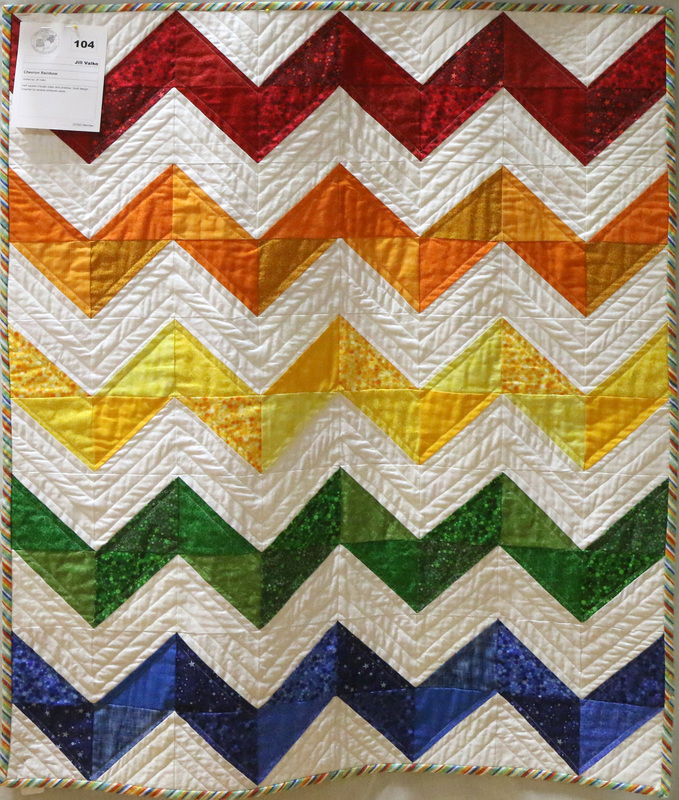 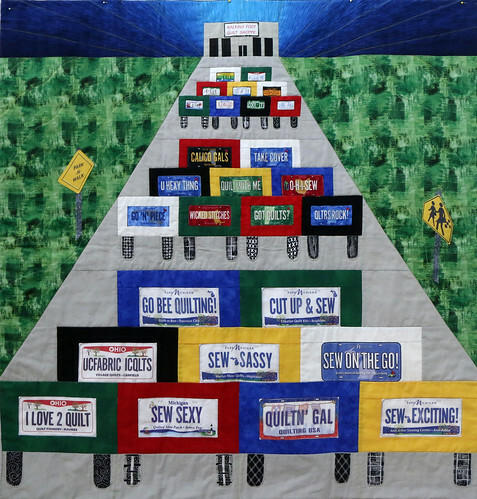 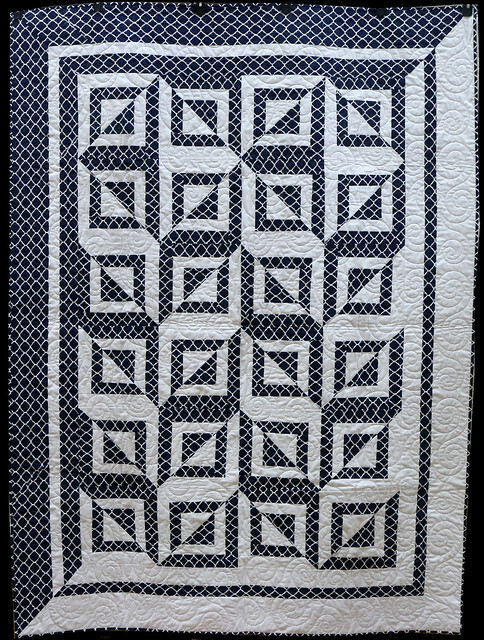 This quilt was made for my sister in law who worked in the Tippecanoe county Court House in Lafayette, IN. 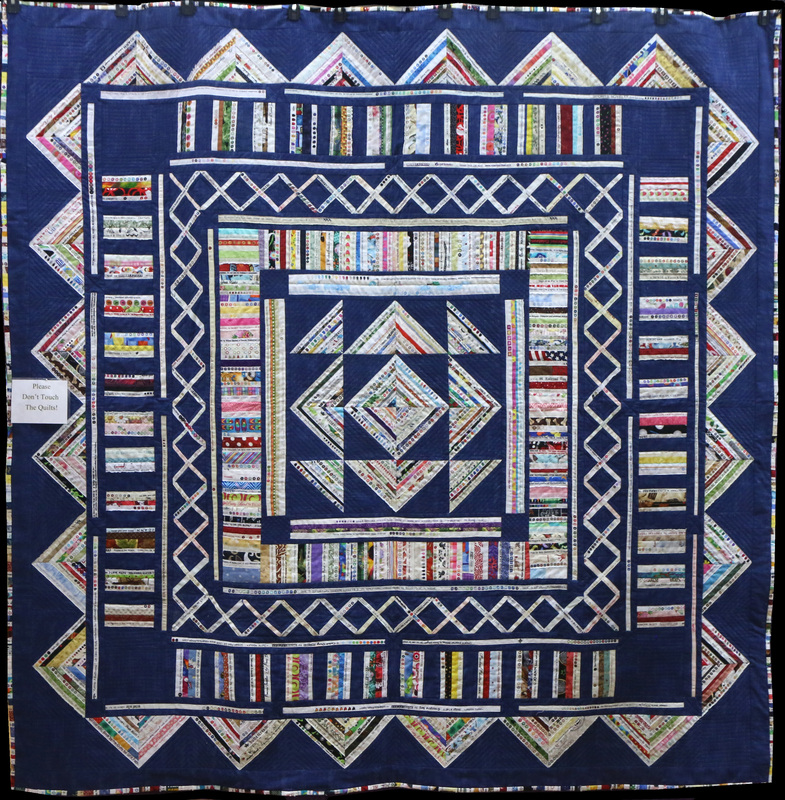 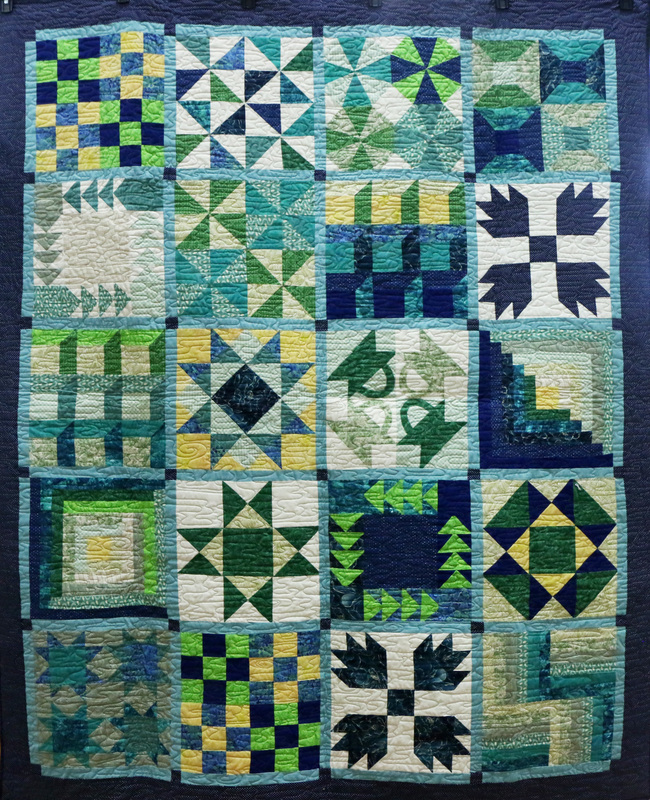 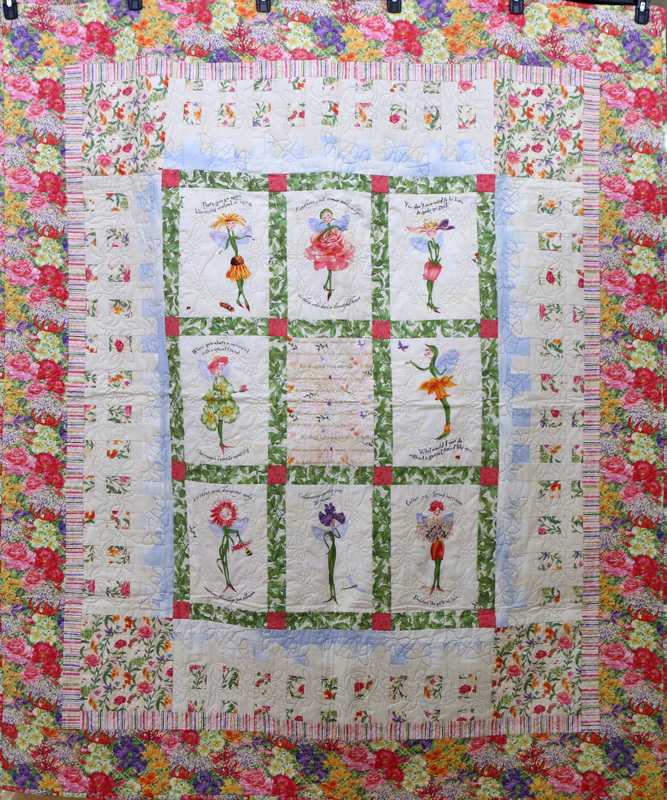 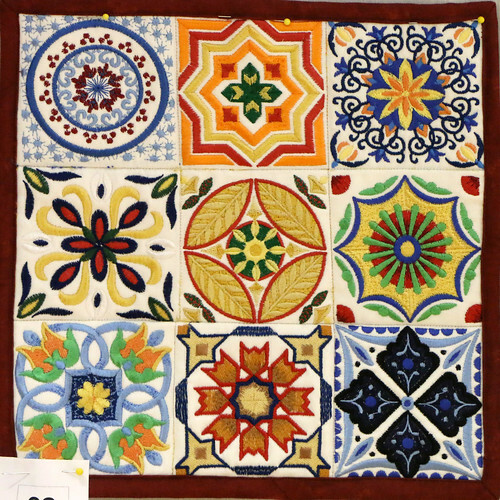 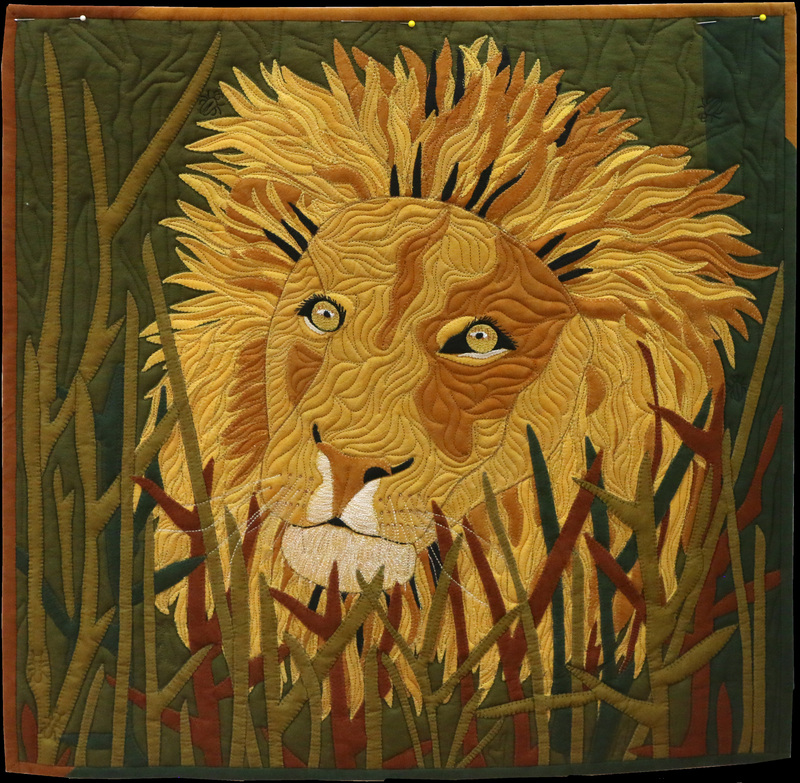 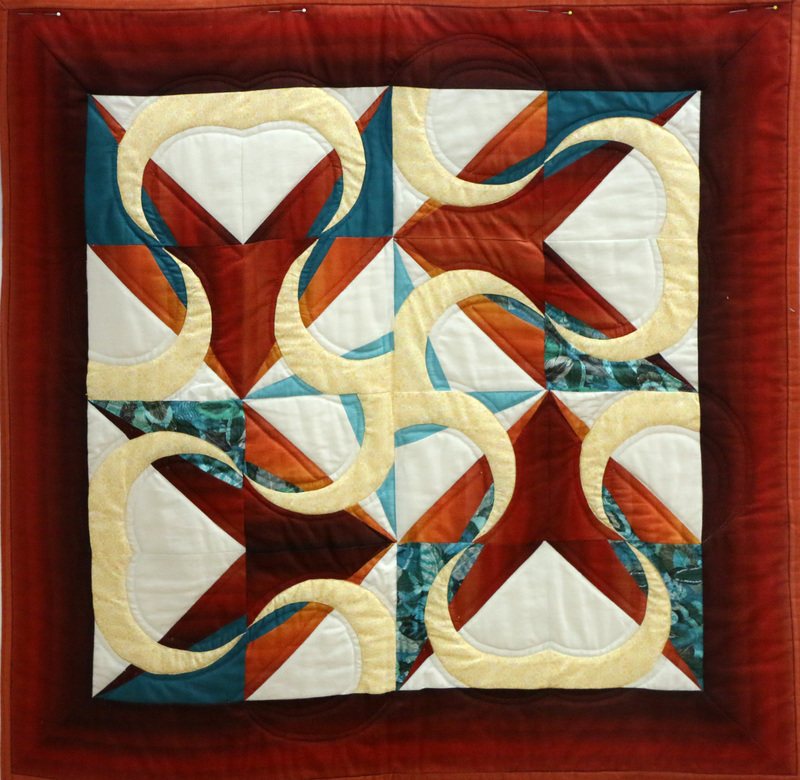 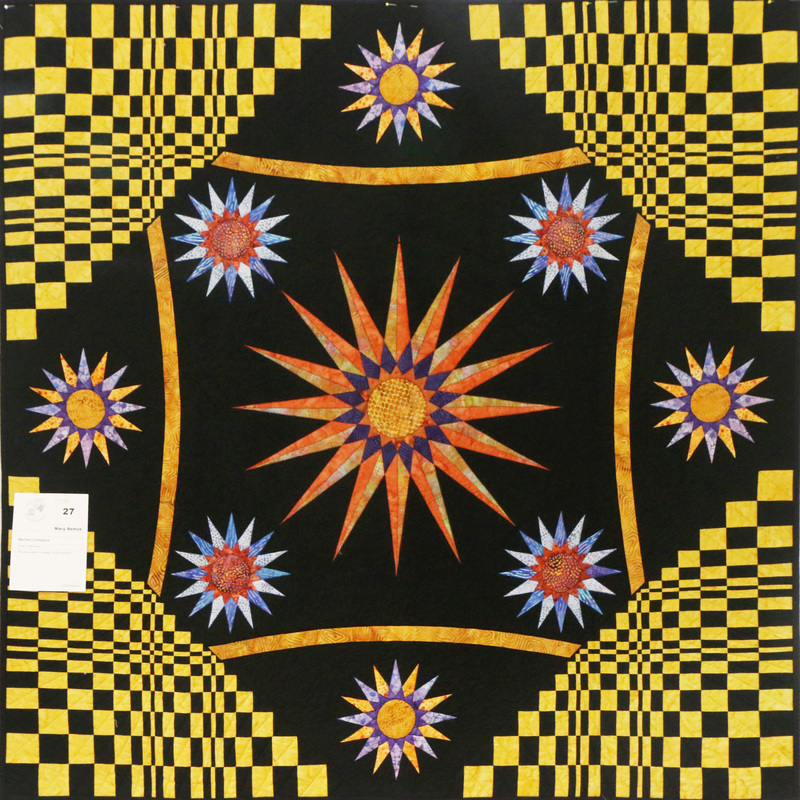 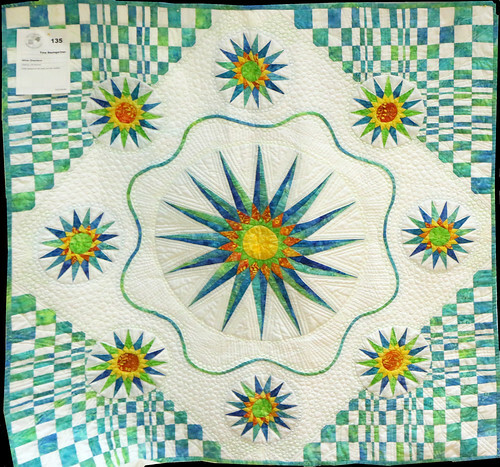 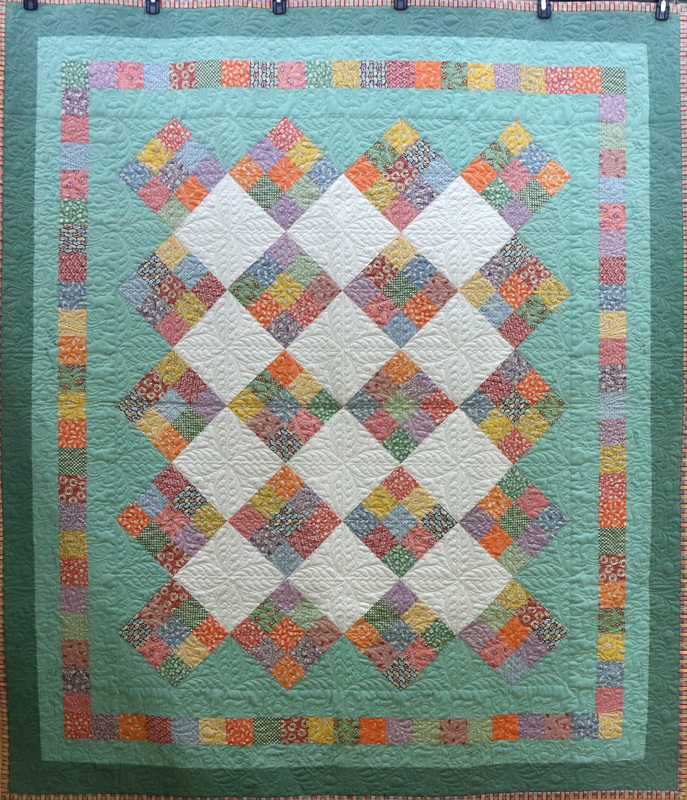 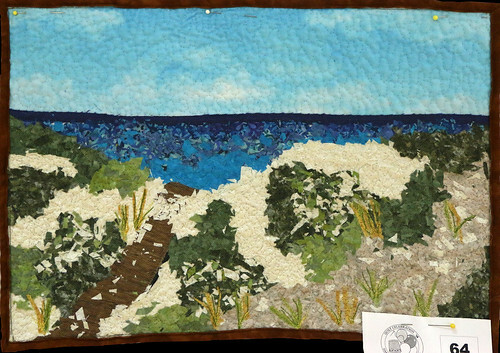 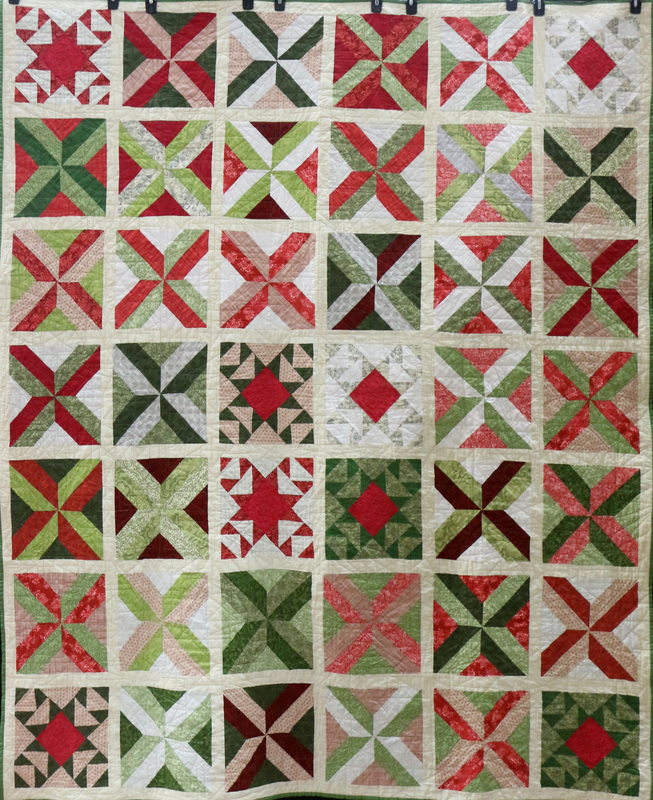 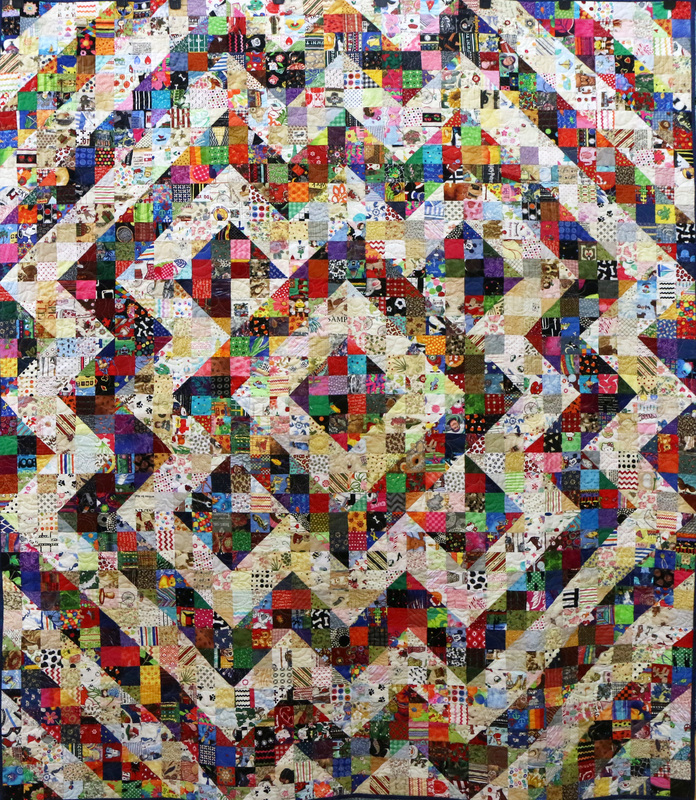 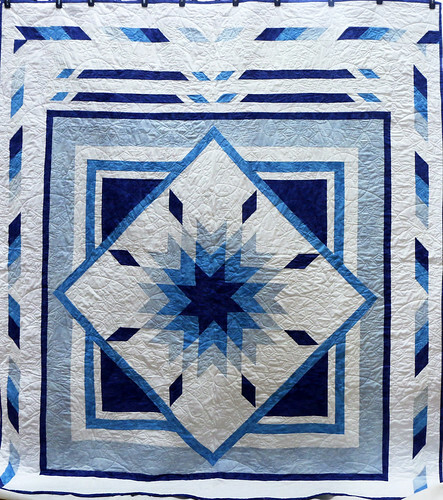 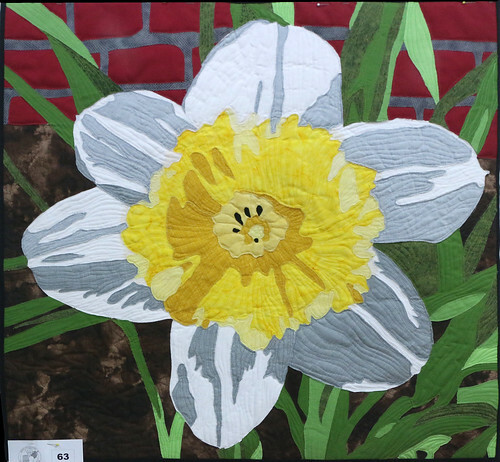 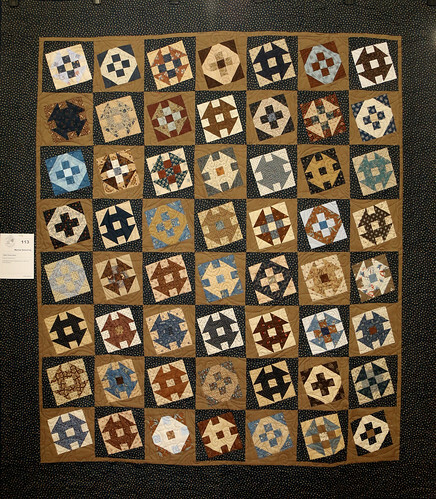 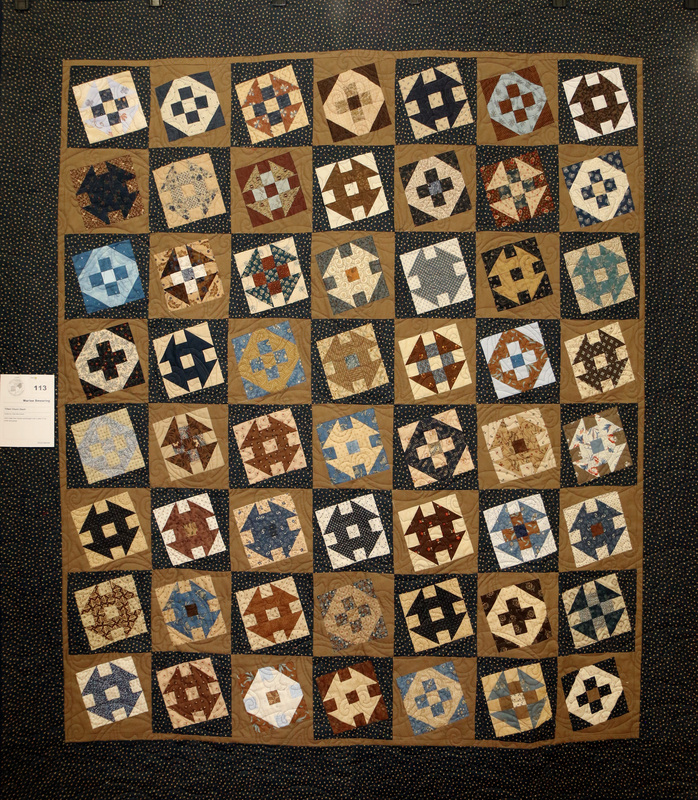 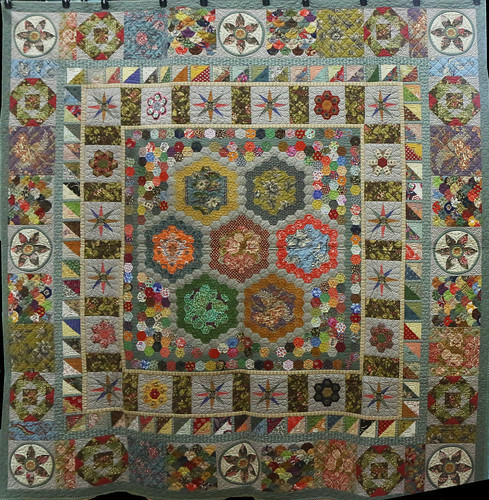 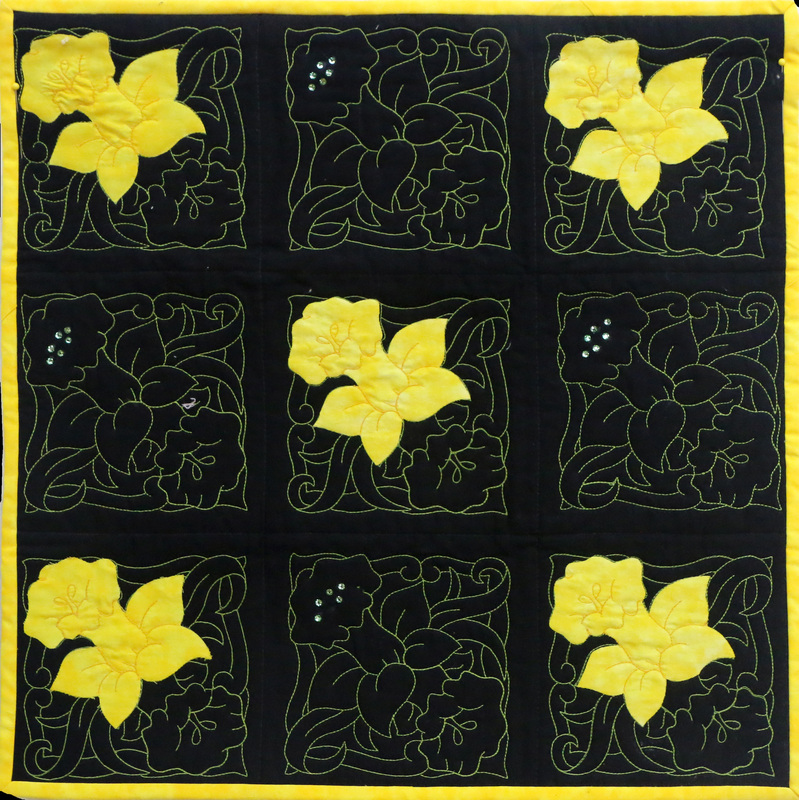 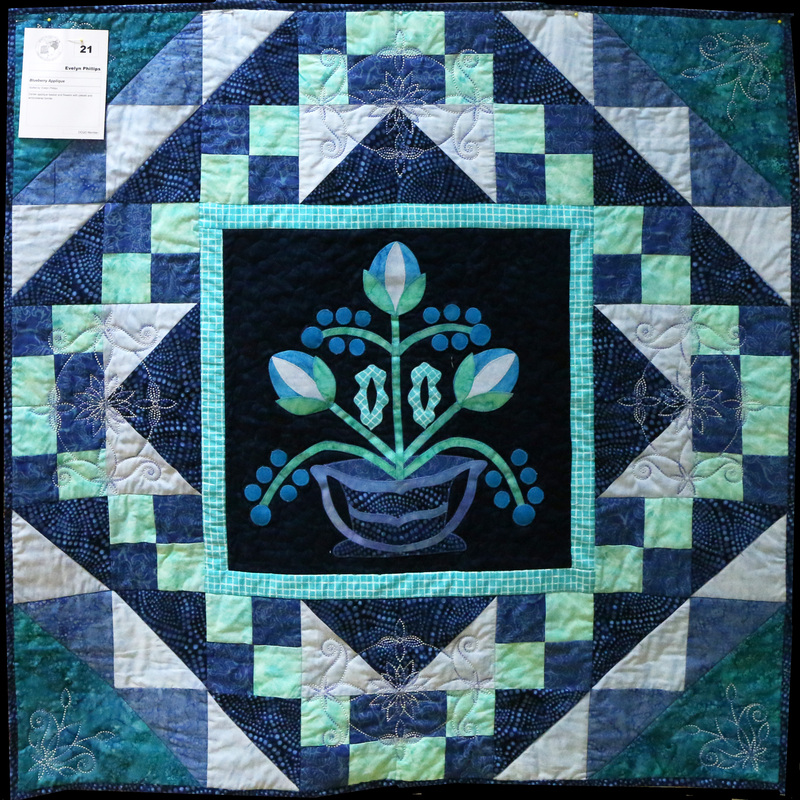 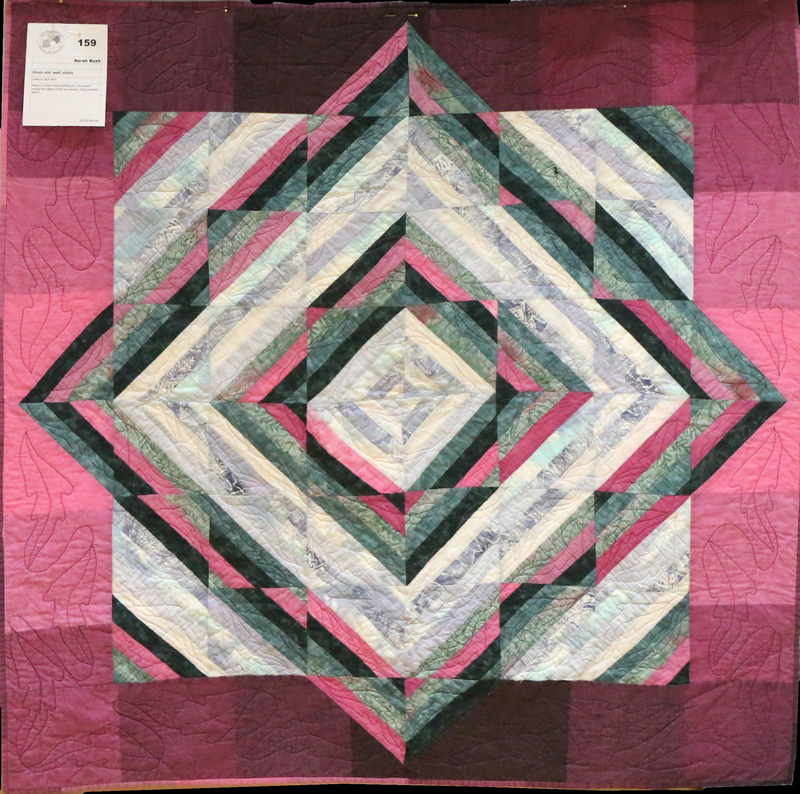 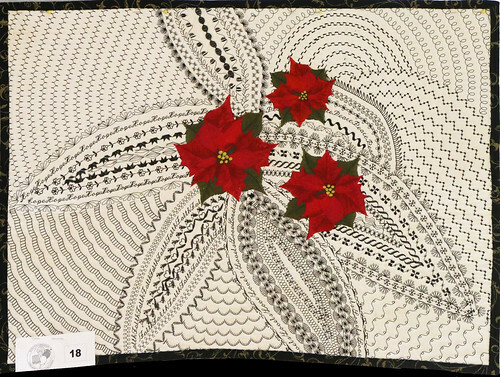 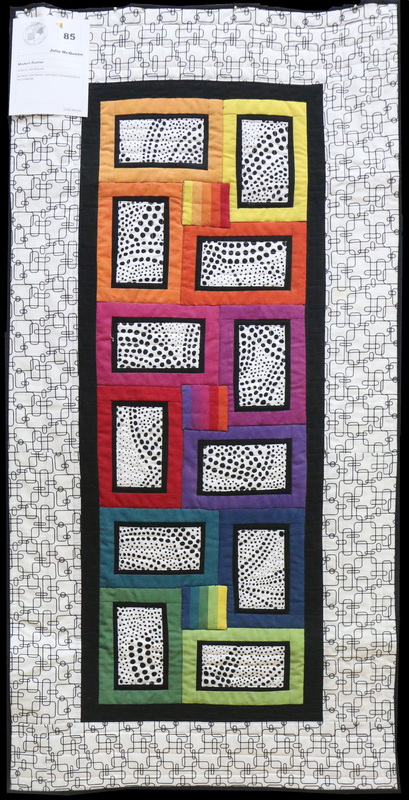 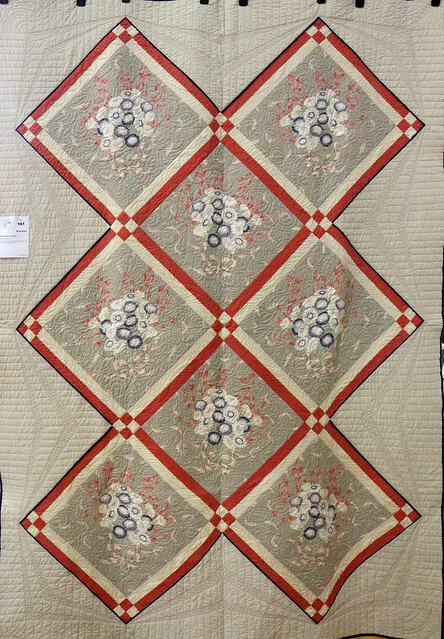 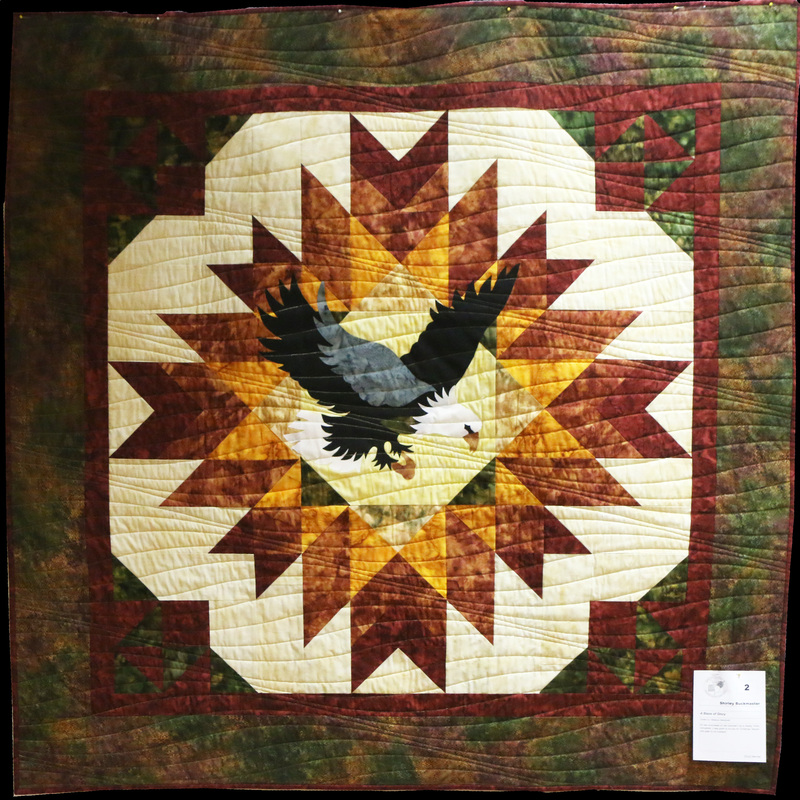 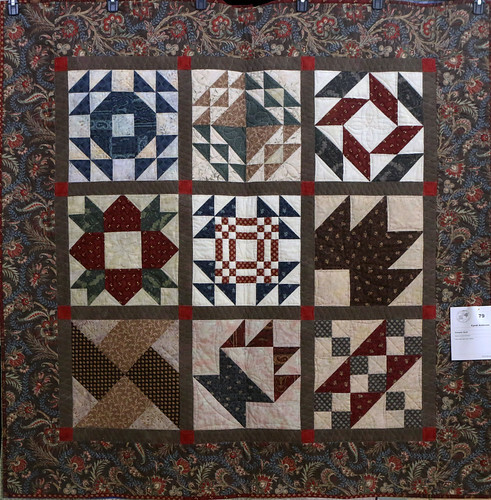 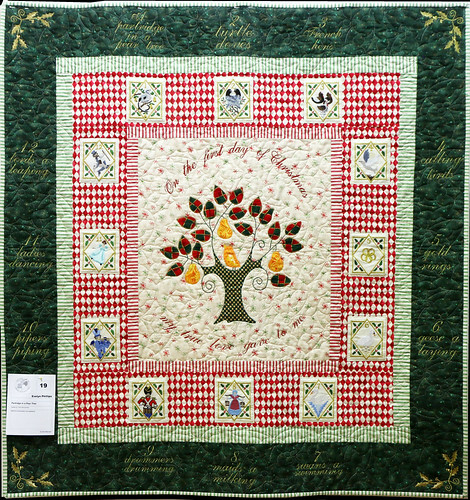 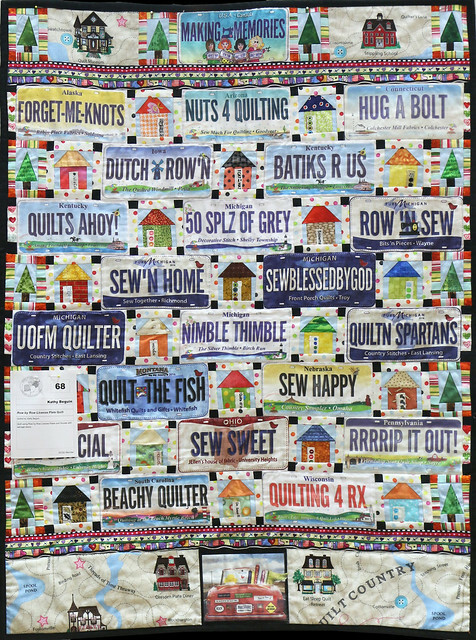 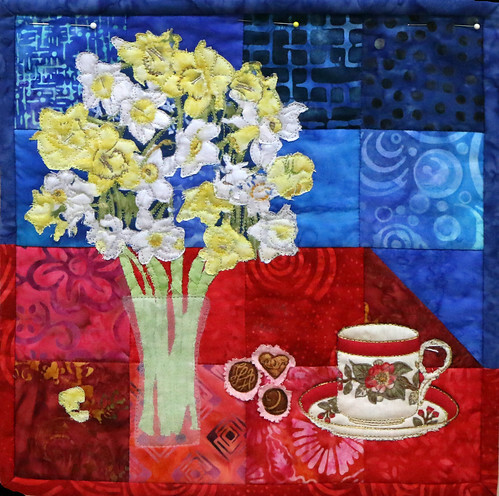 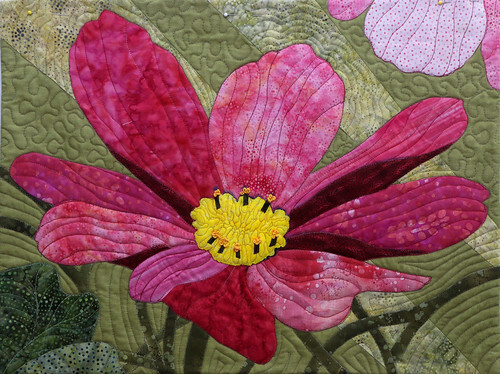 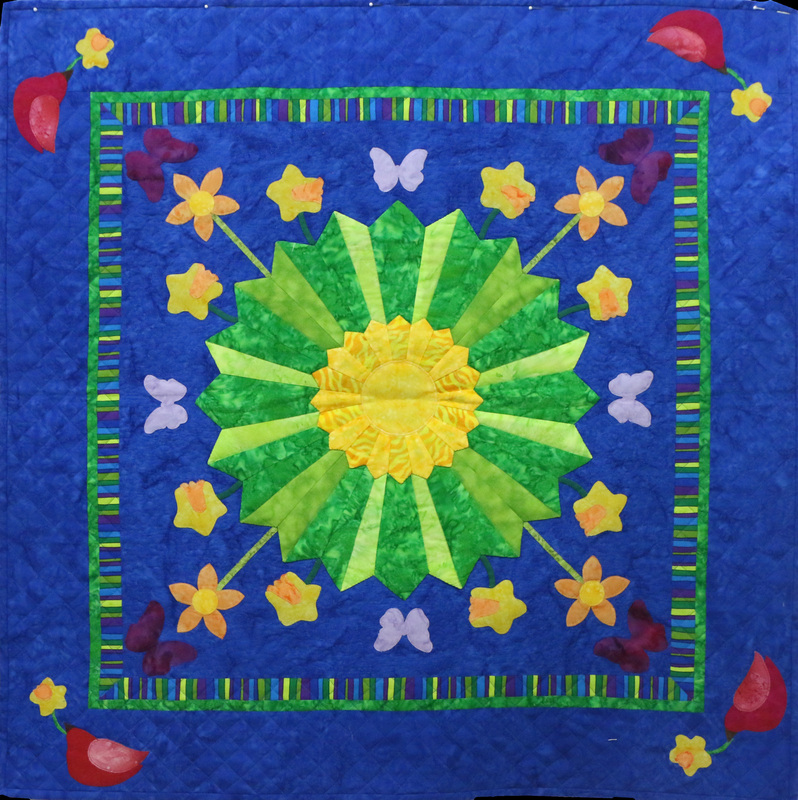 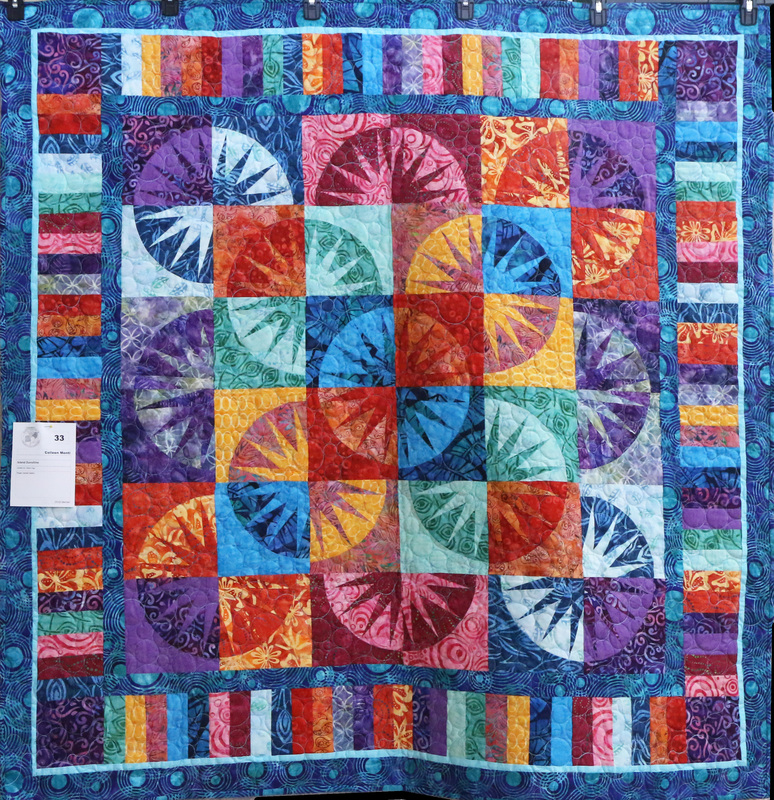 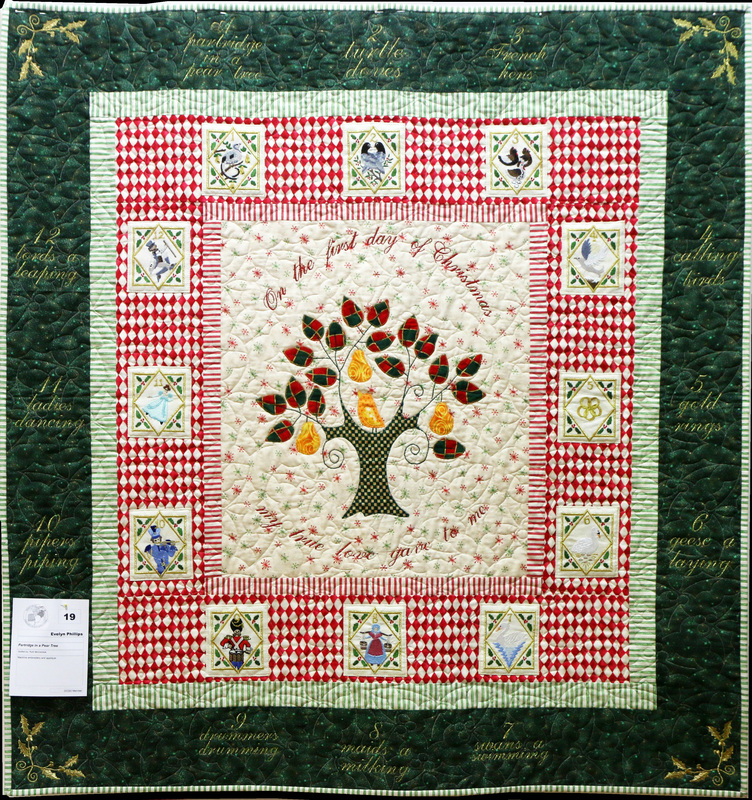 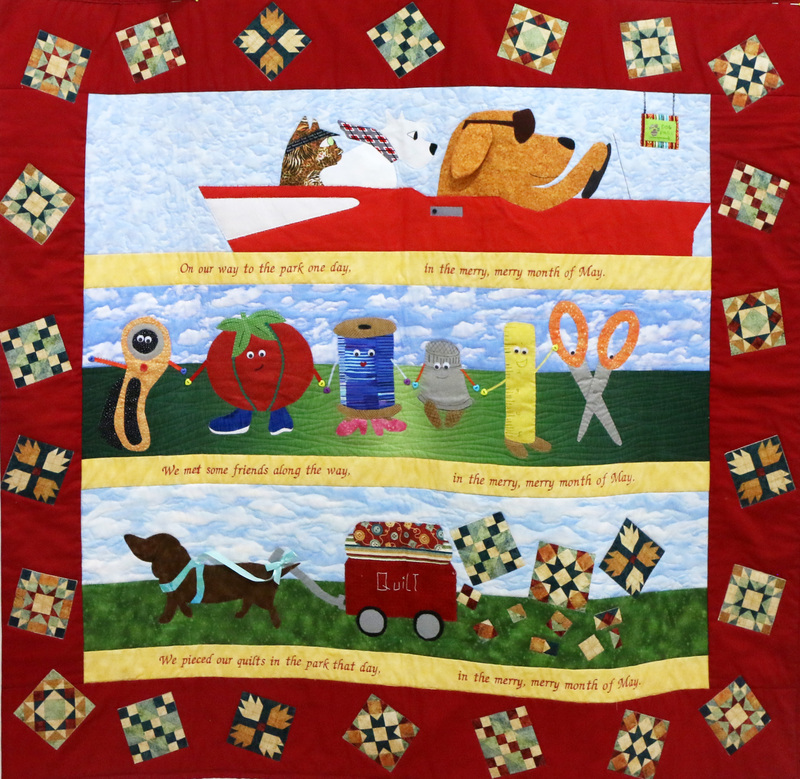 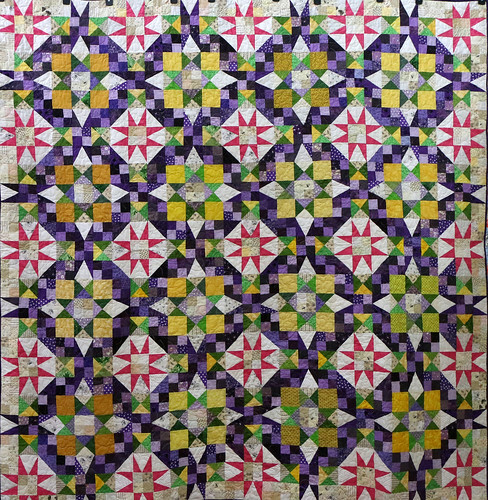 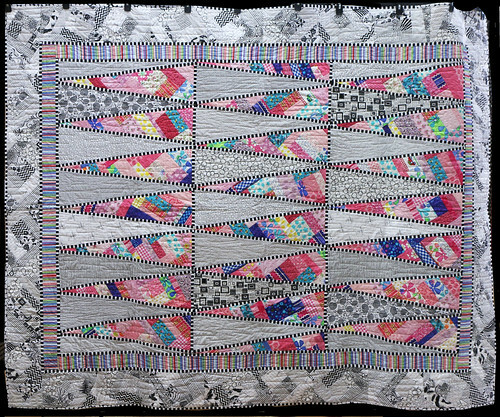 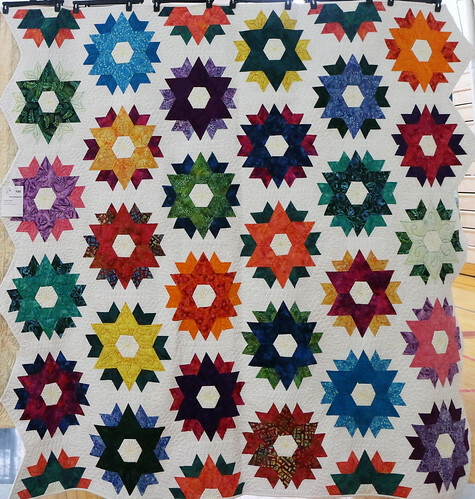 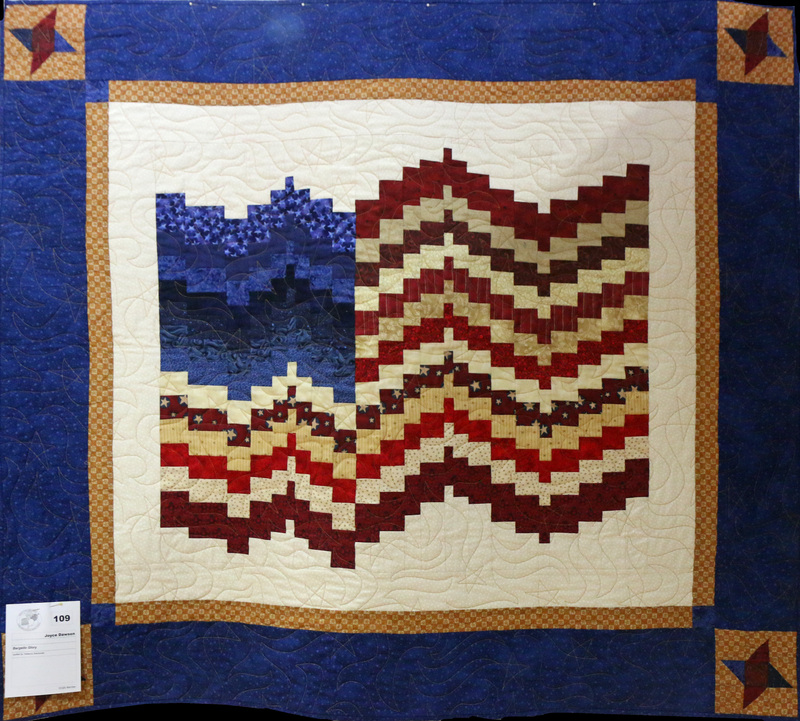 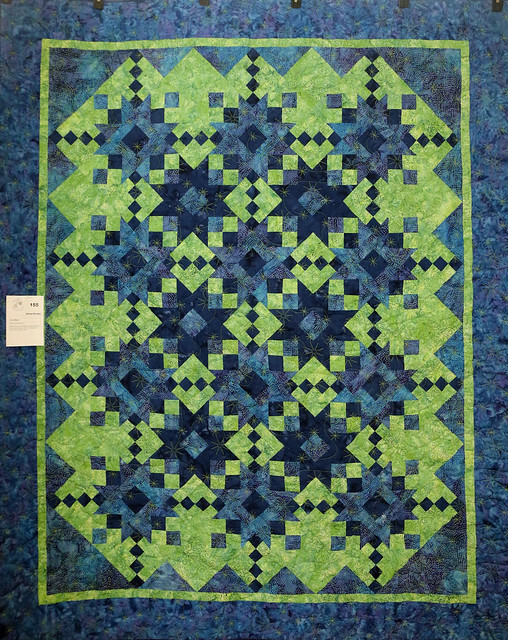 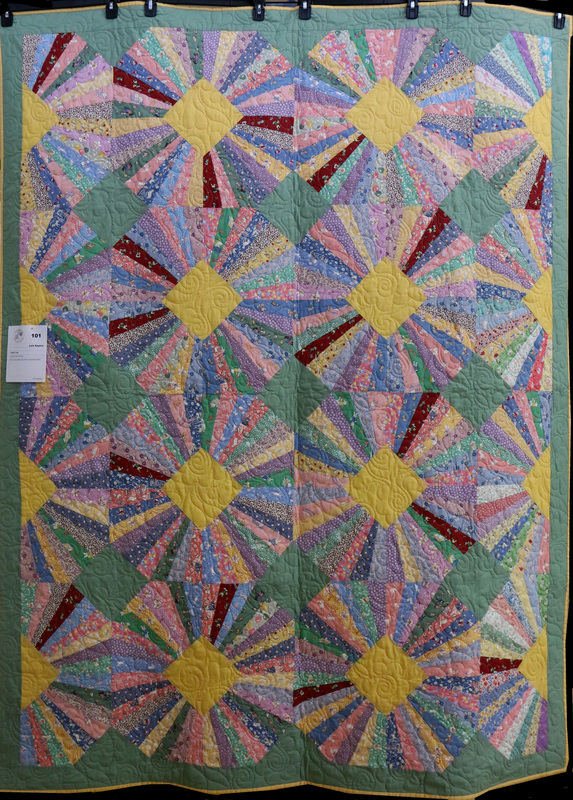 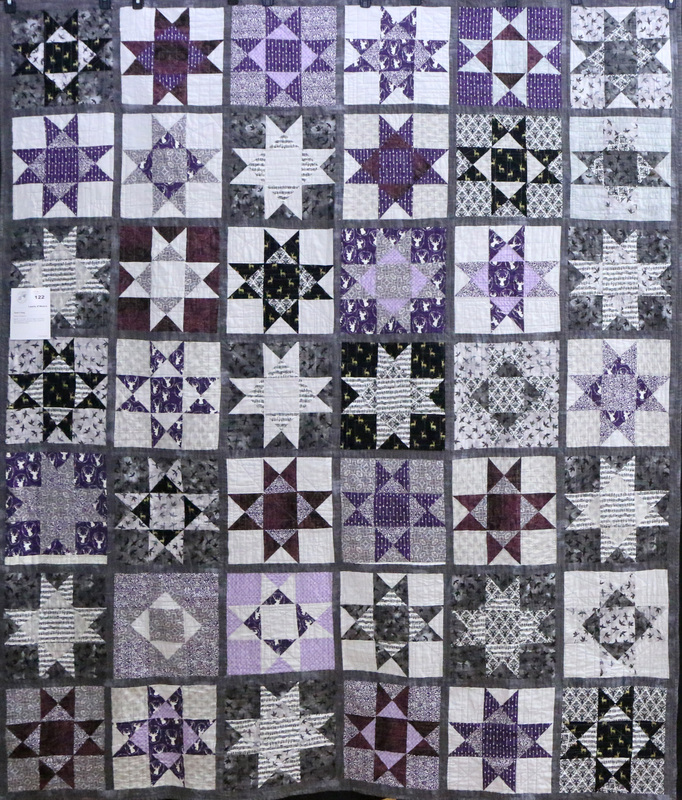 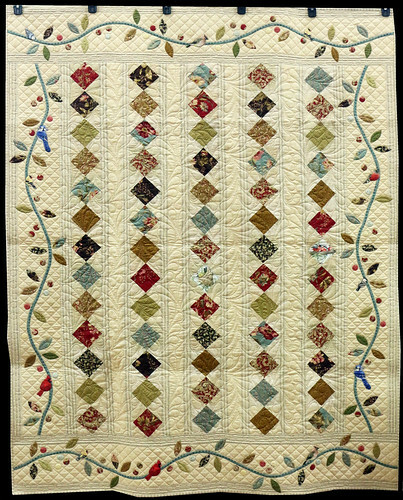 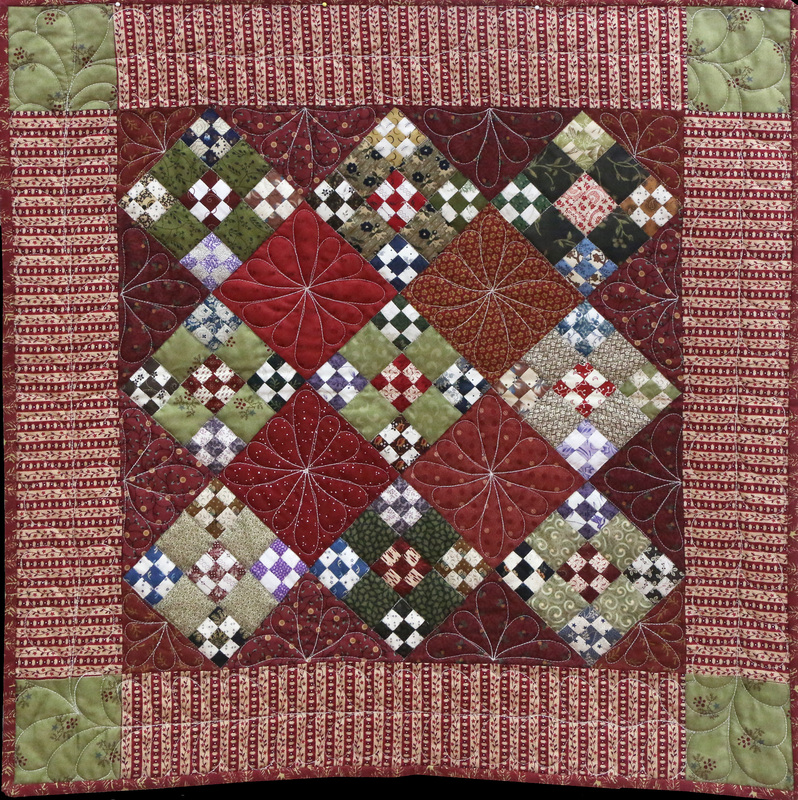 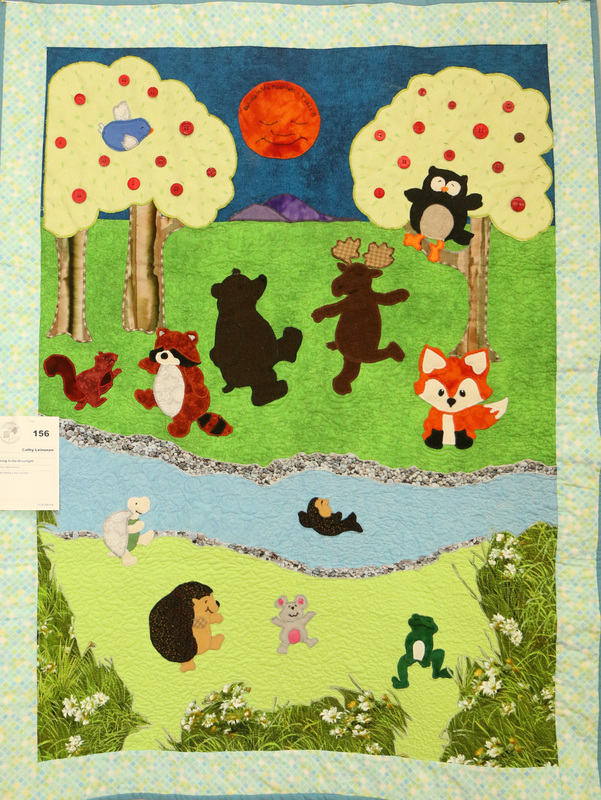 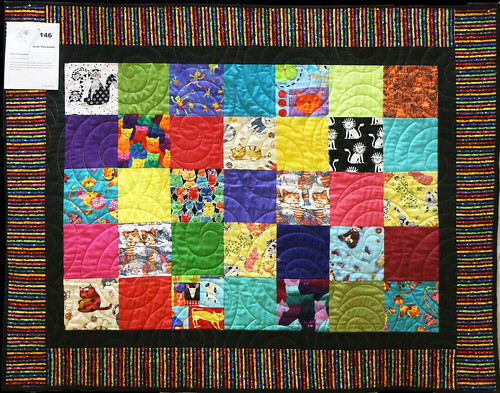 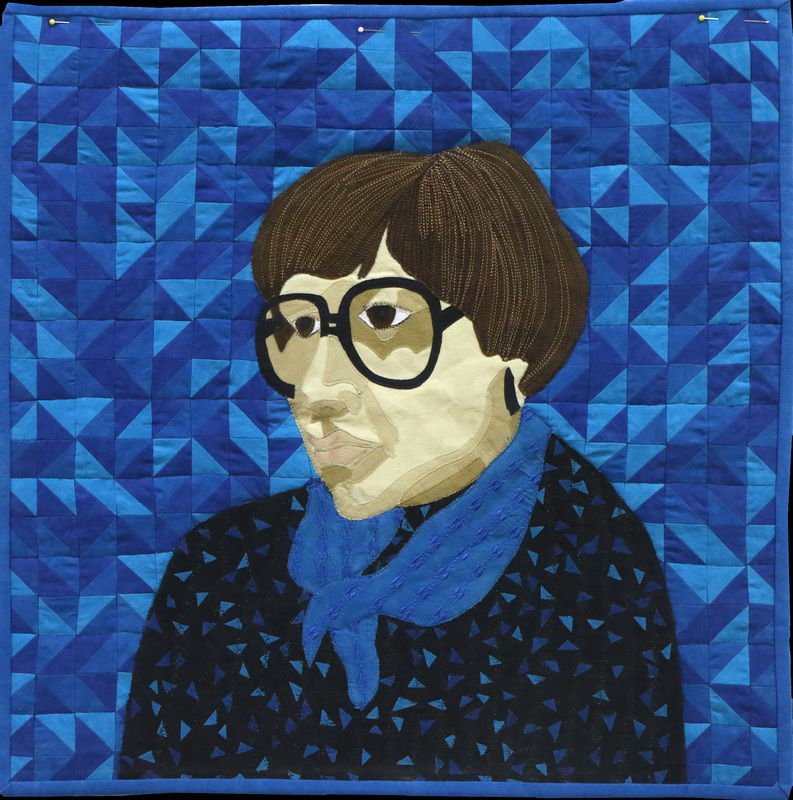 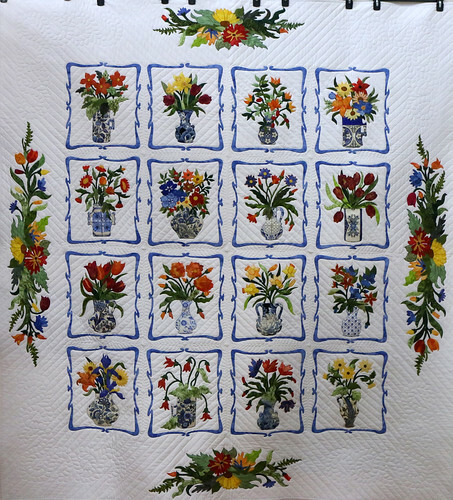 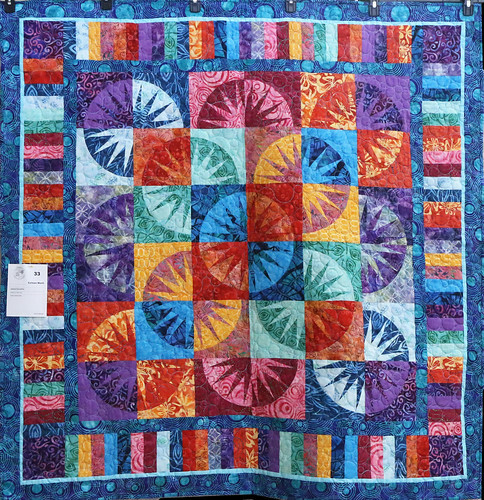 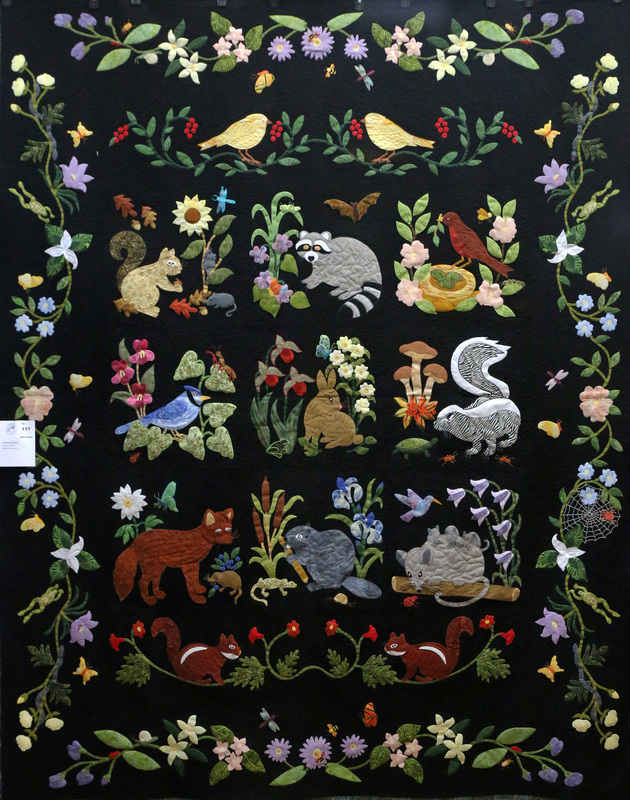 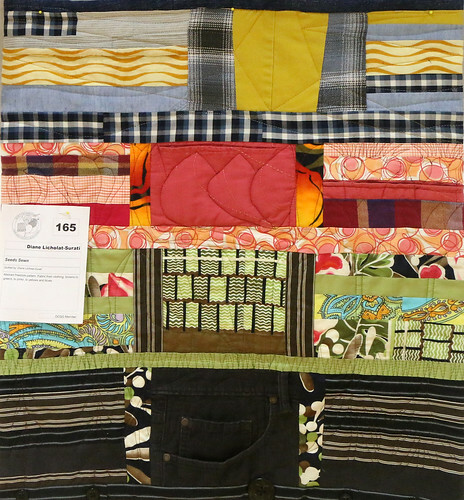 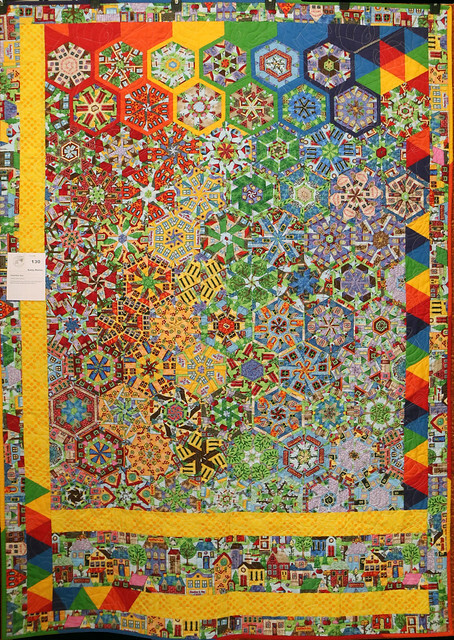 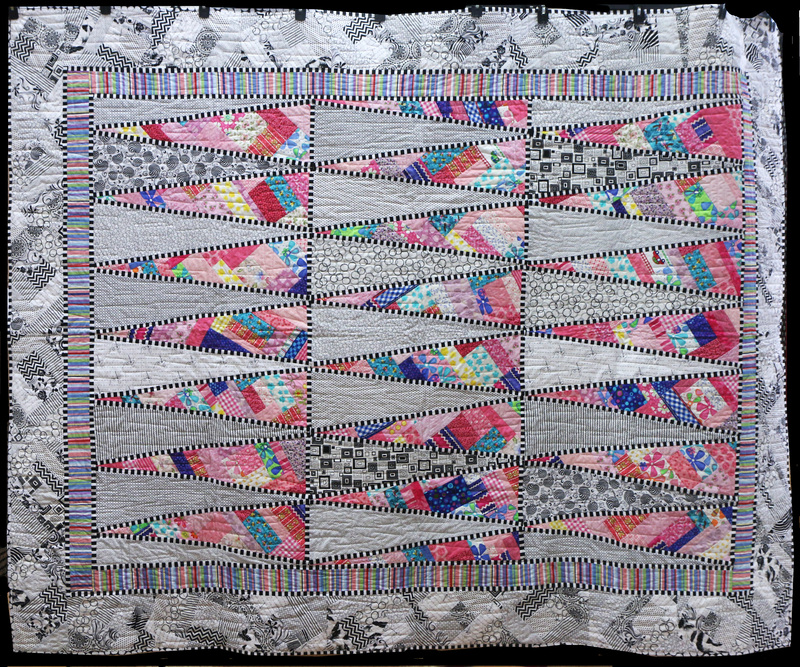 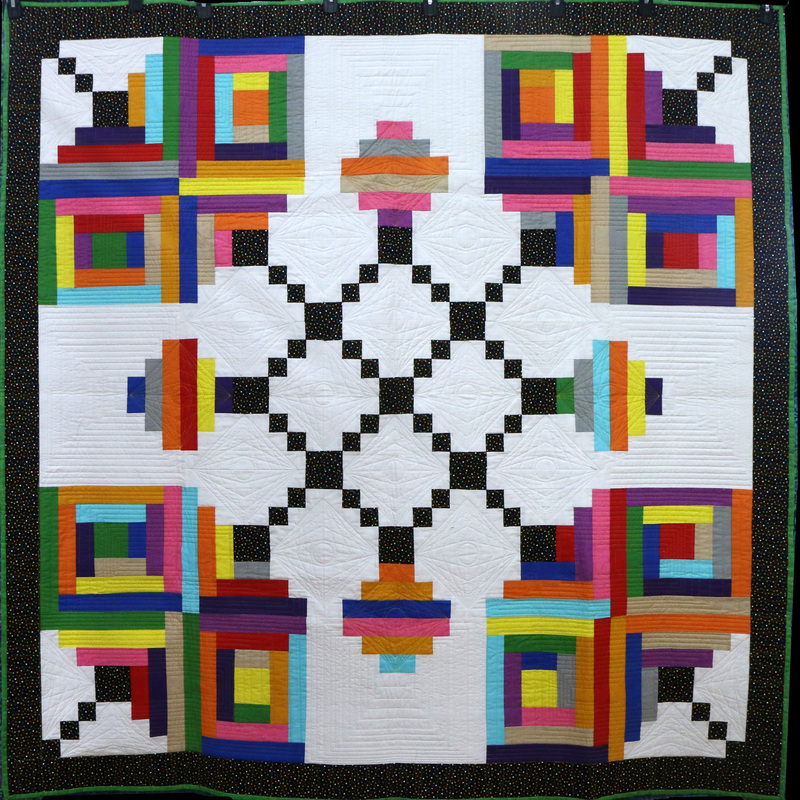 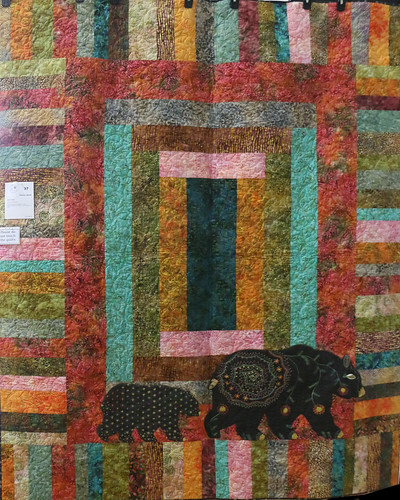 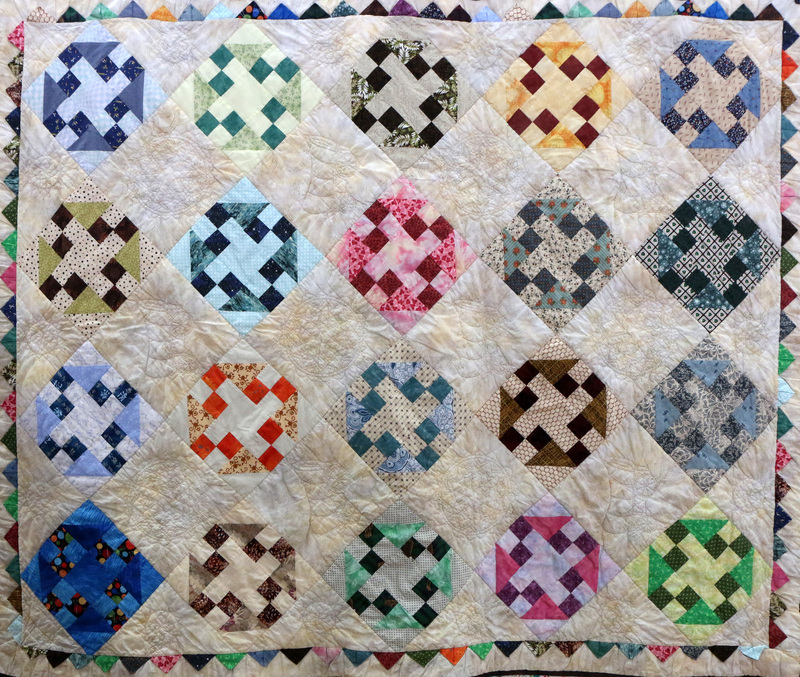 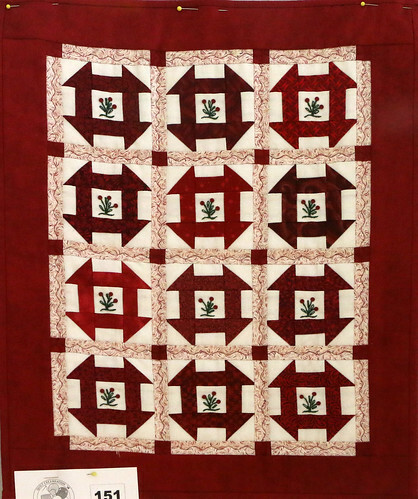 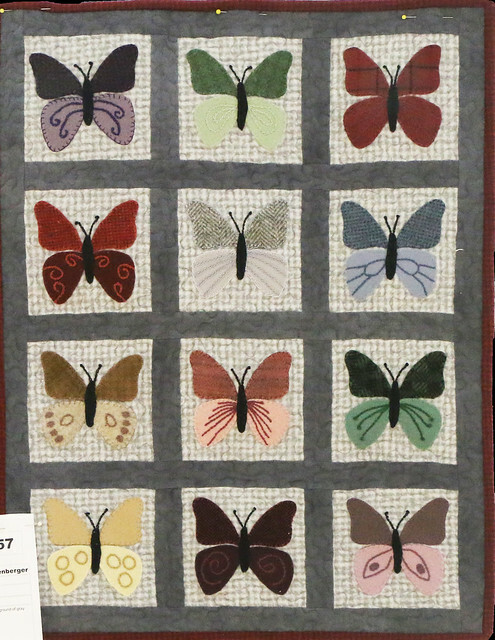 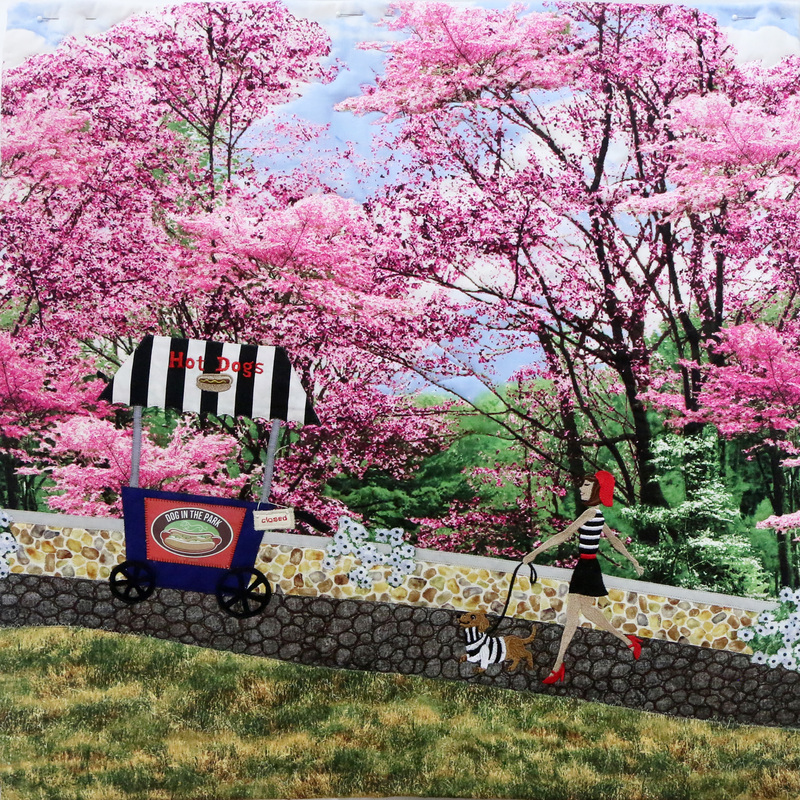 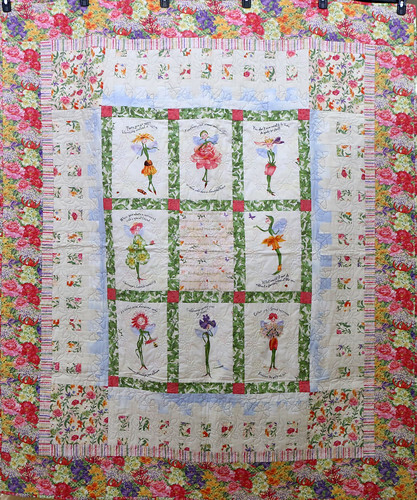 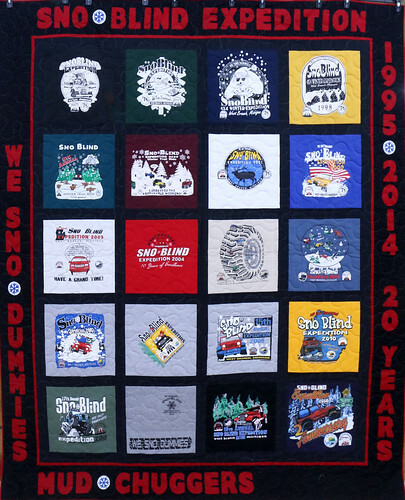 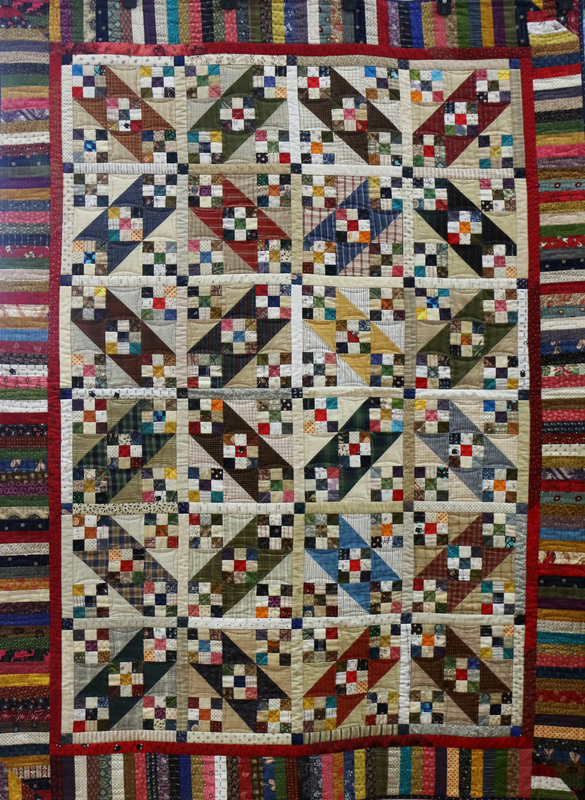 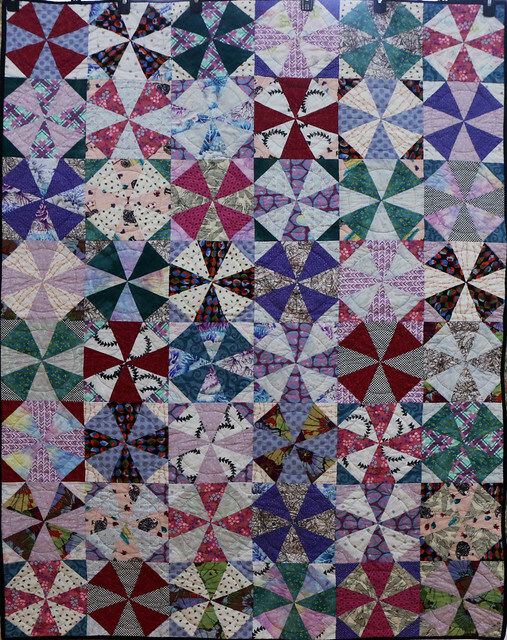 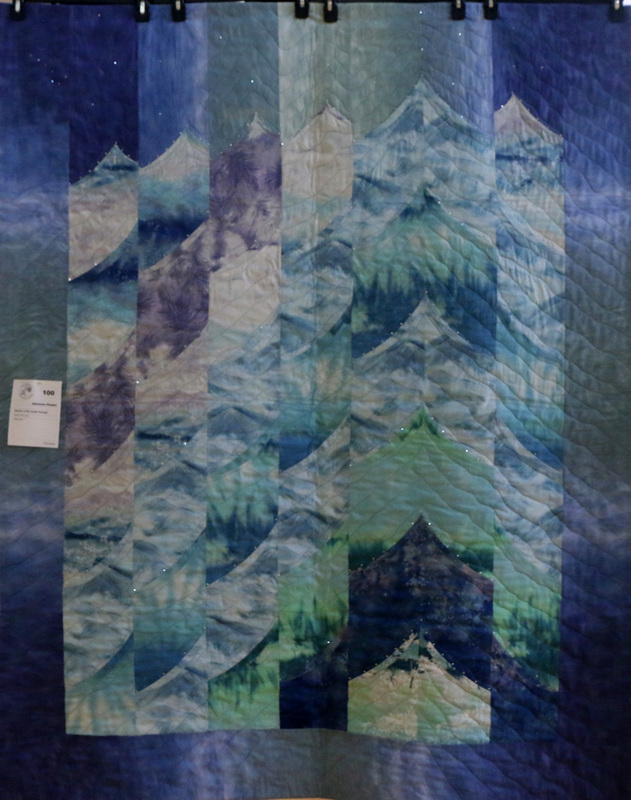 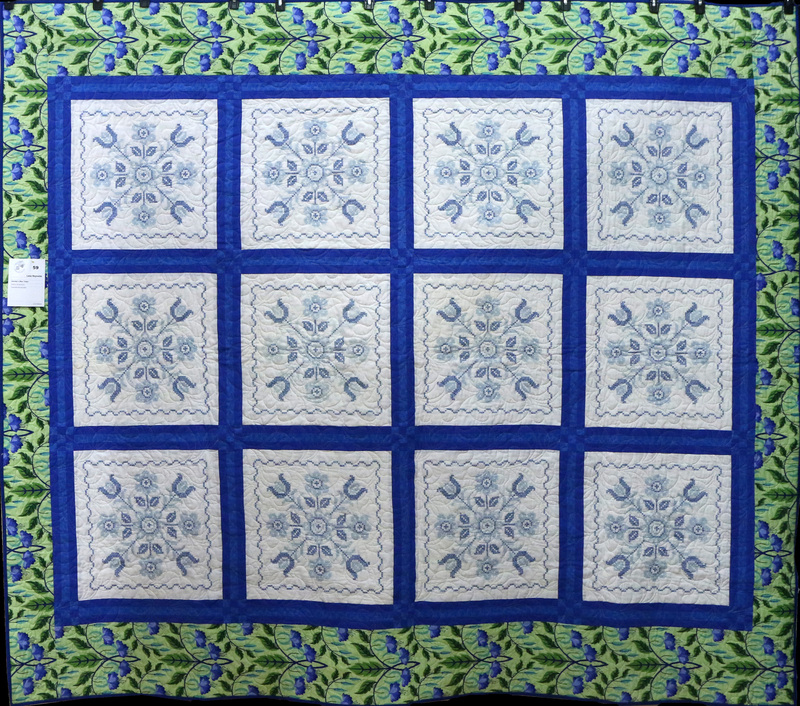 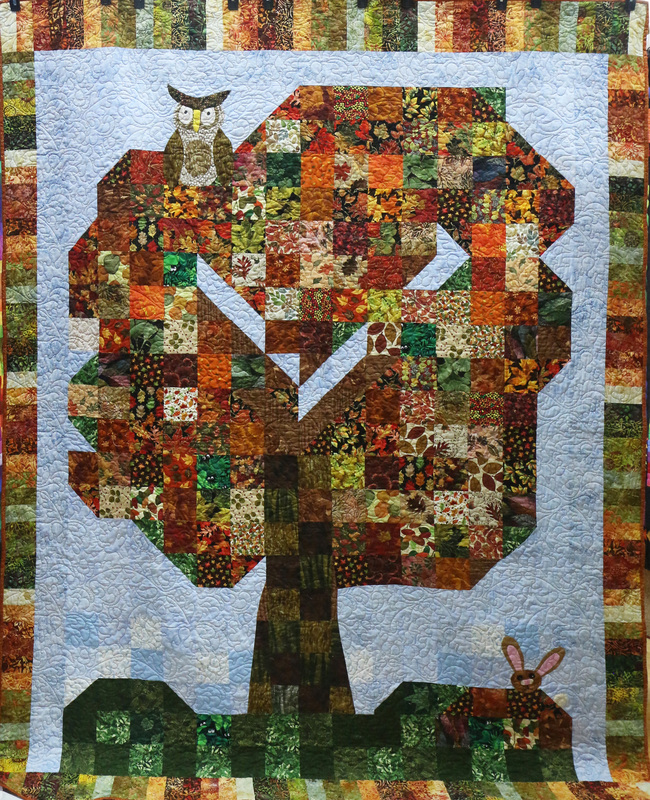 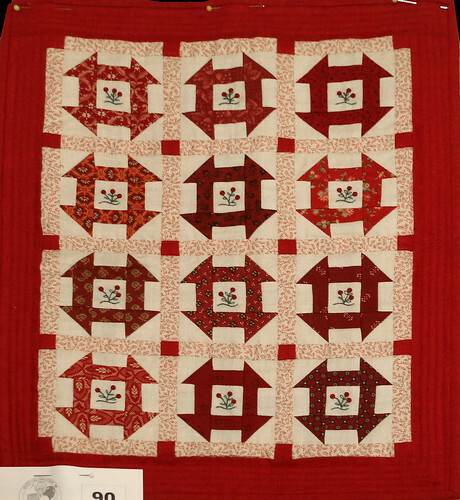 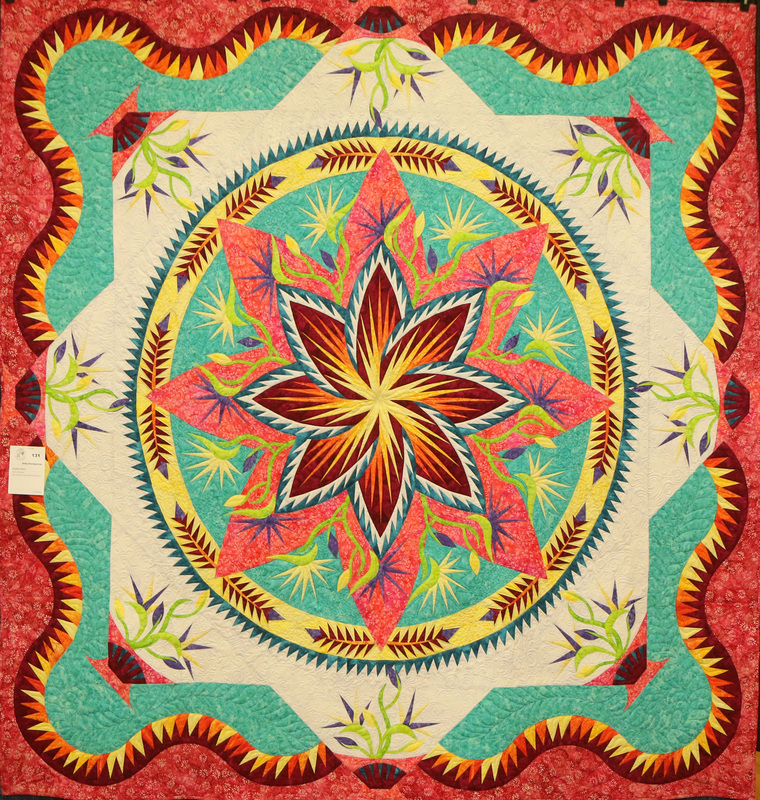 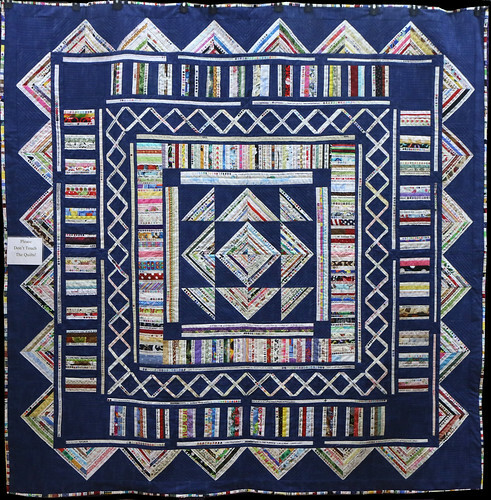 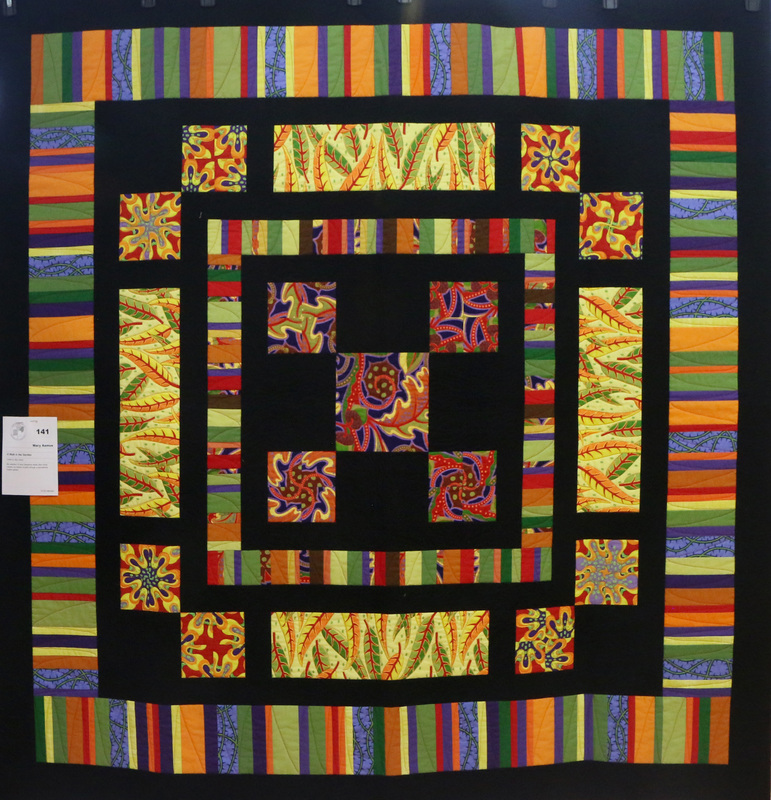 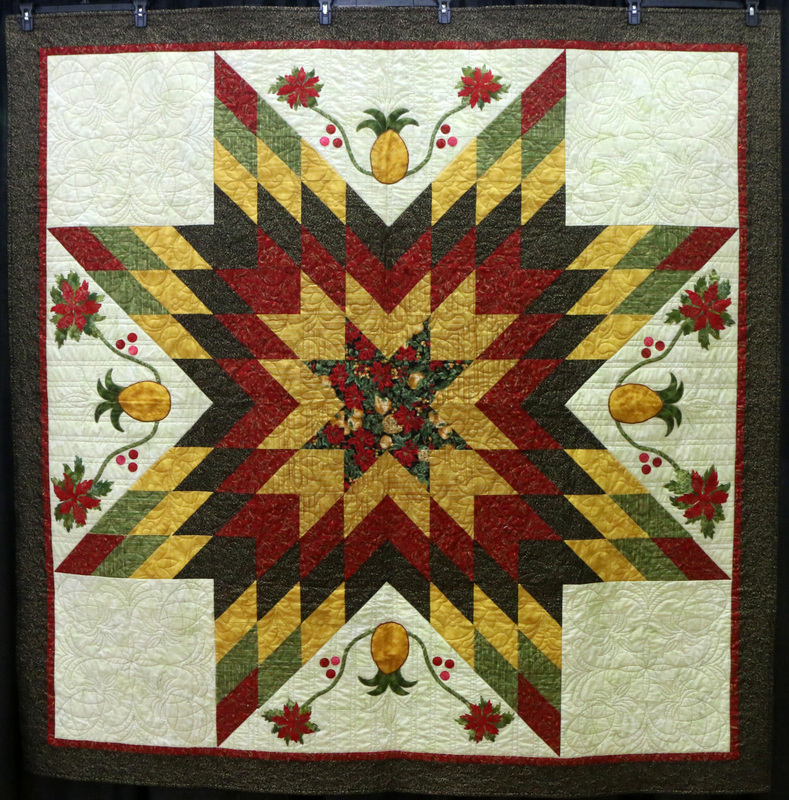 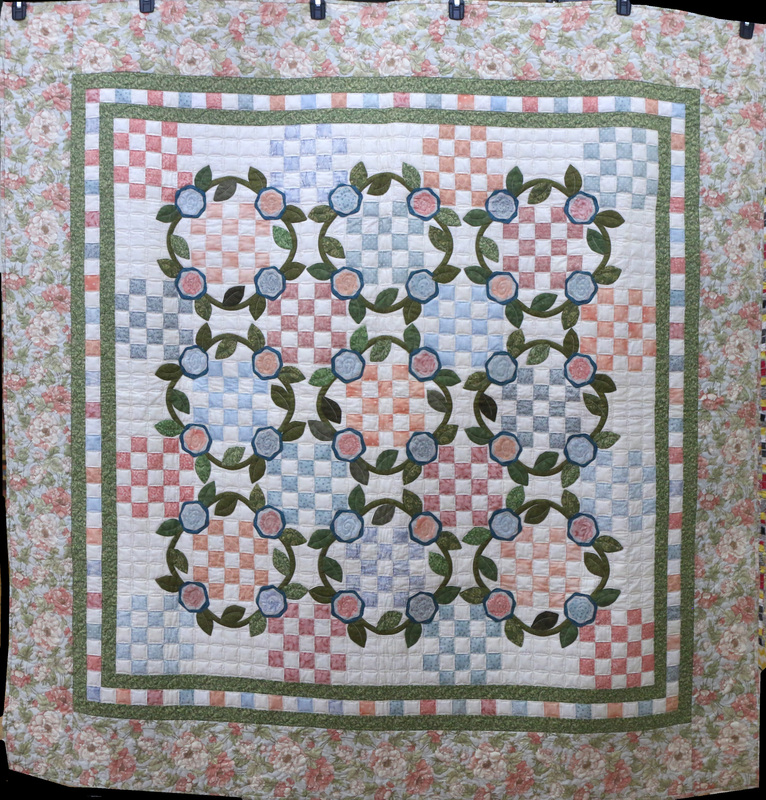 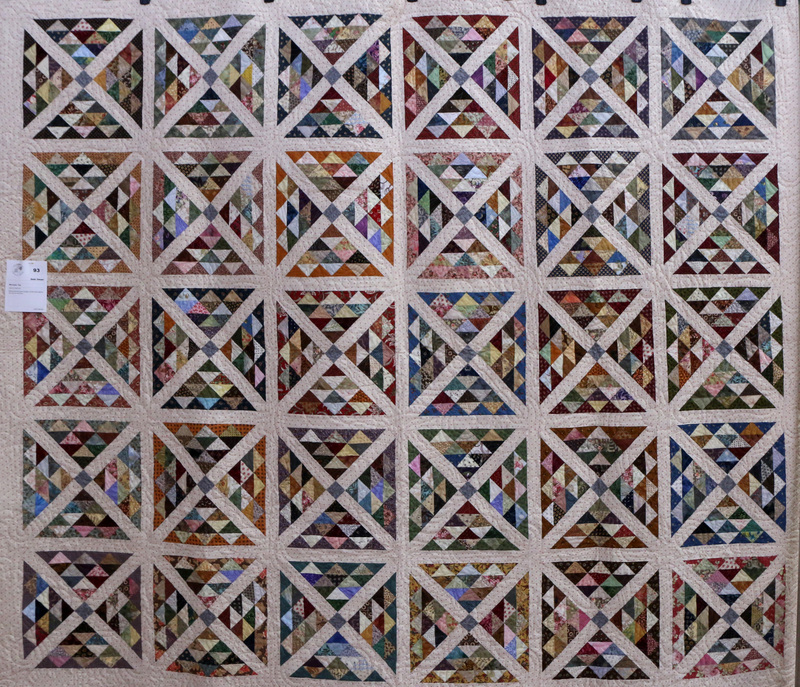 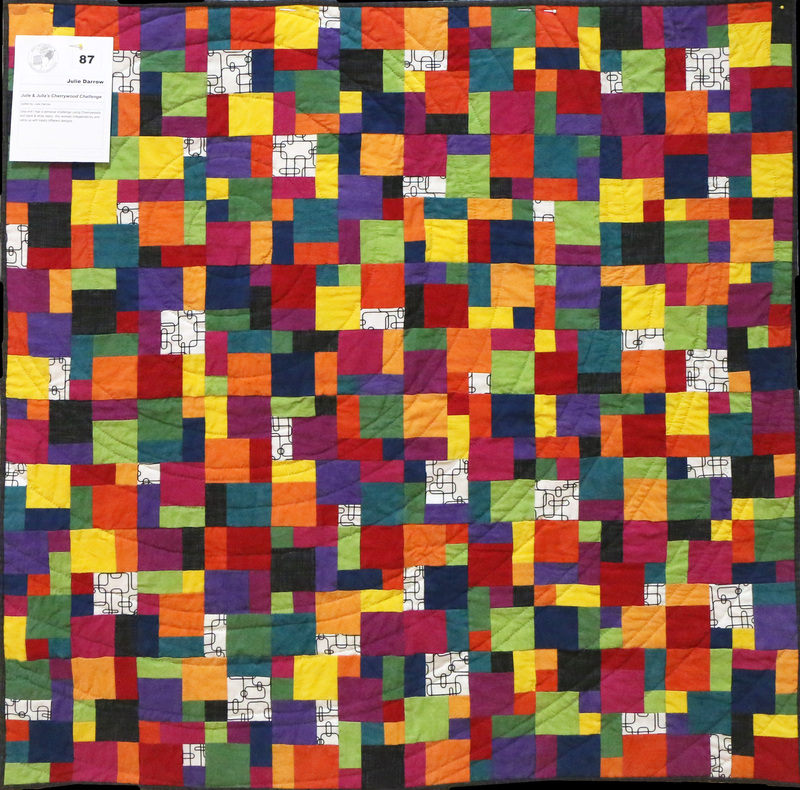 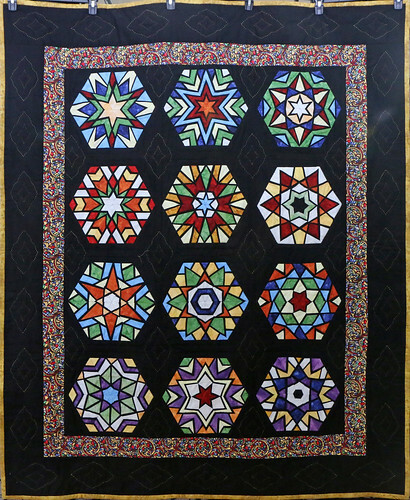 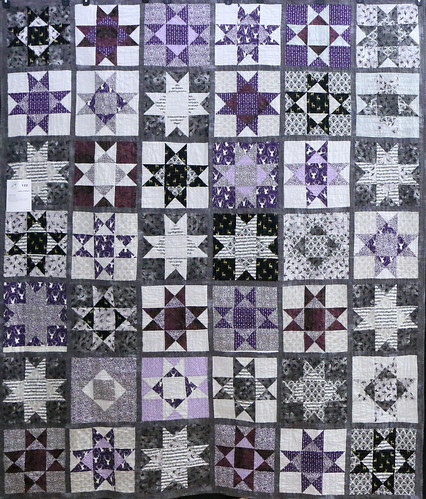 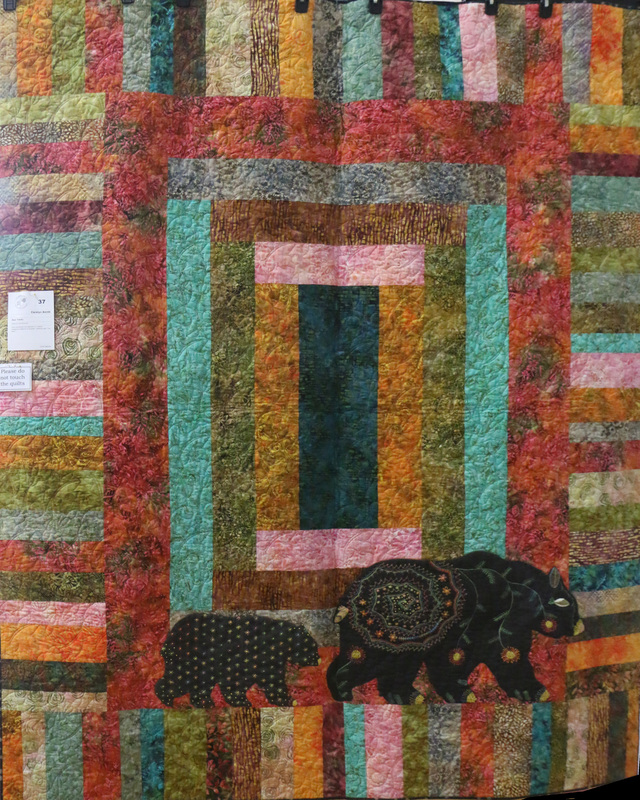 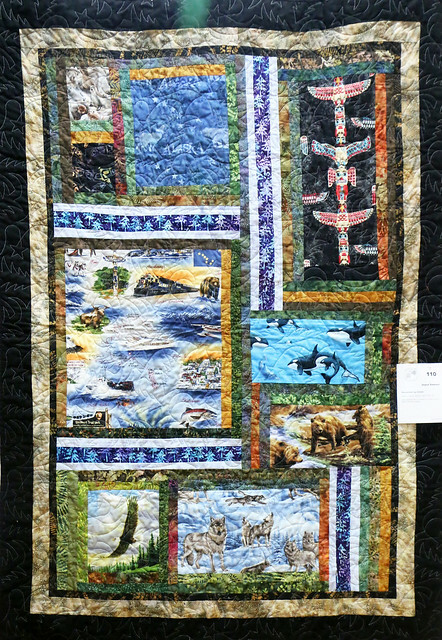 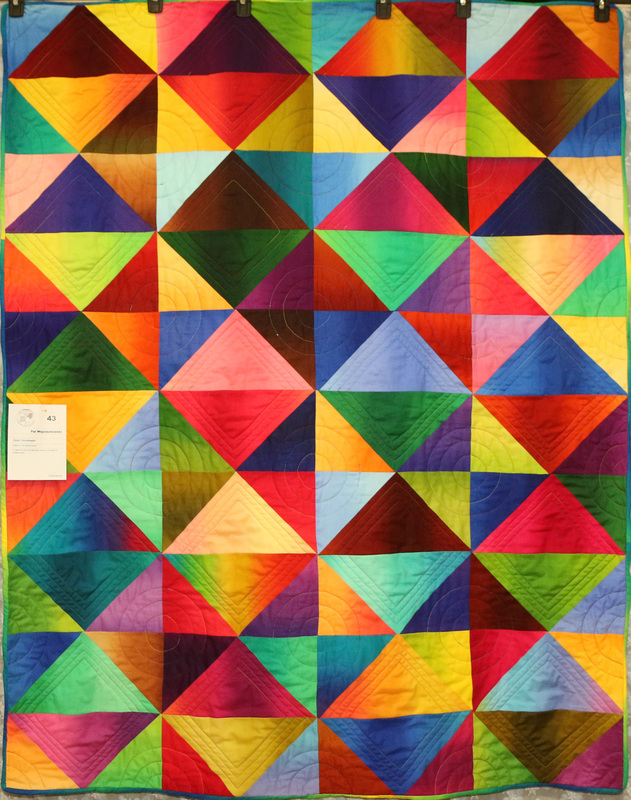 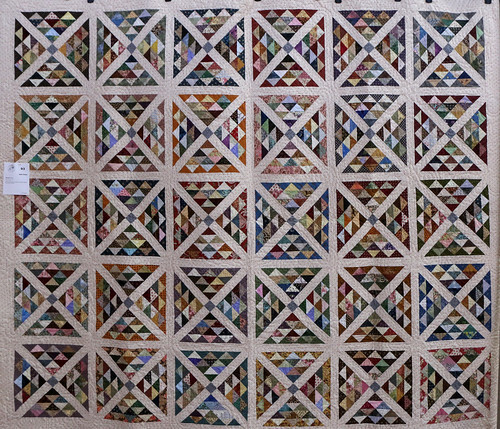 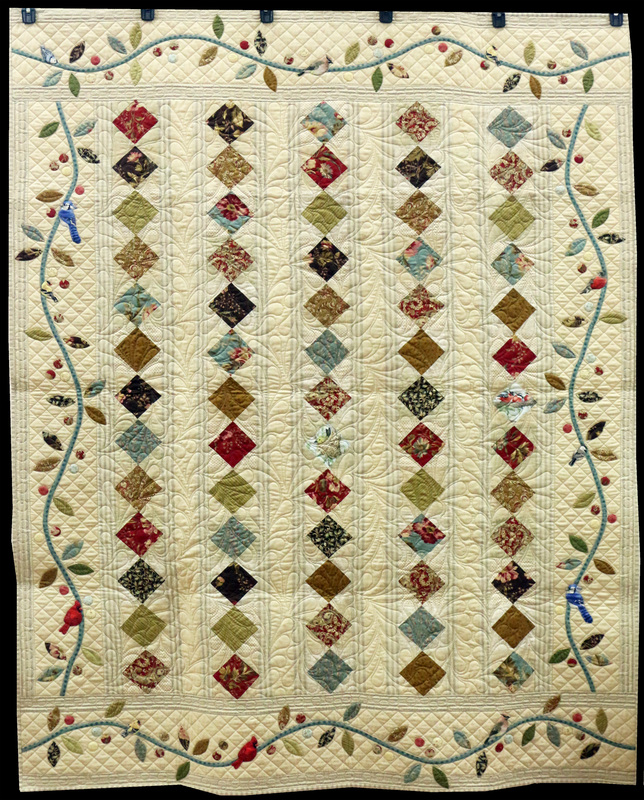 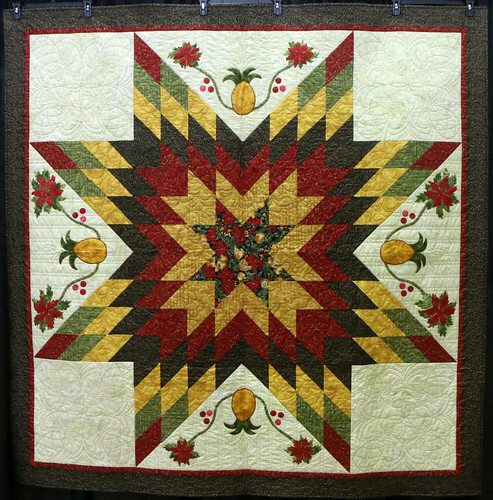 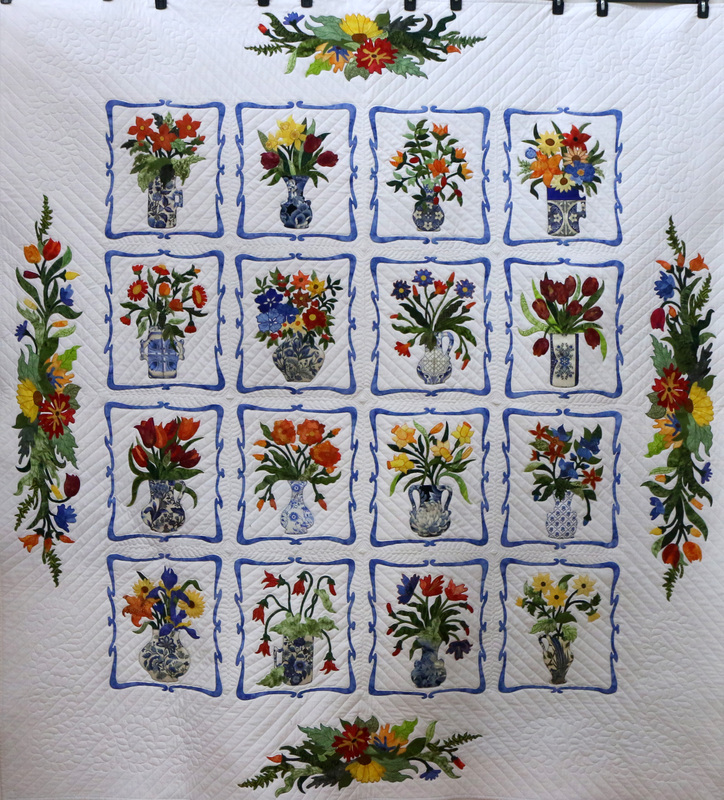 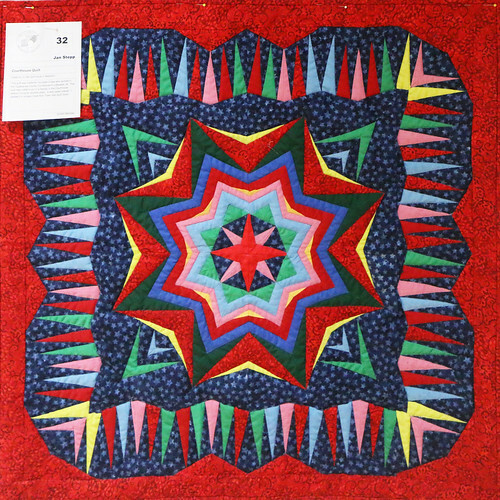 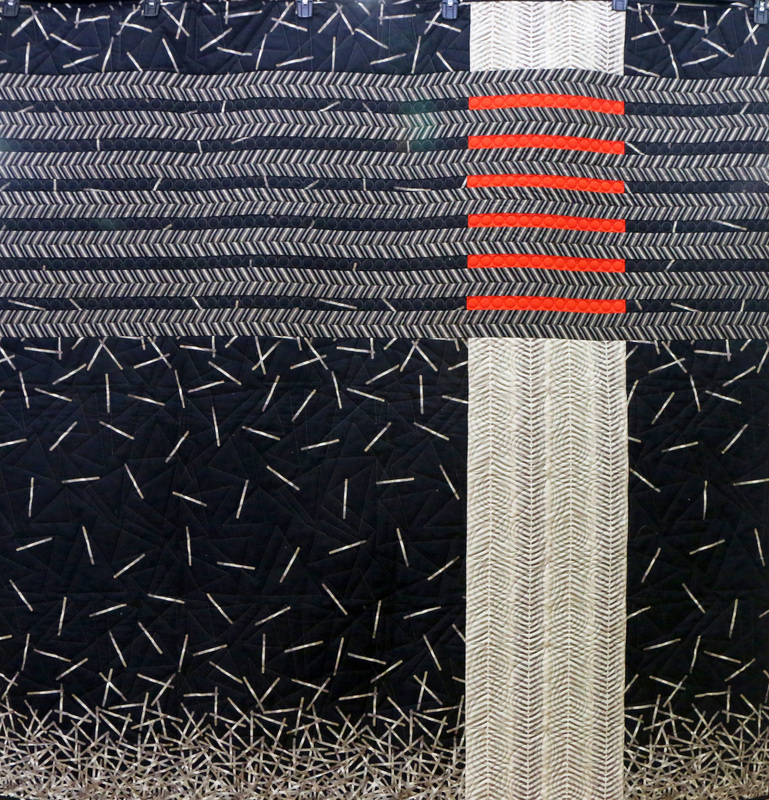 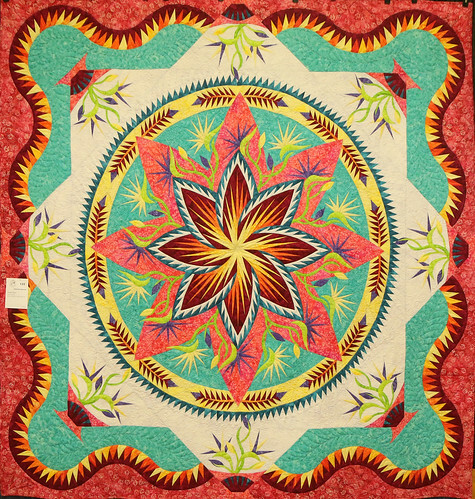 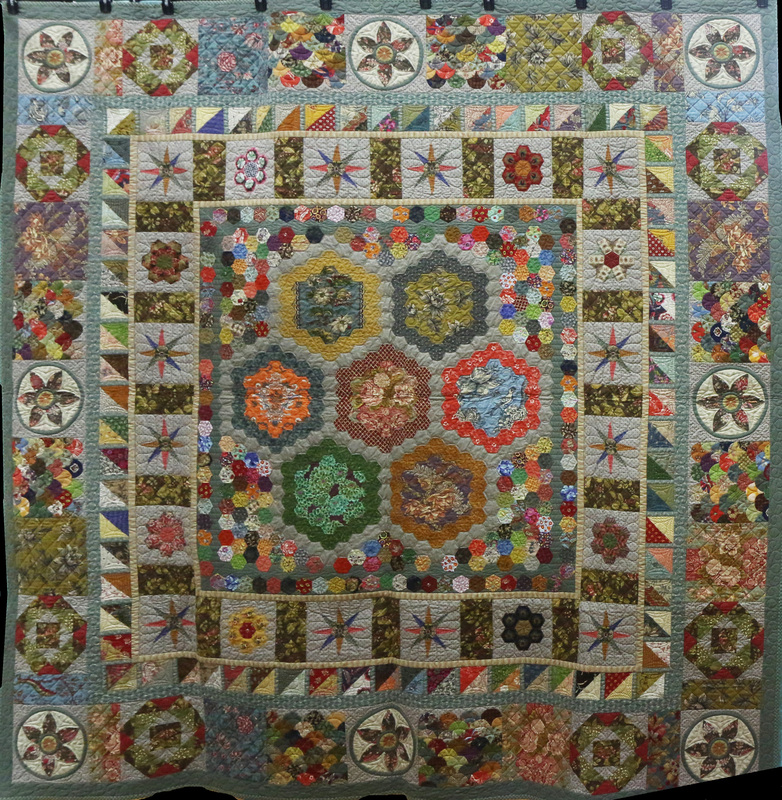 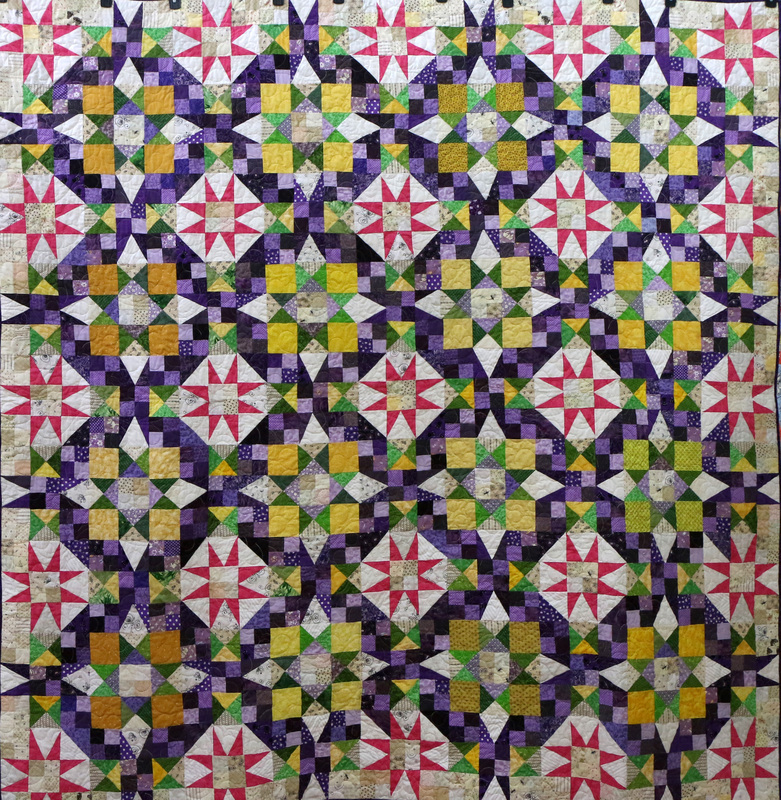 The quilt was made to put in a display in the Court House. 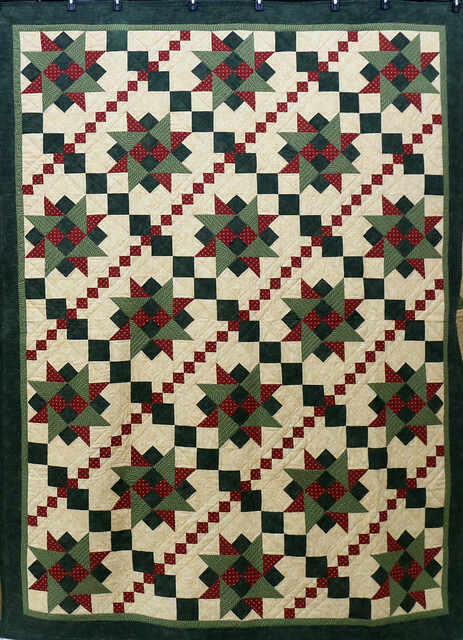 It hung in the court house for several years. 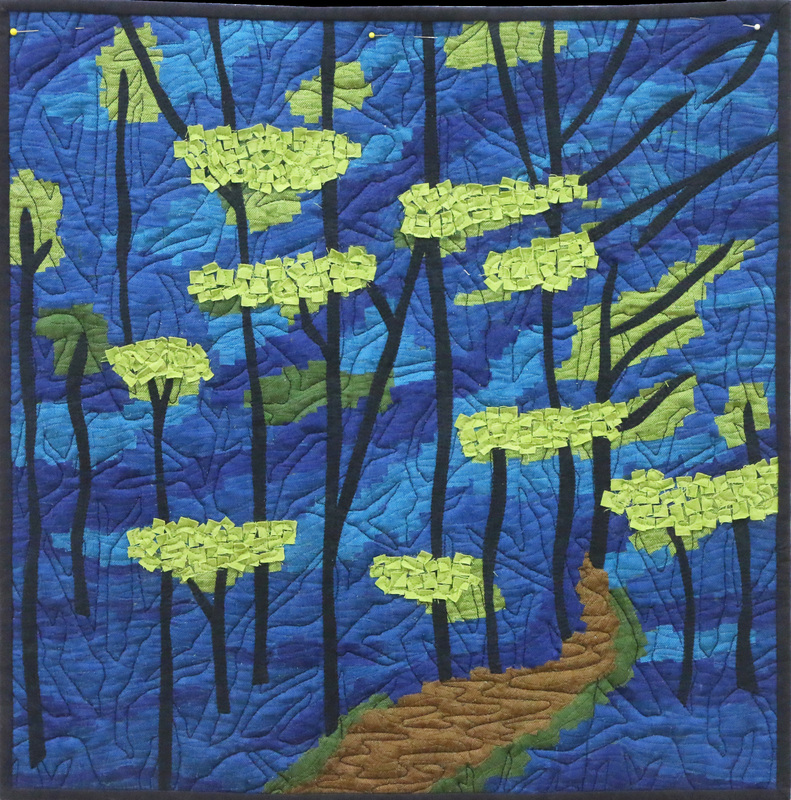 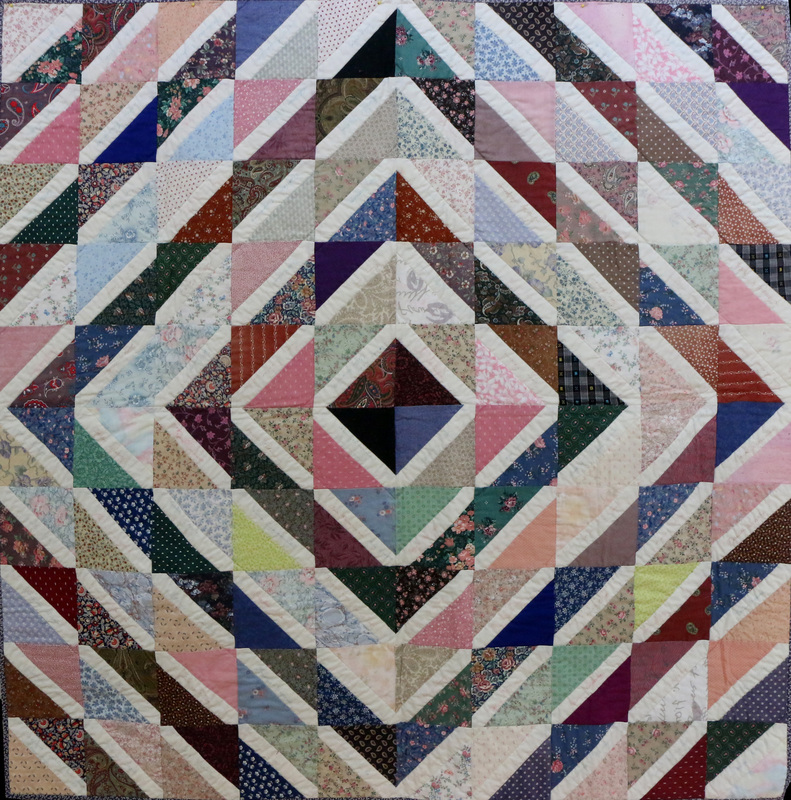 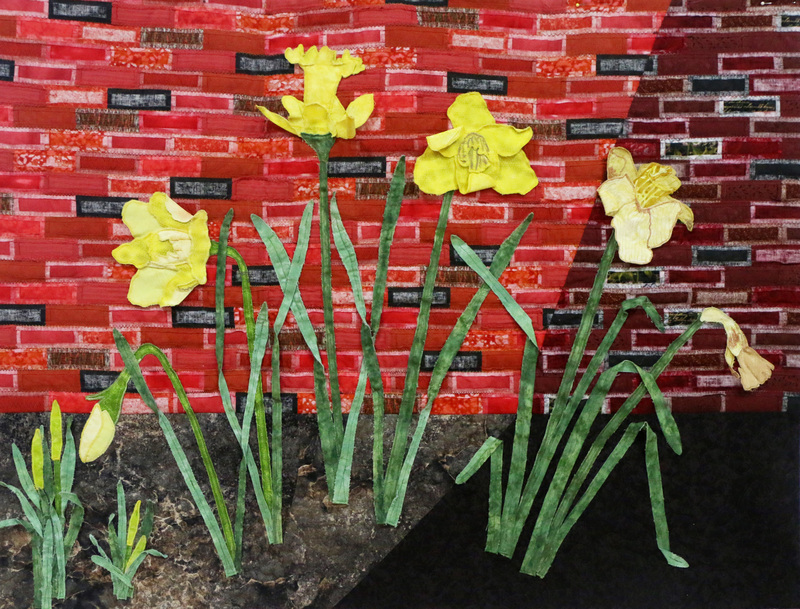 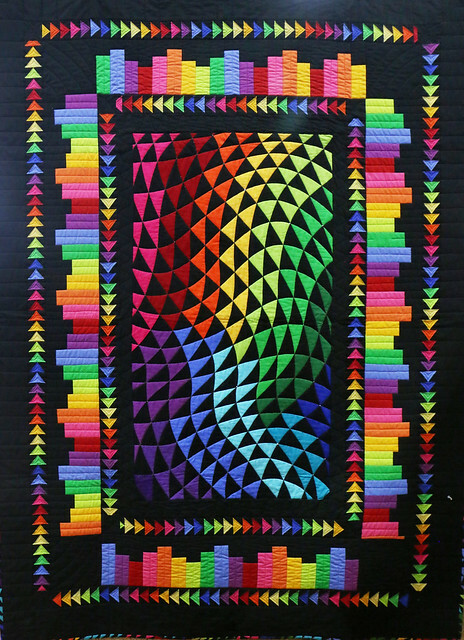 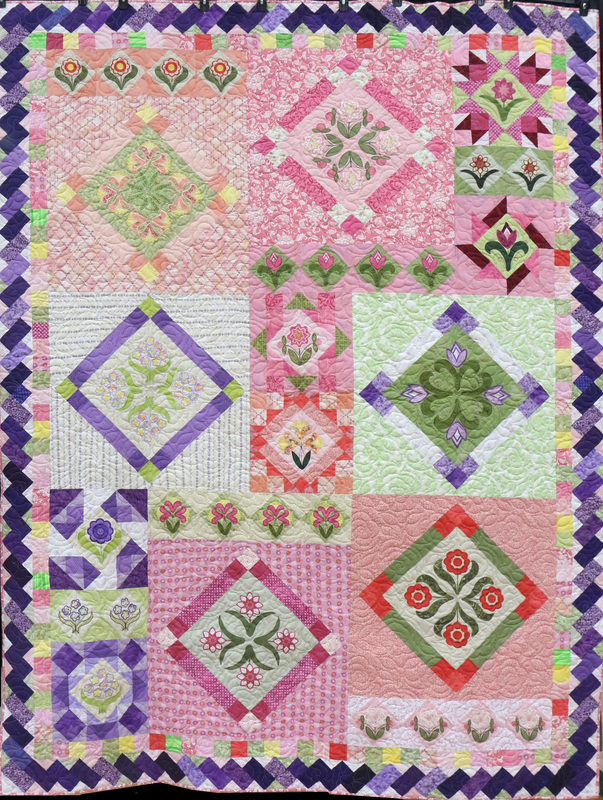 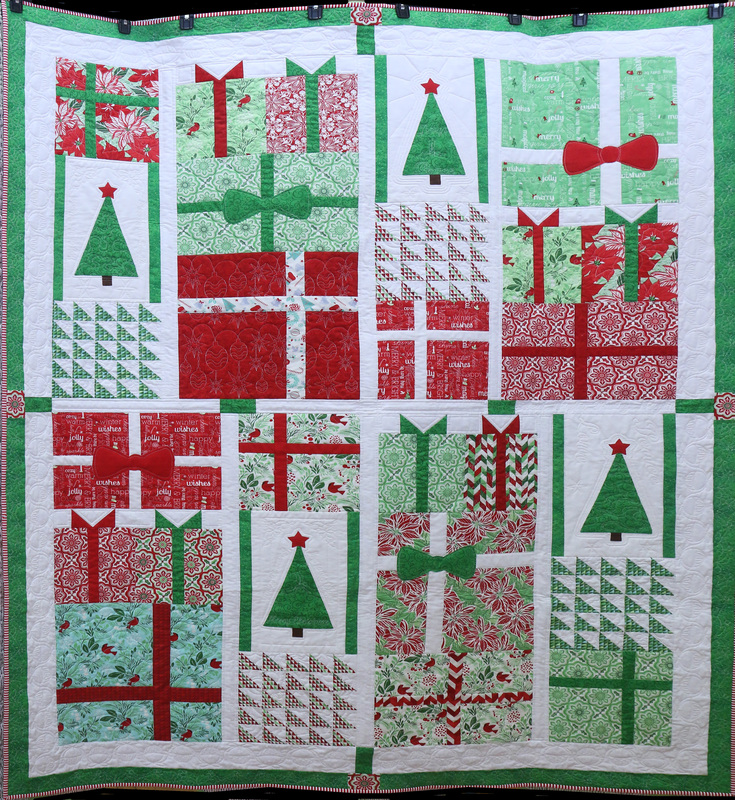 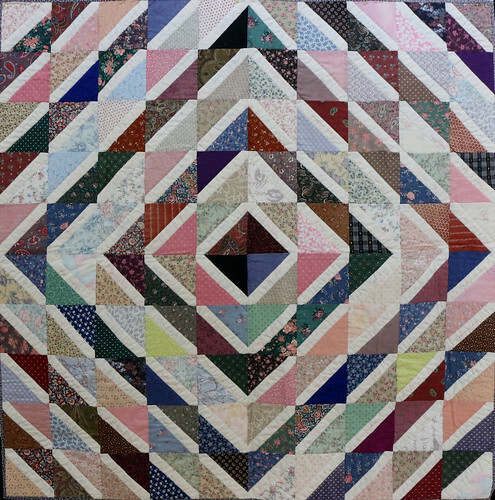 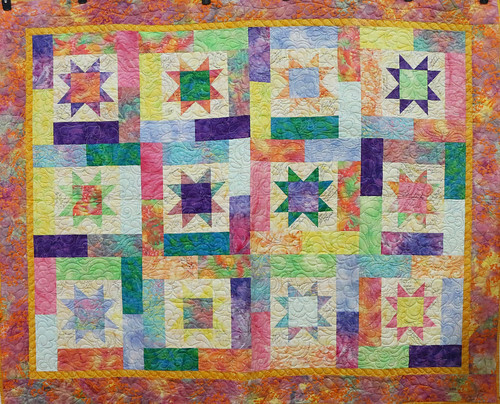 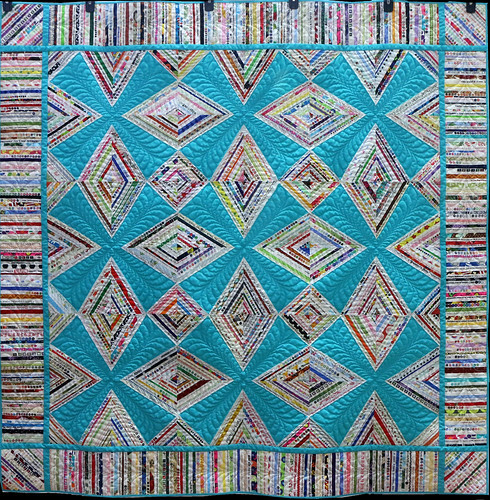 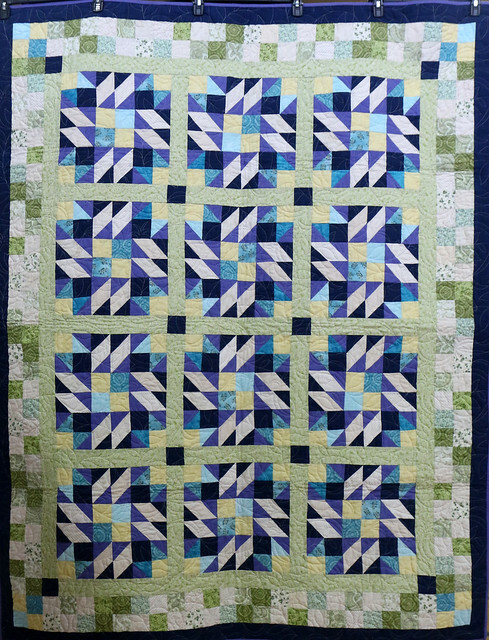 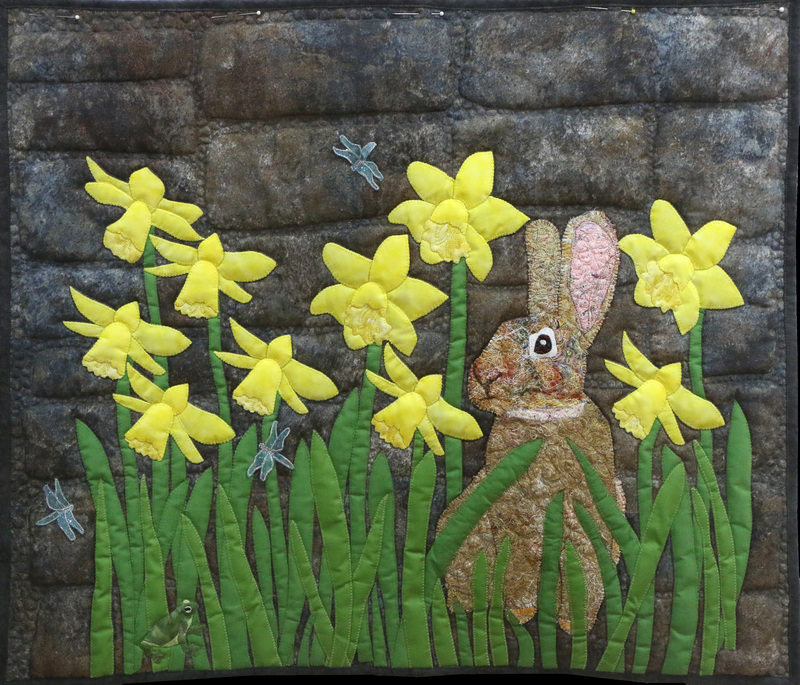 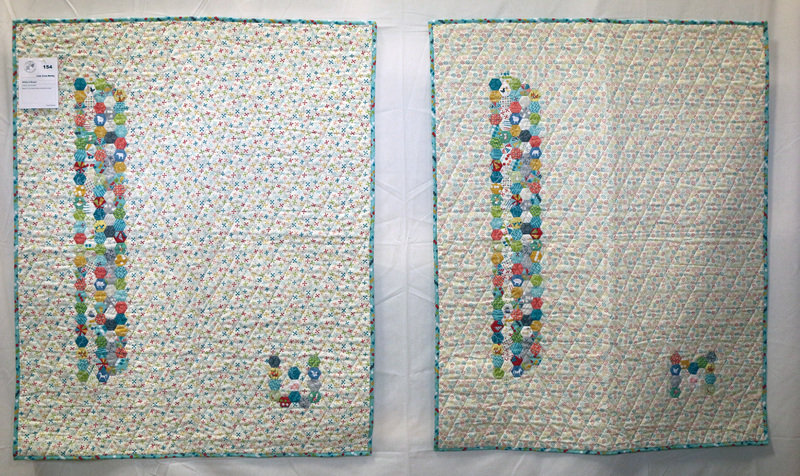 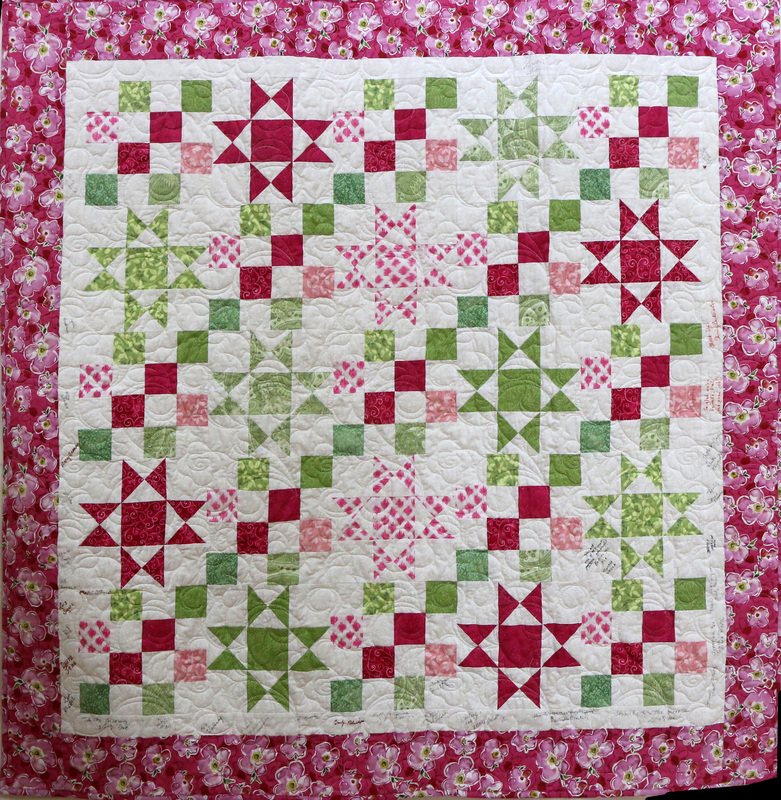 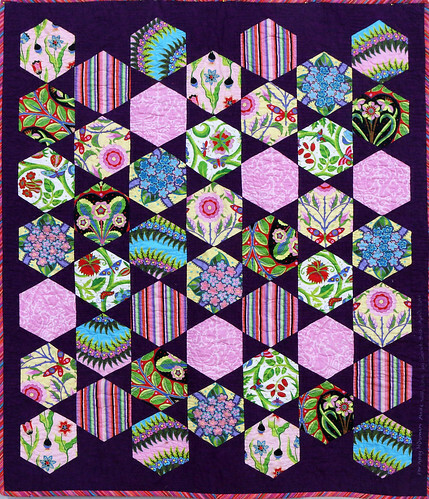 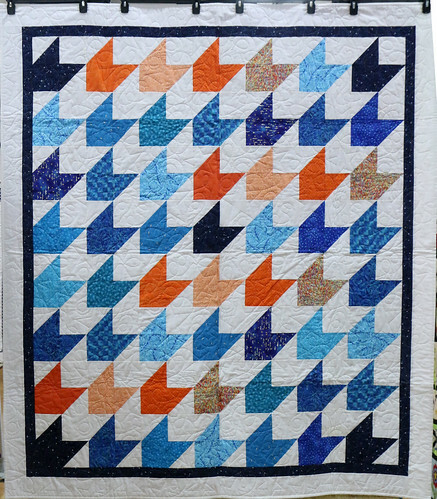 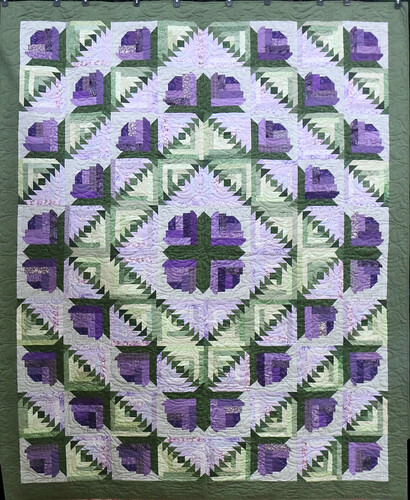 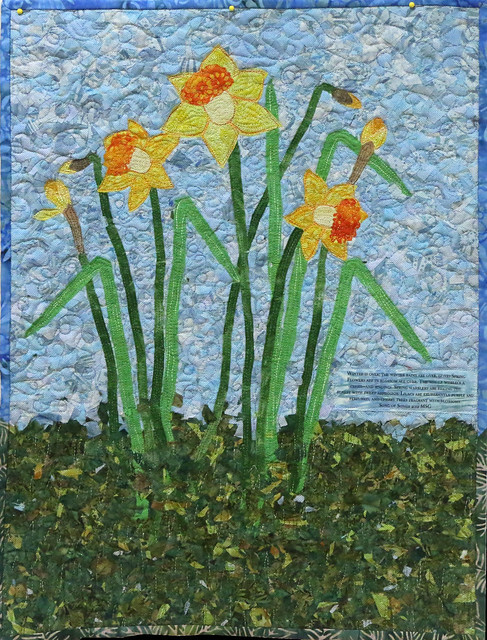 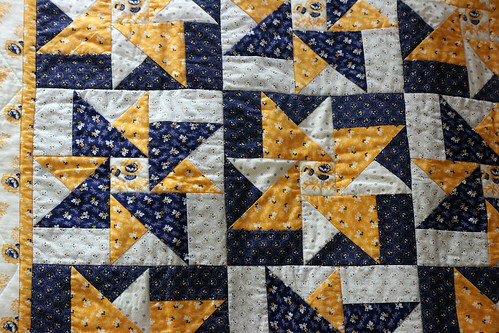 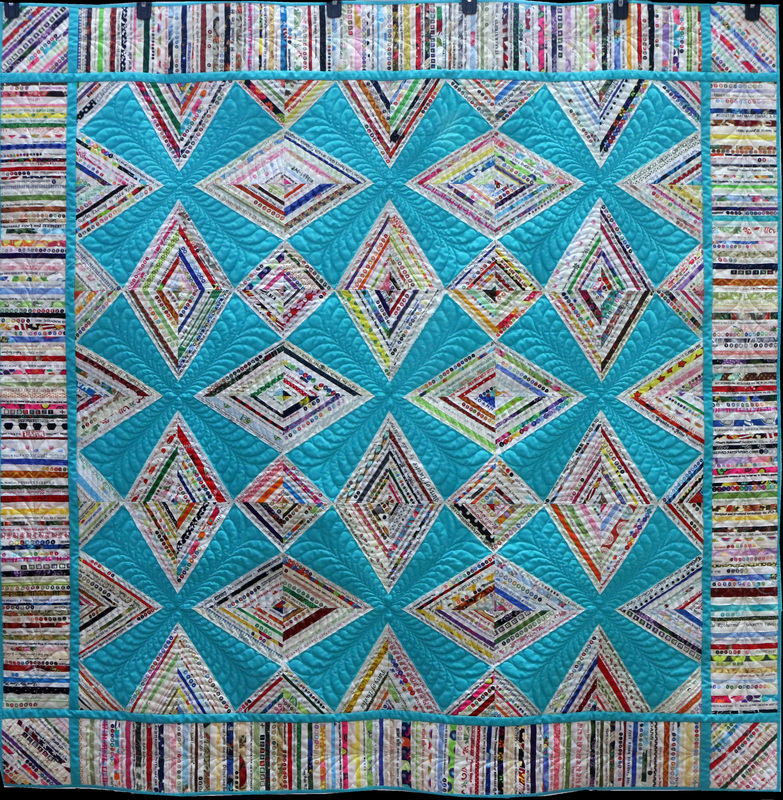 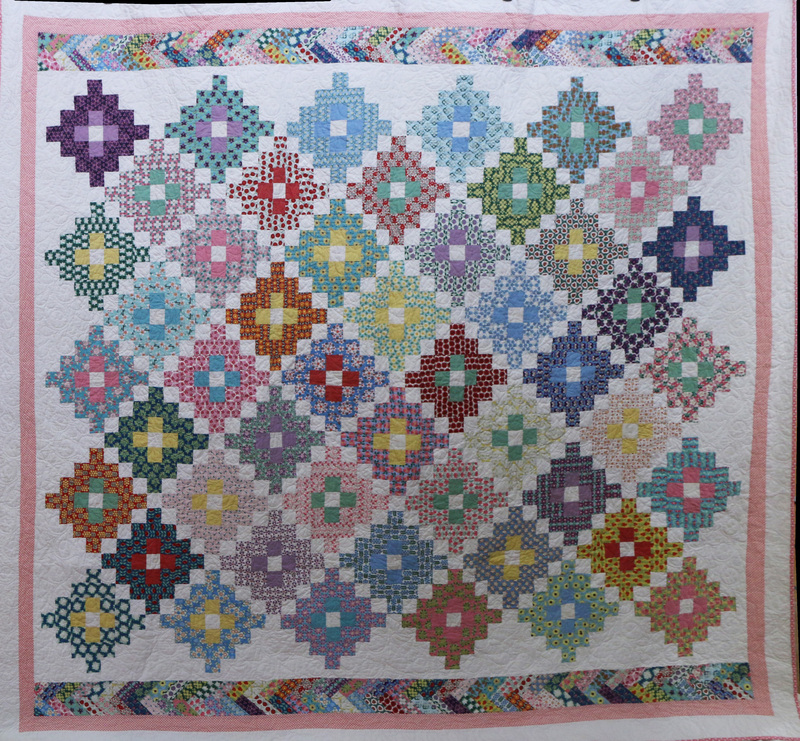 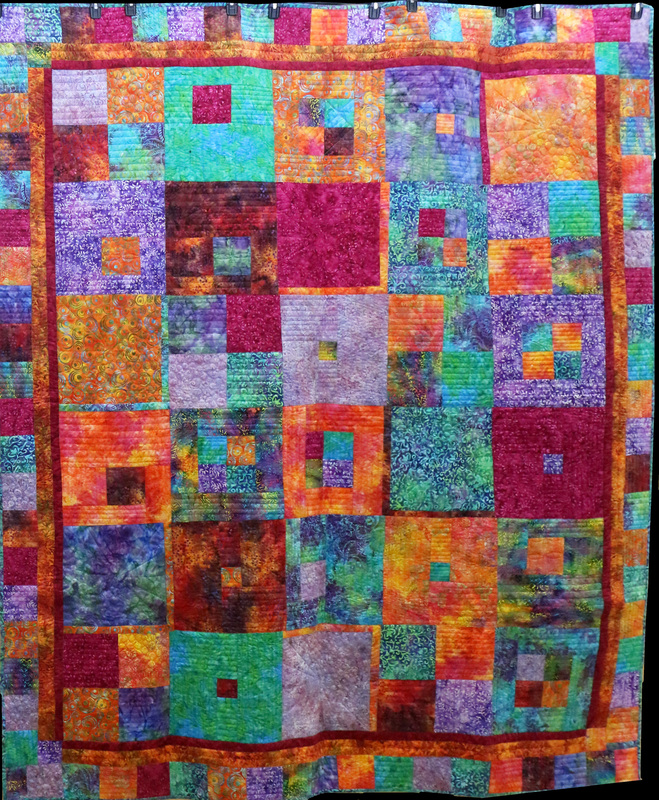 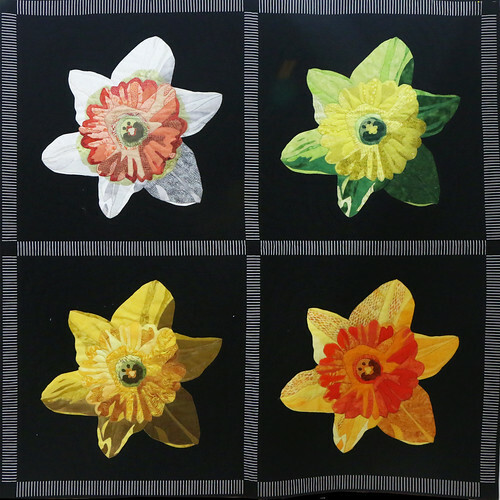 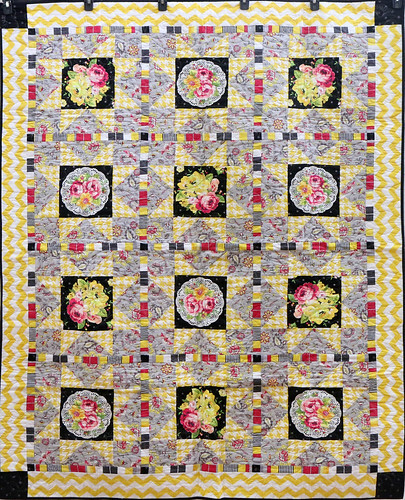 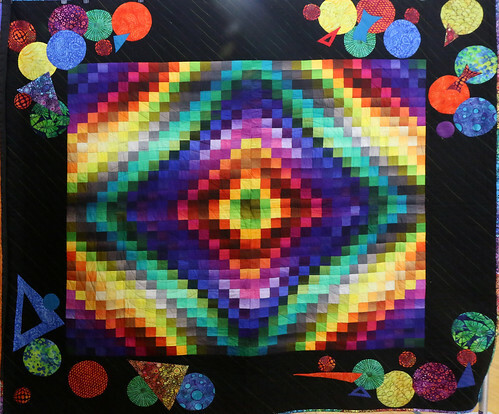 It was paper pieced and I started it in a class I took from Town Hall Quilt Guild. 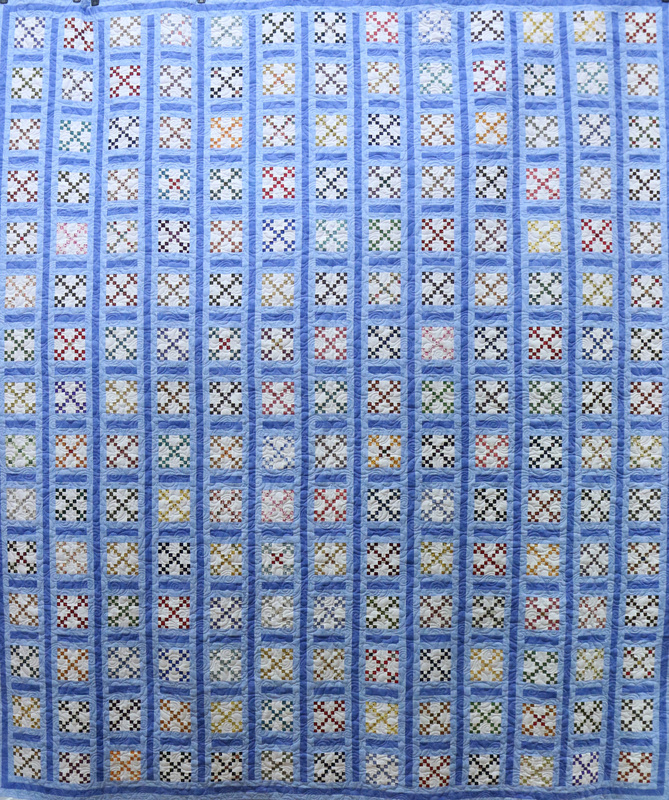 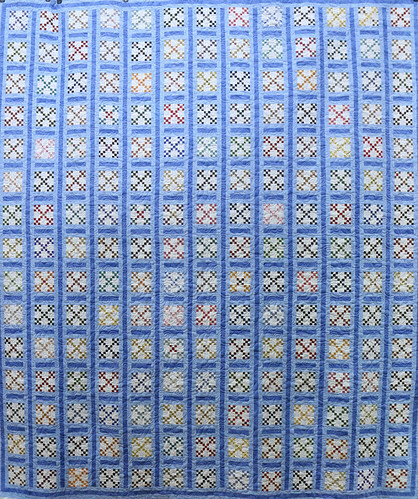 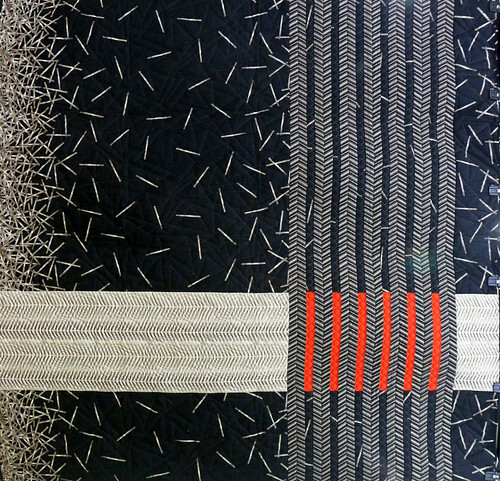 It has all kinds of colors in it, but the background is Red and Blue with colorful stars in the center. 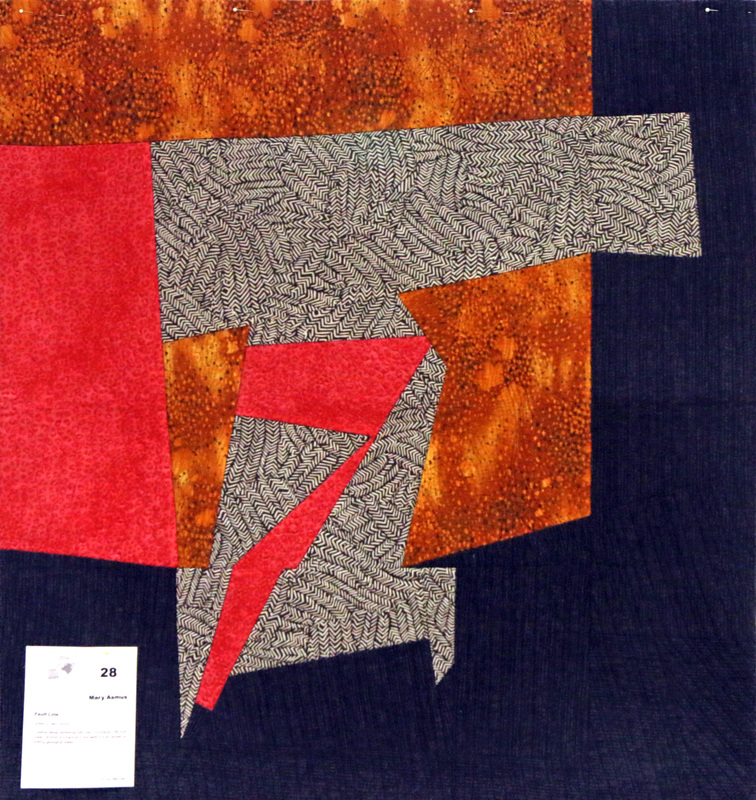 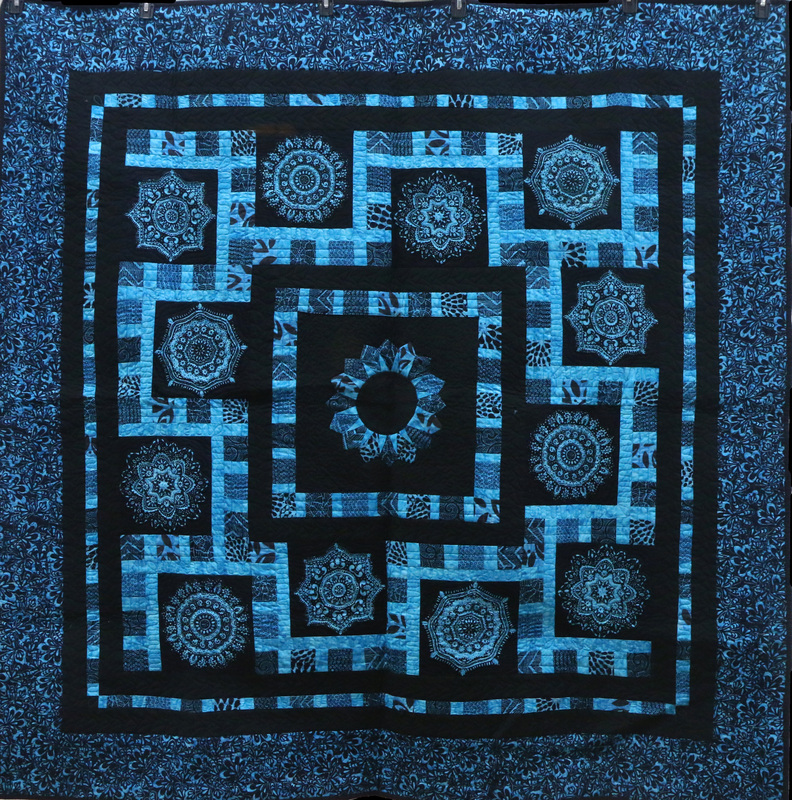 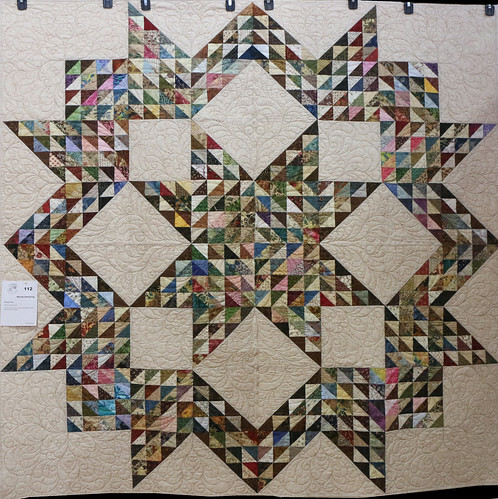 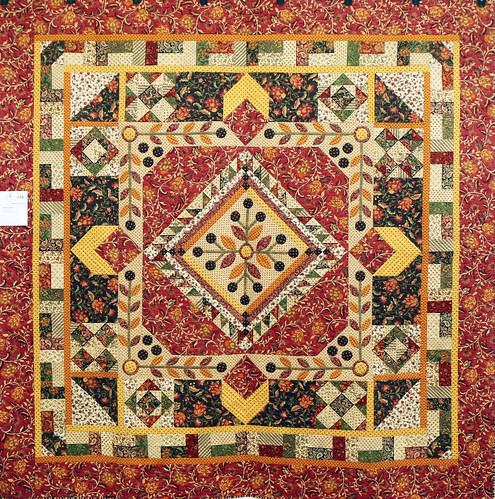 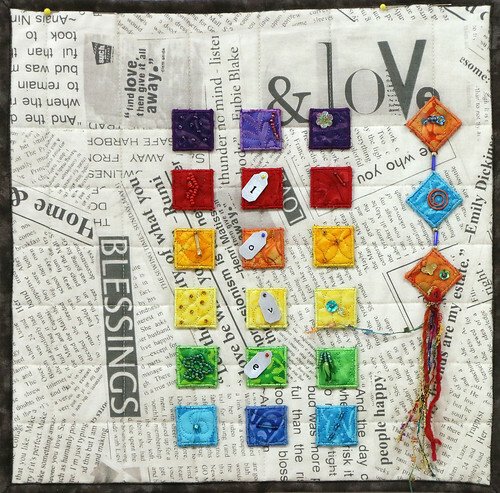 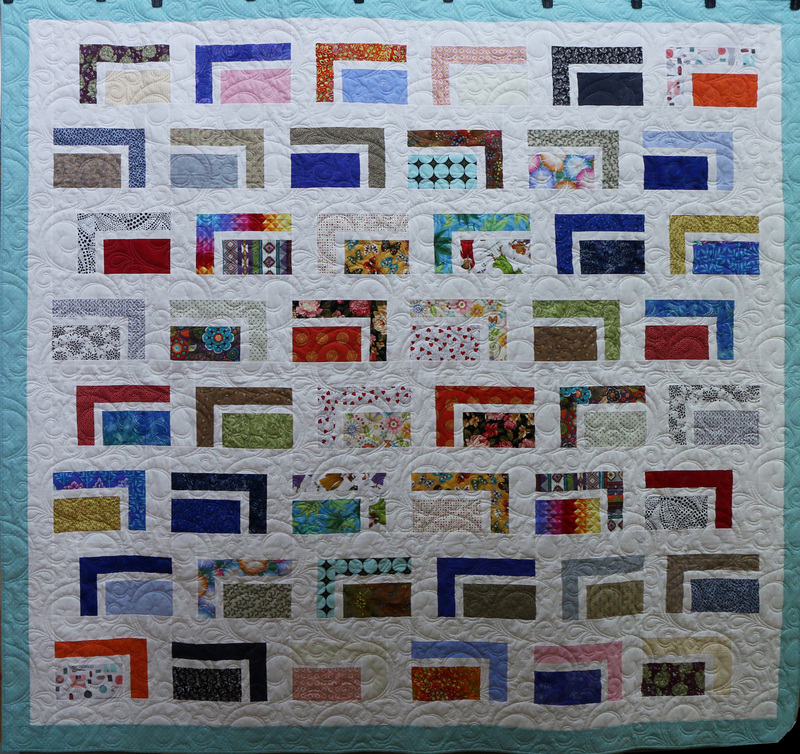 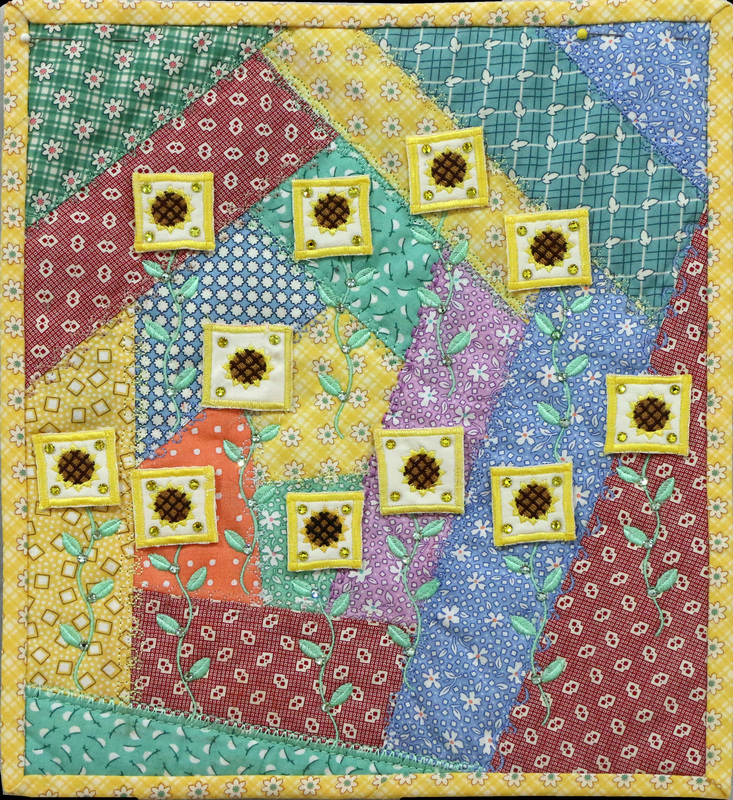 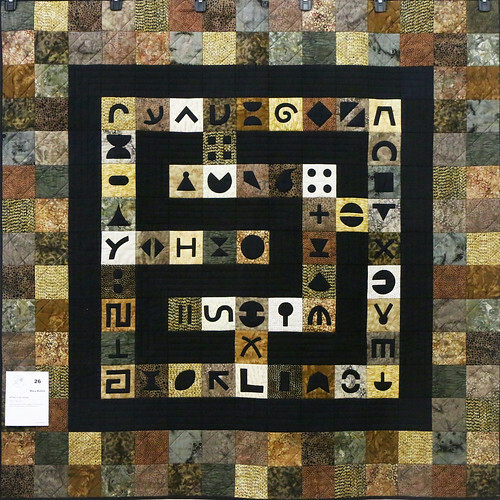 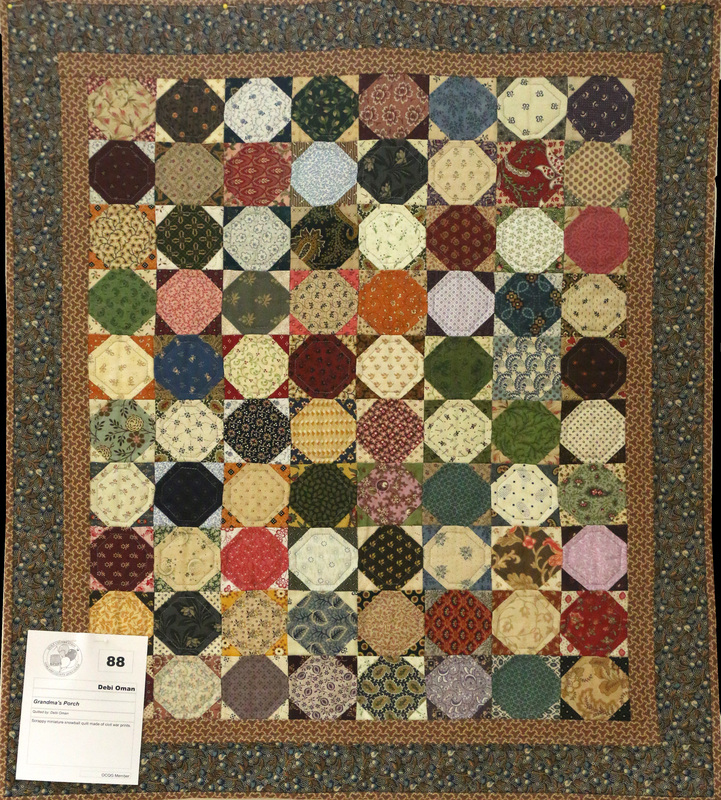 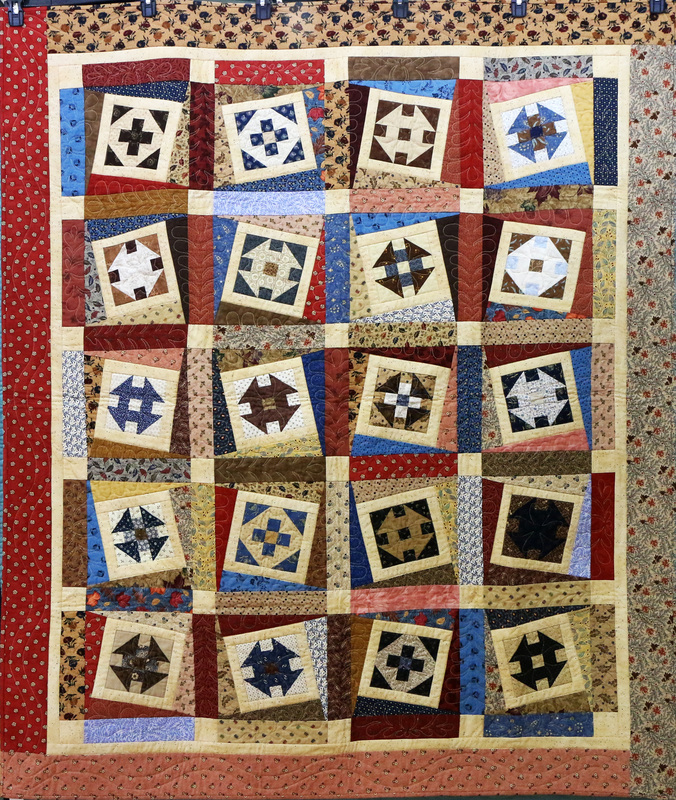 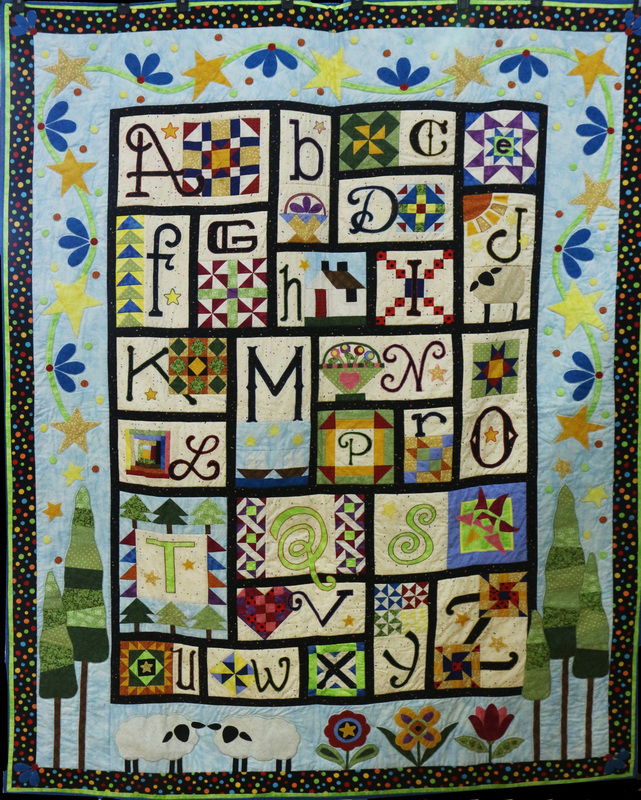 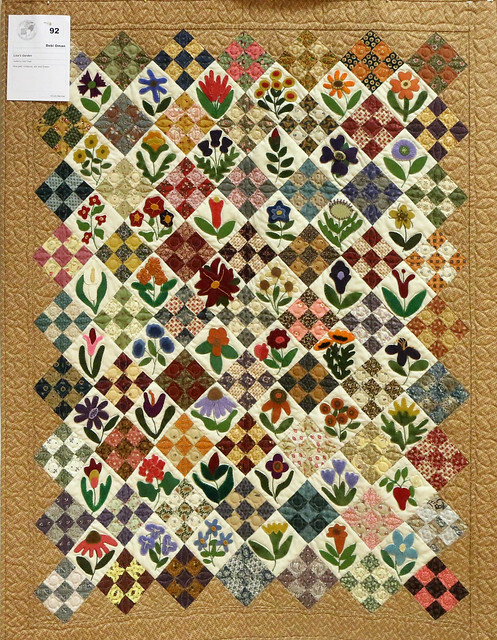 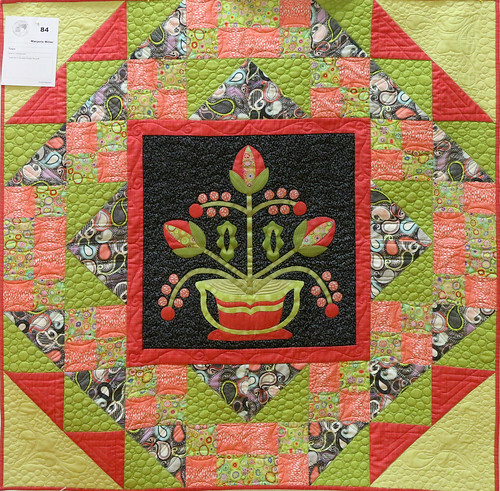 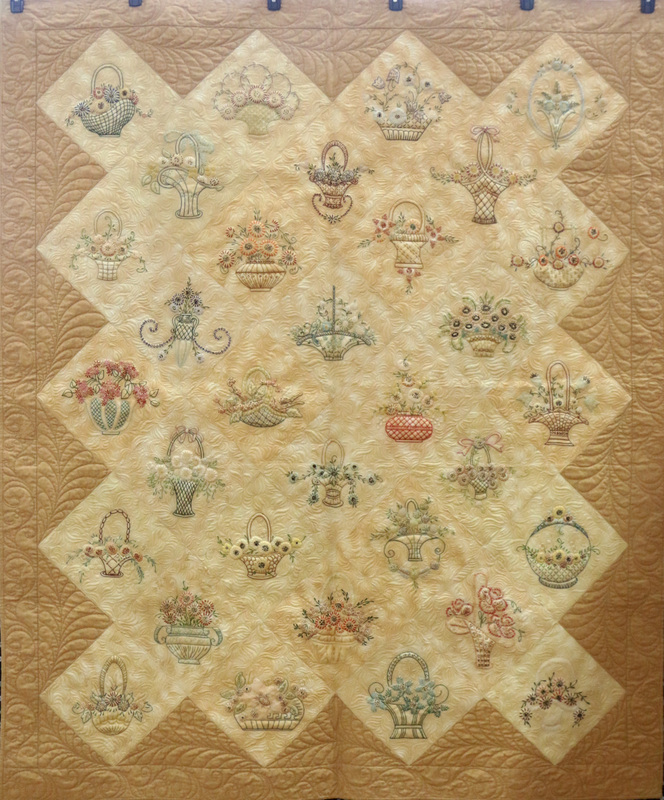 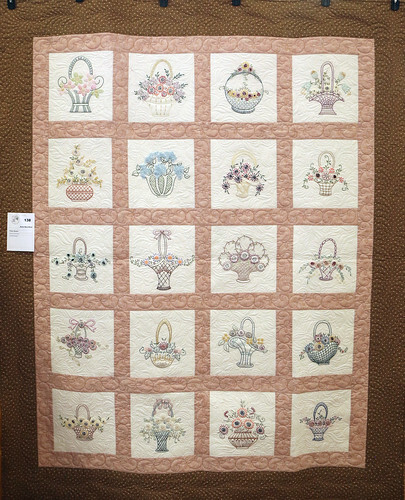 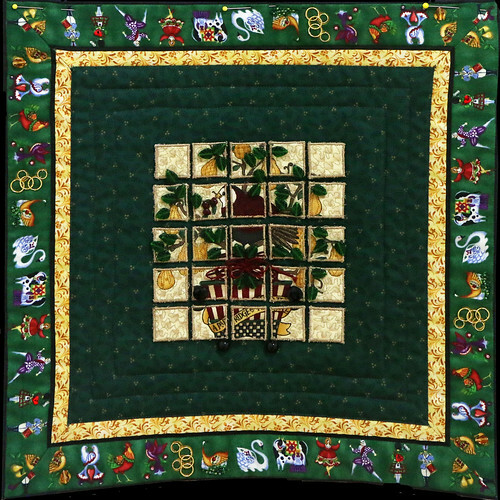 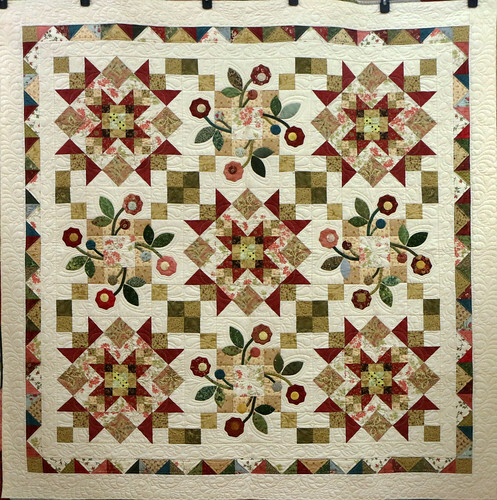 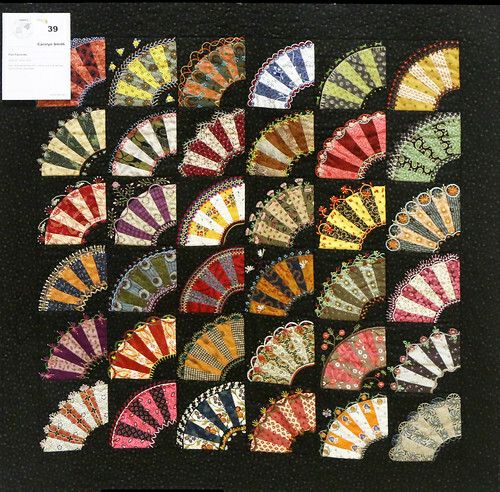 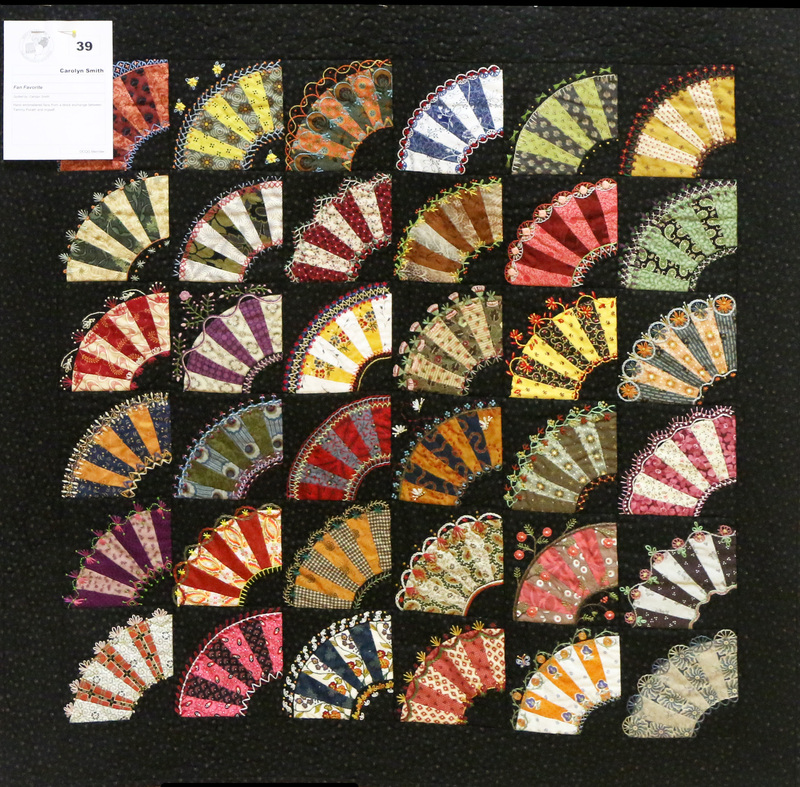 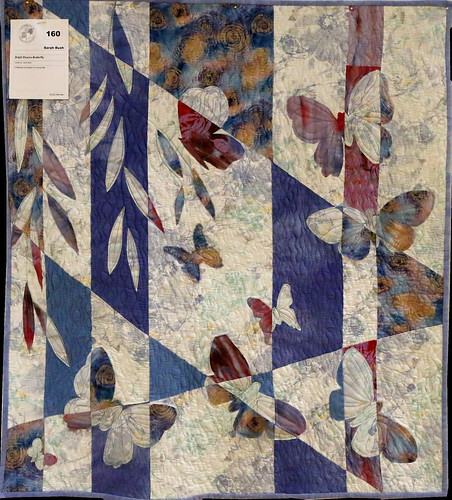 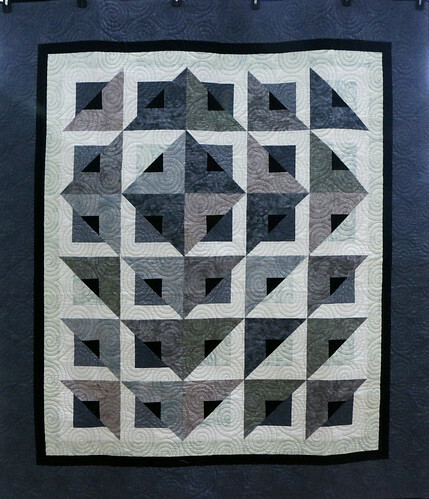 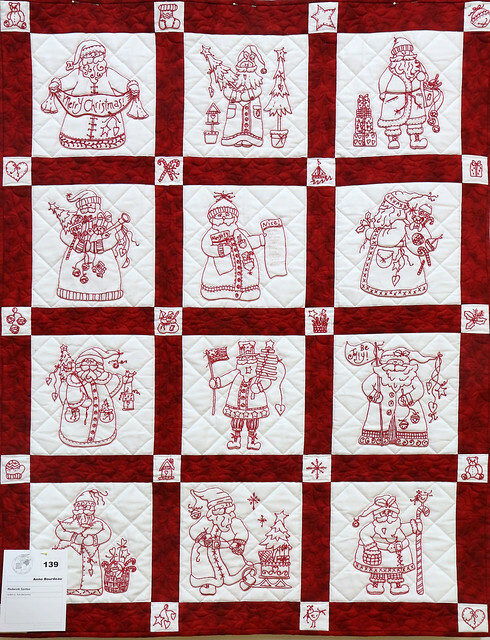 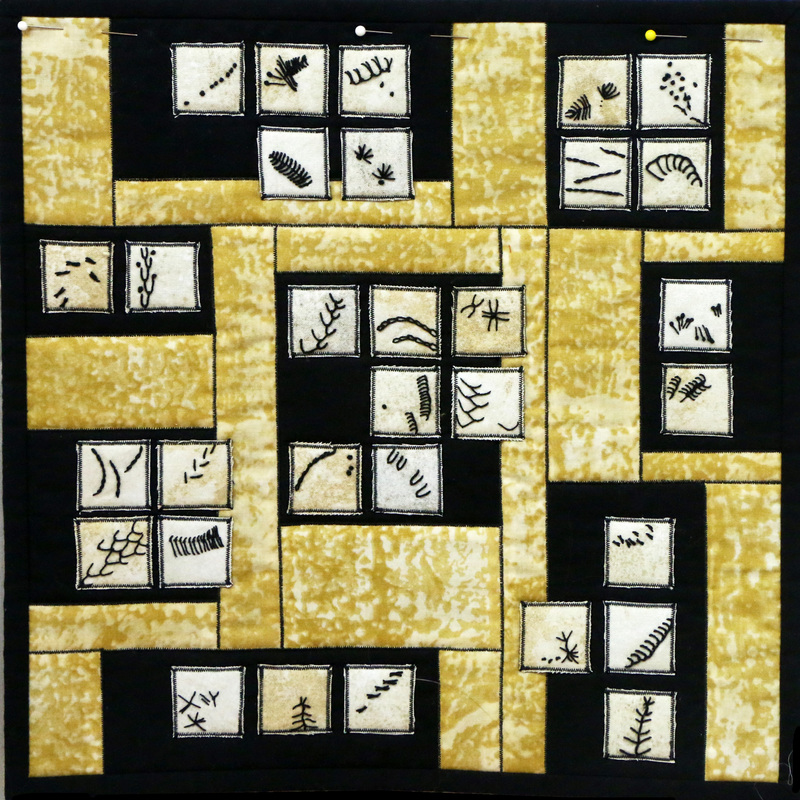 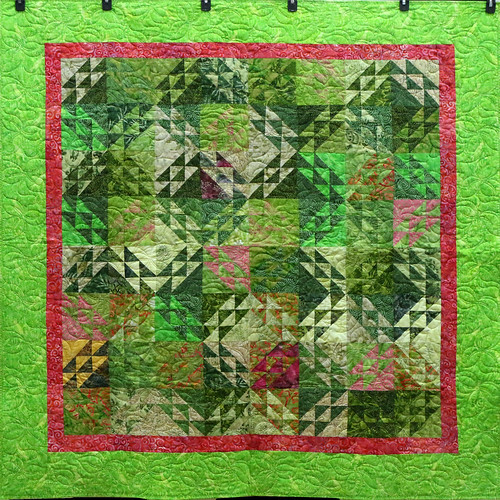 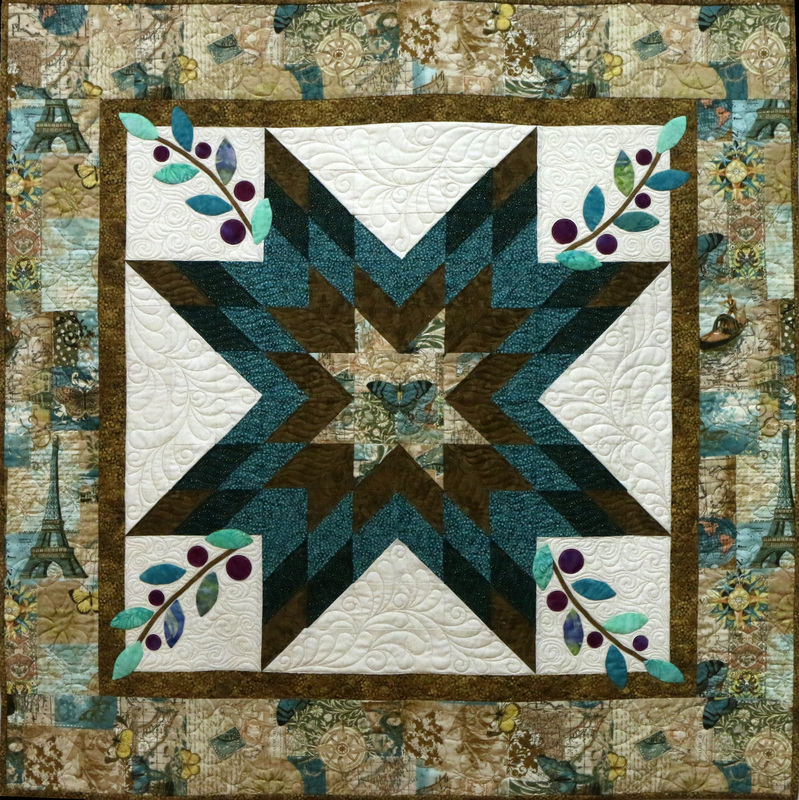 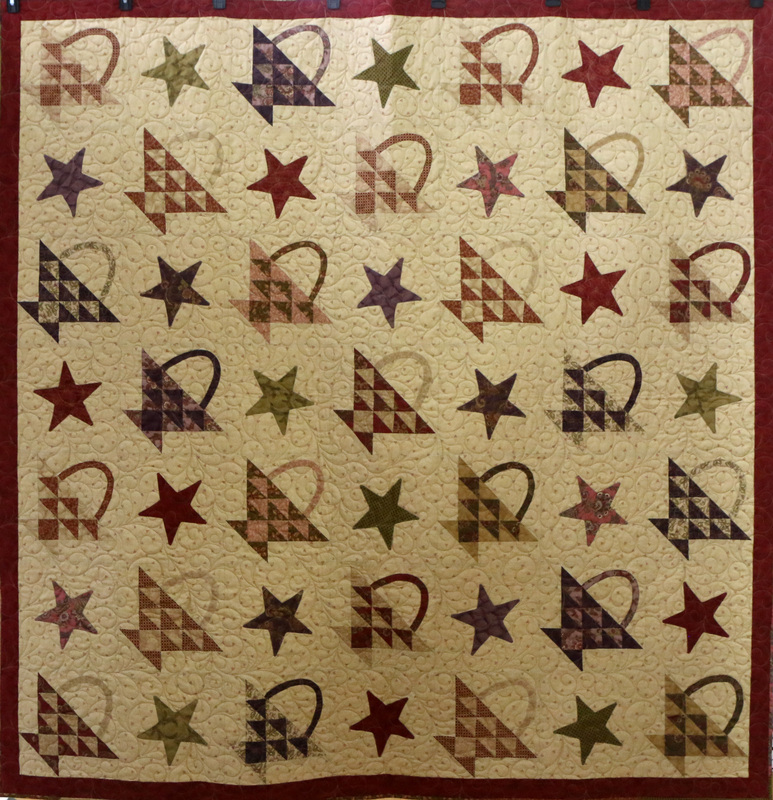 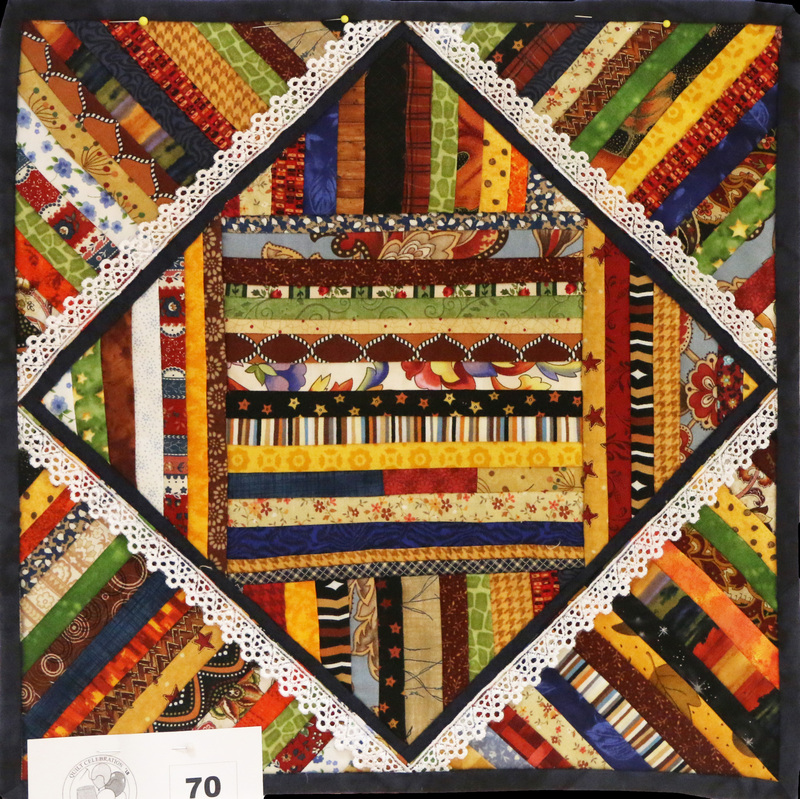 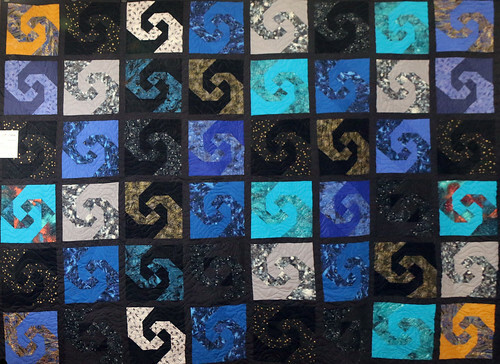 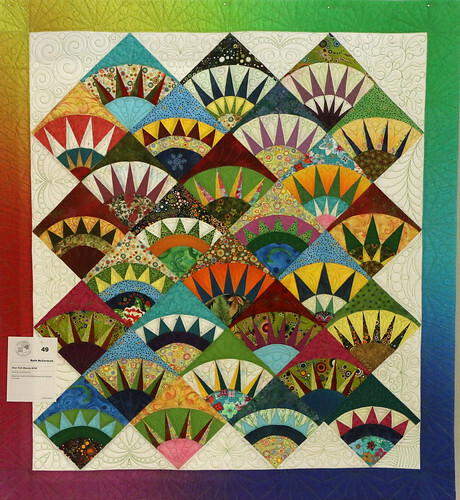 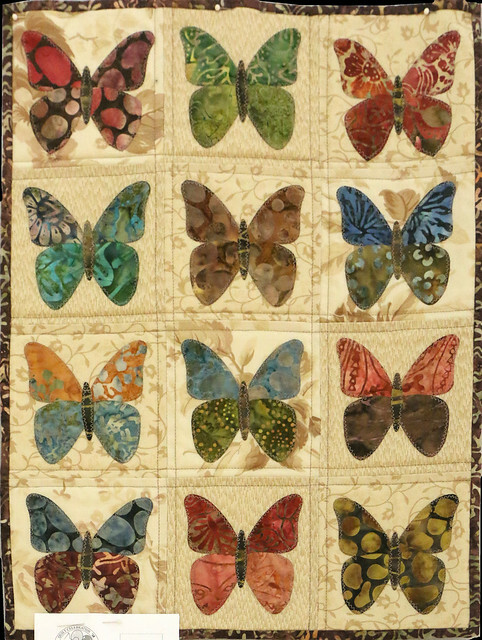 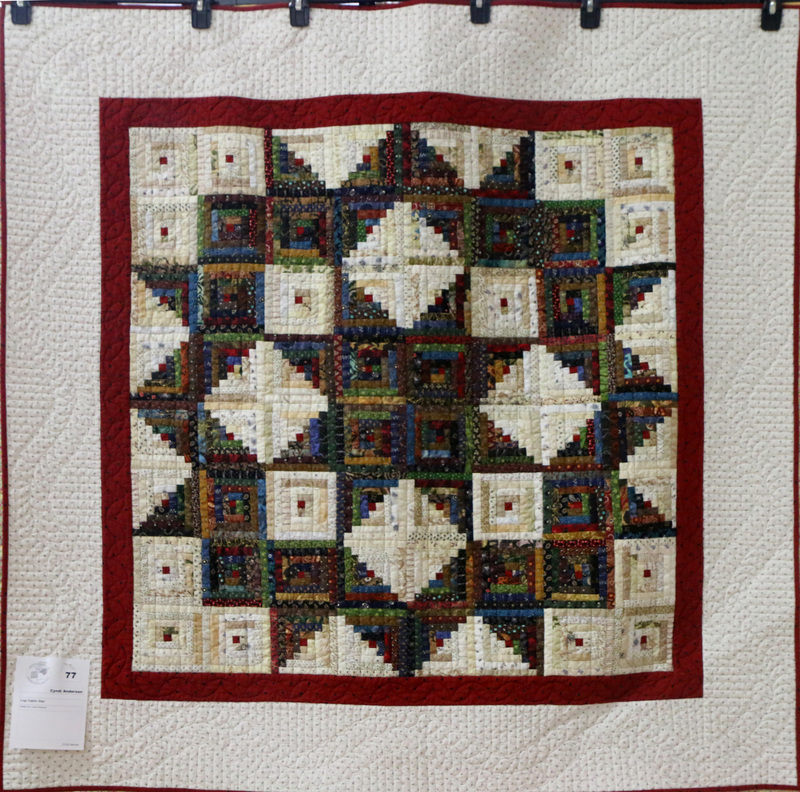 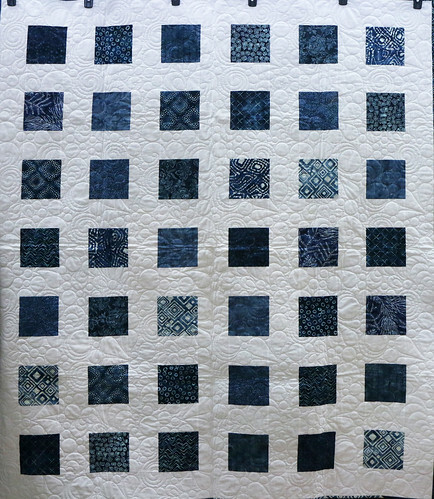 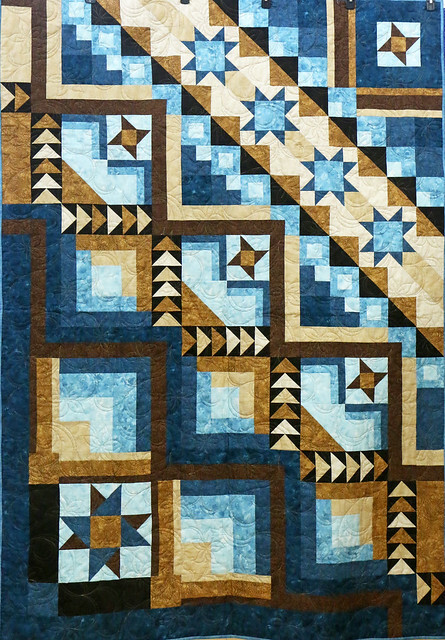 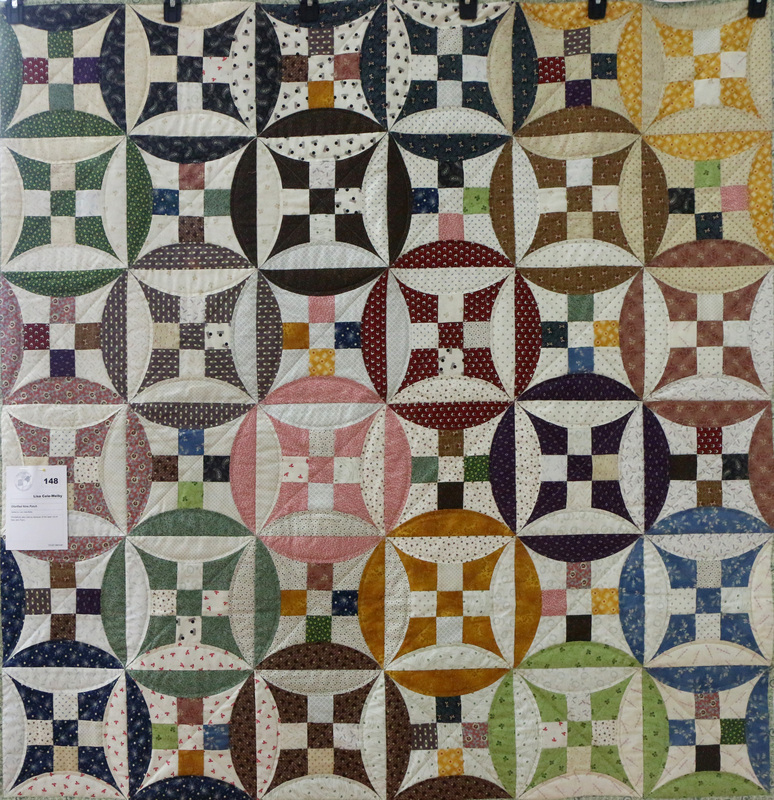 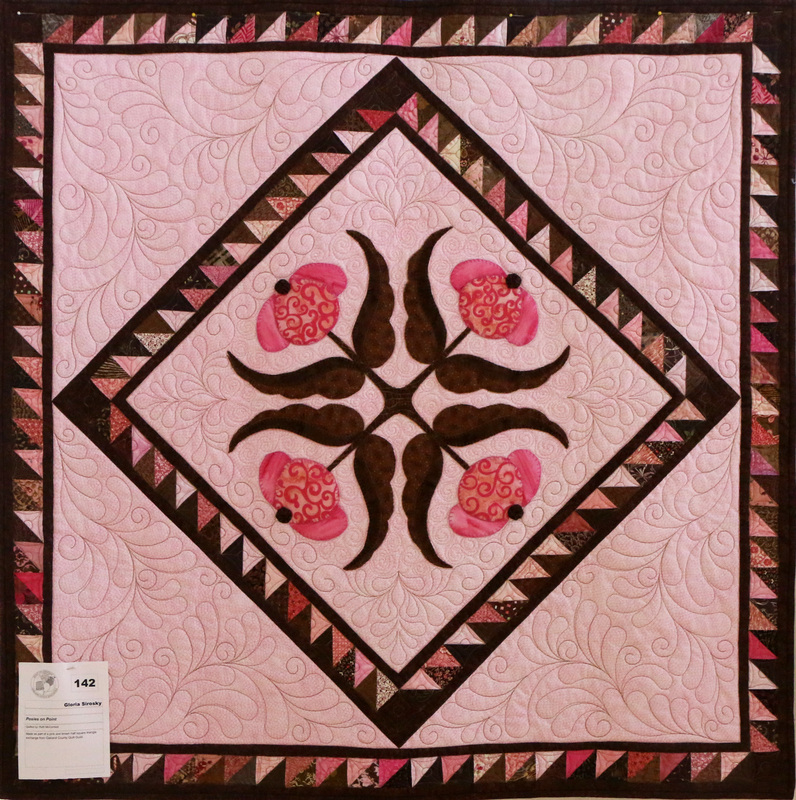 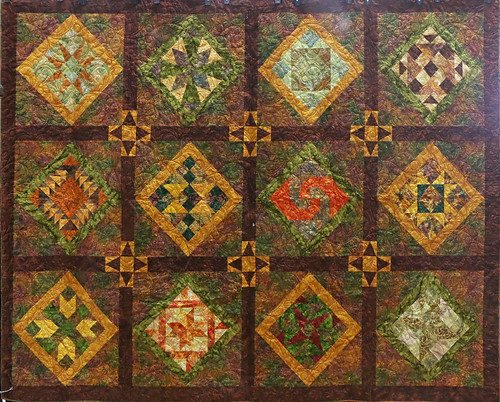 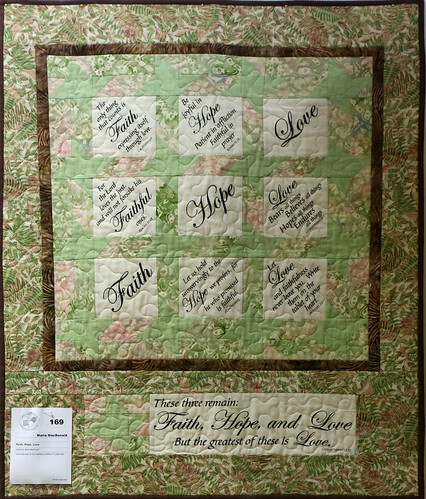 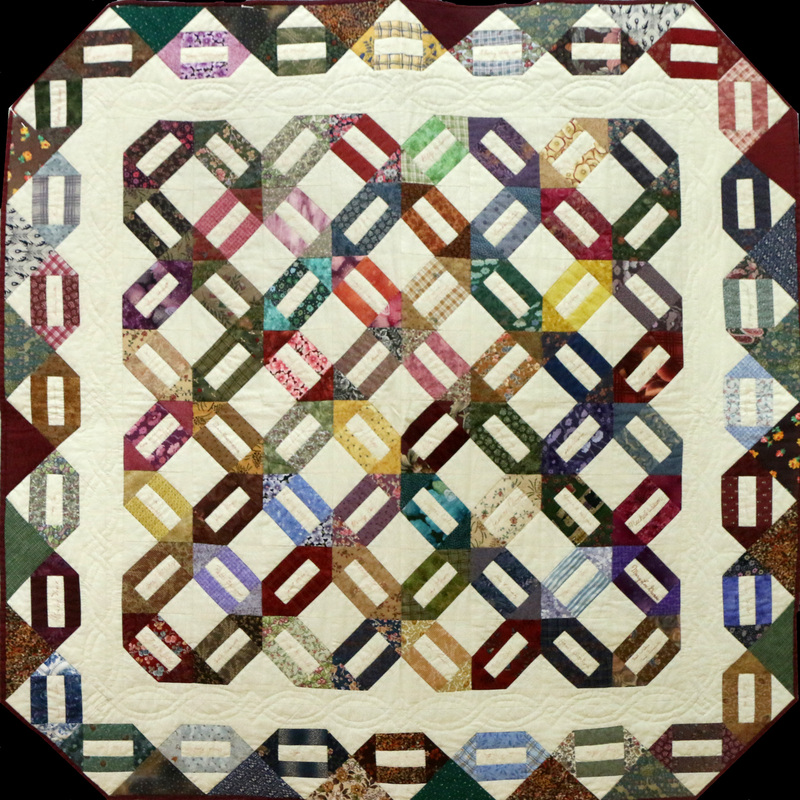 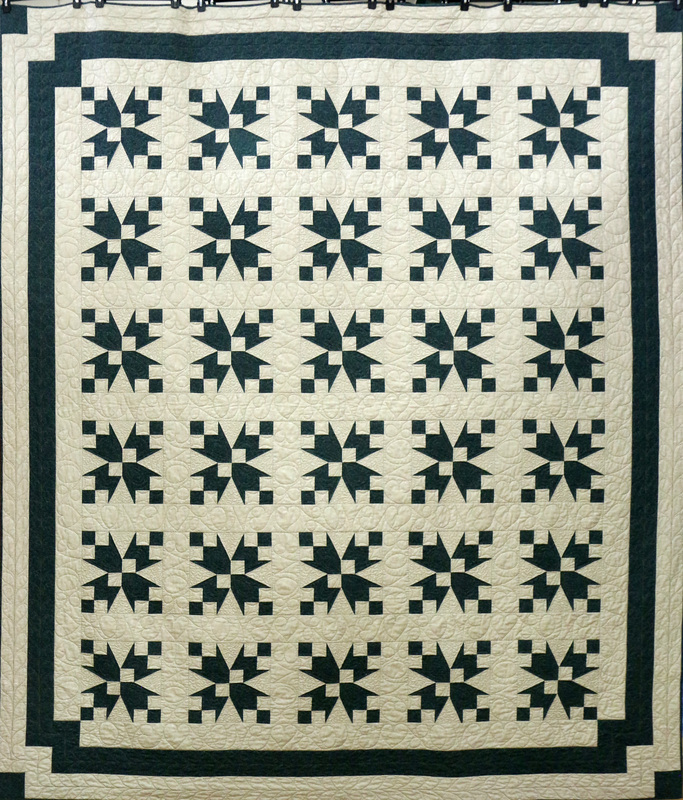 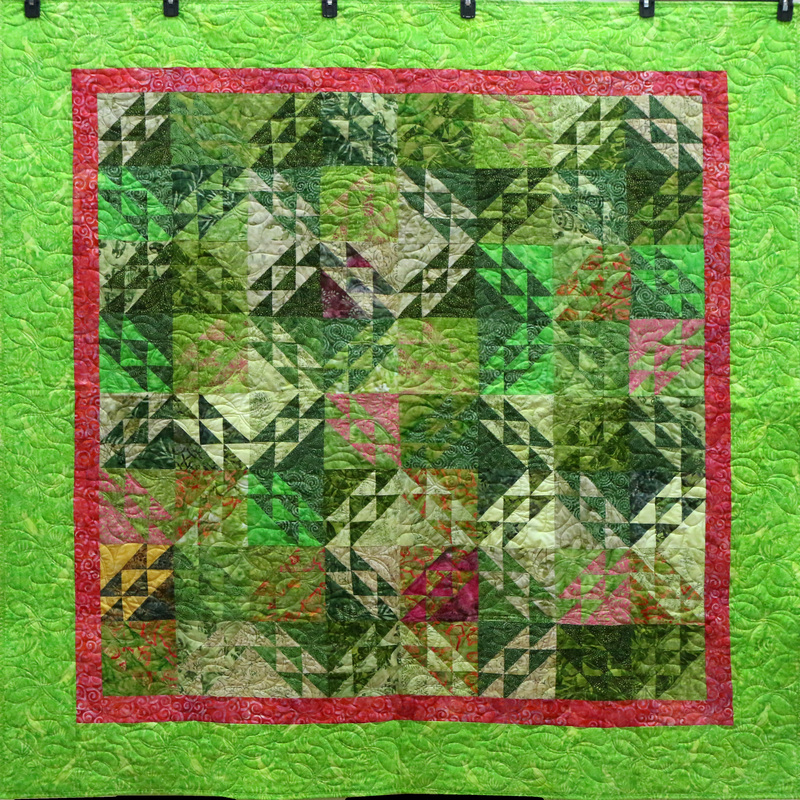 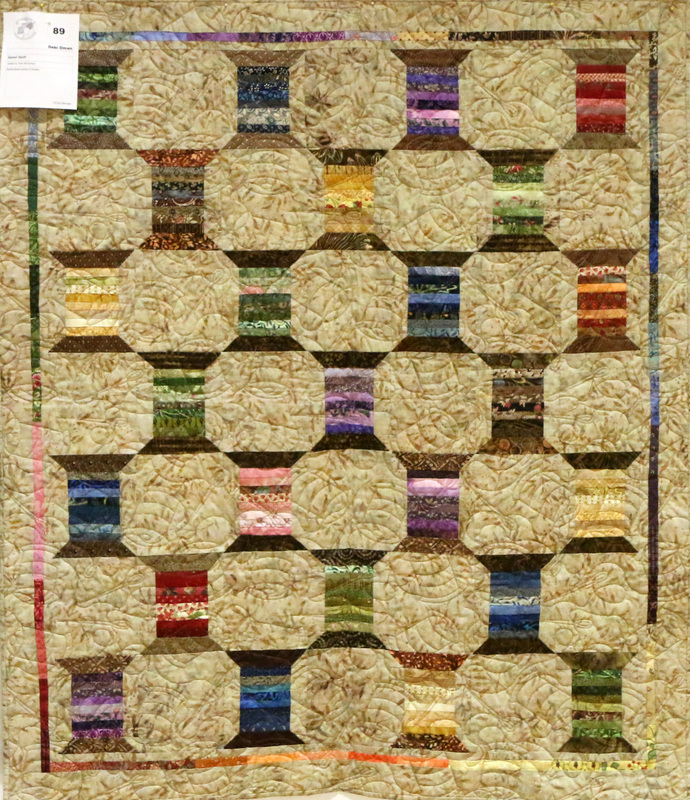 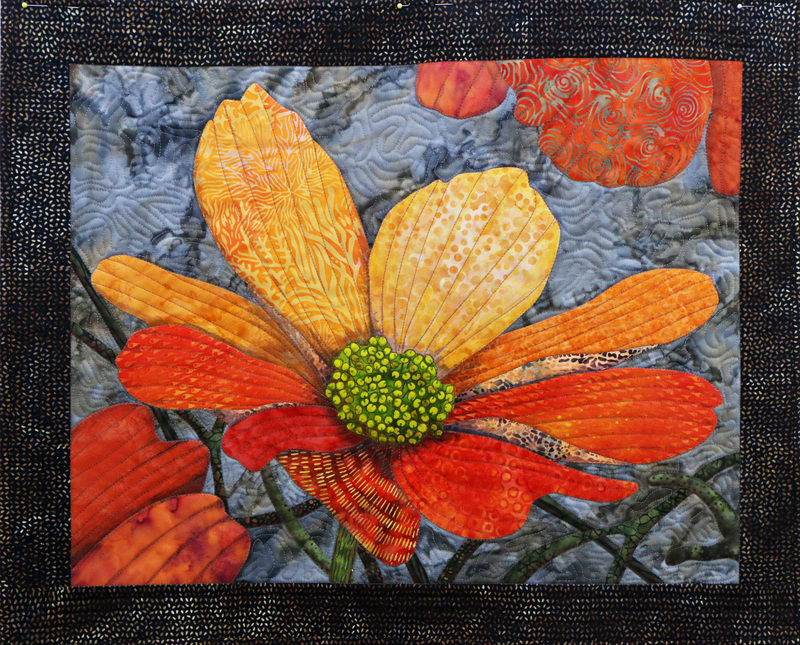 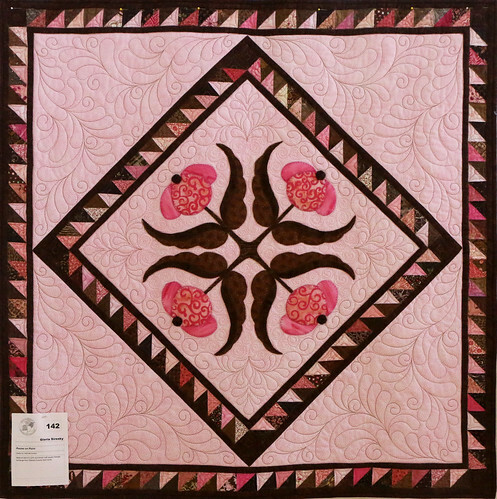 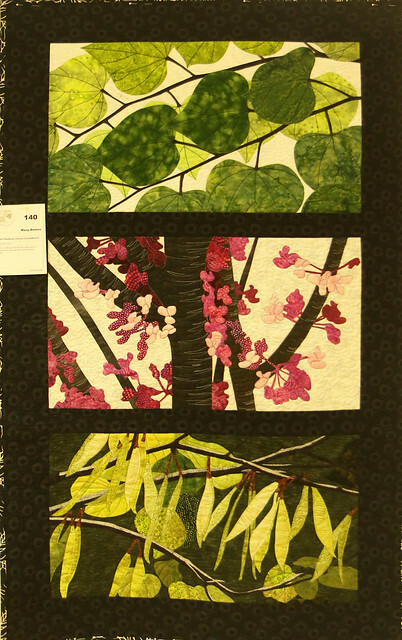 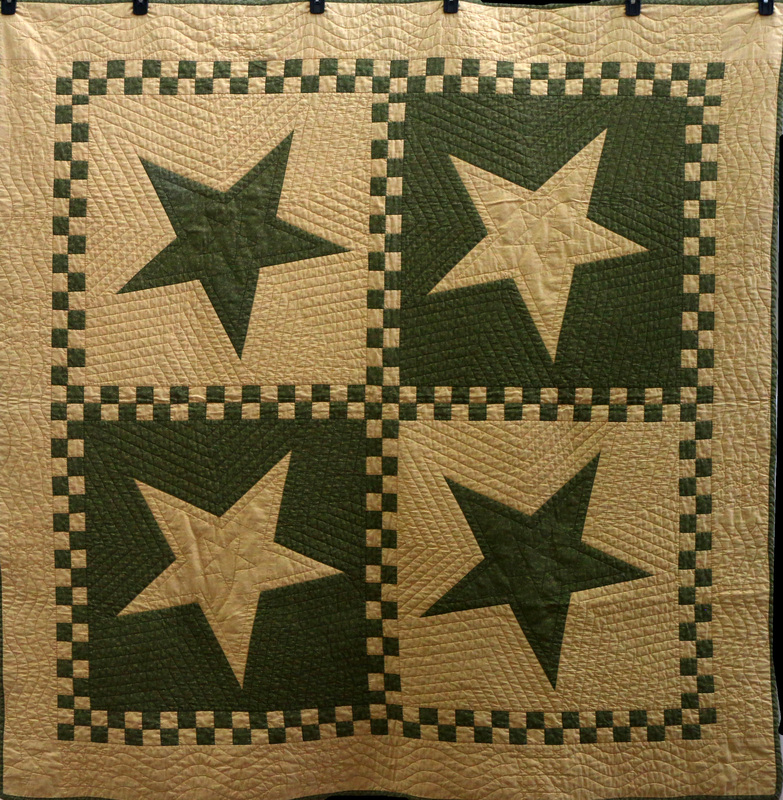 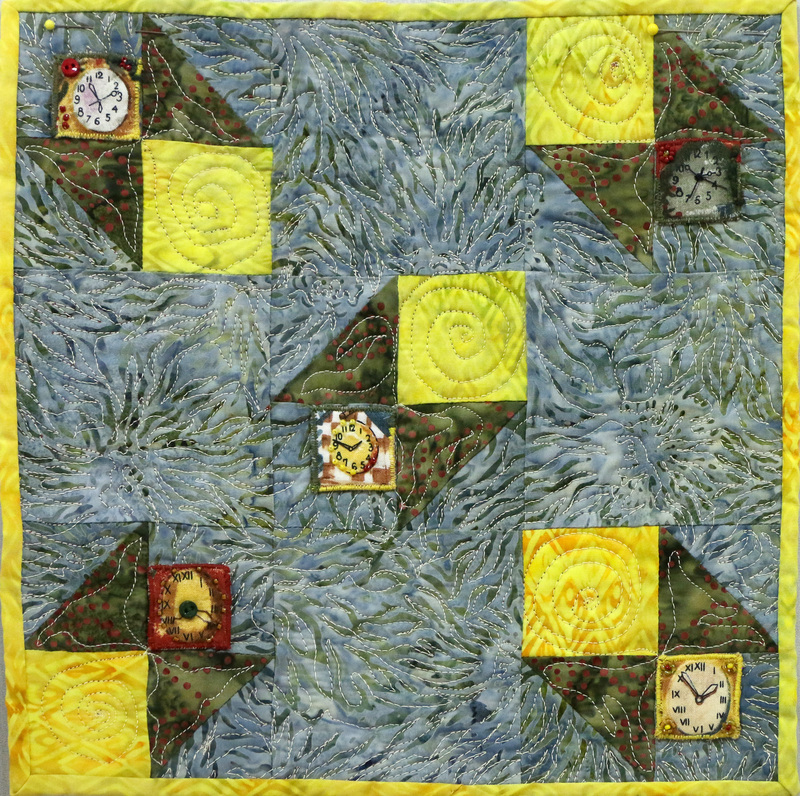 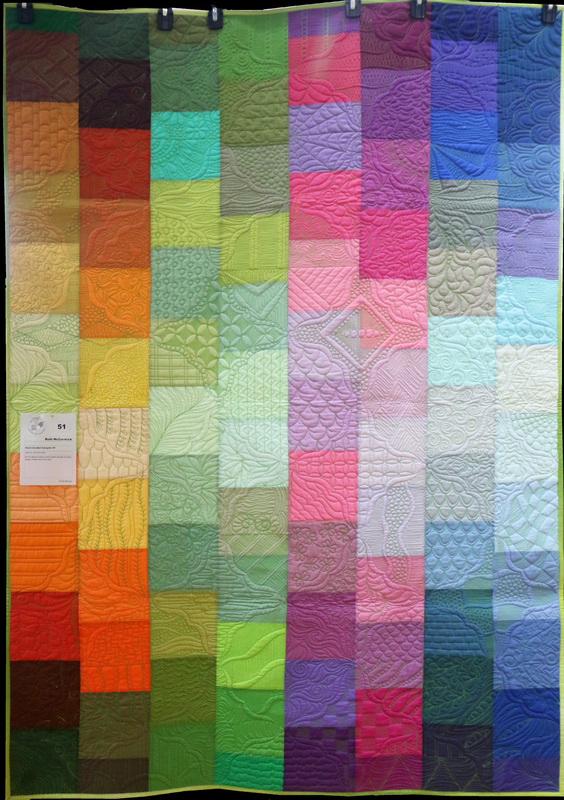 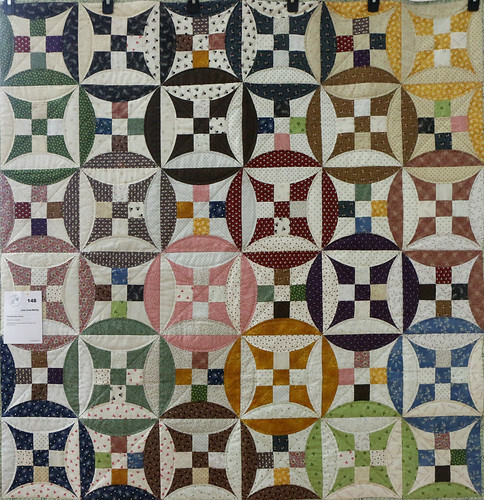 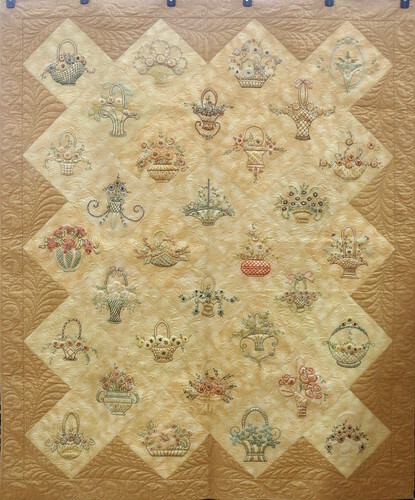 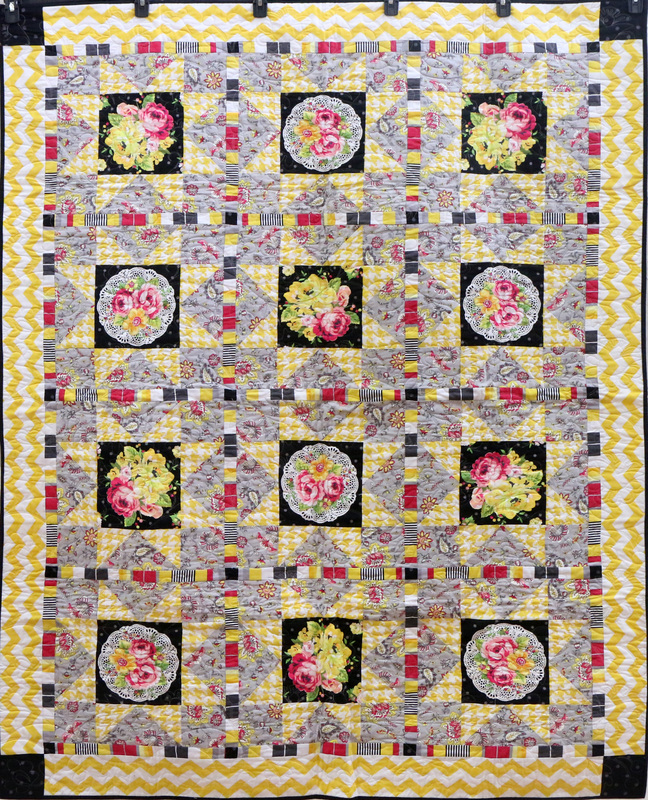 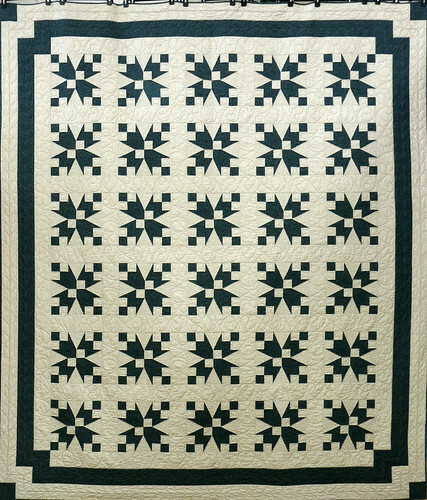 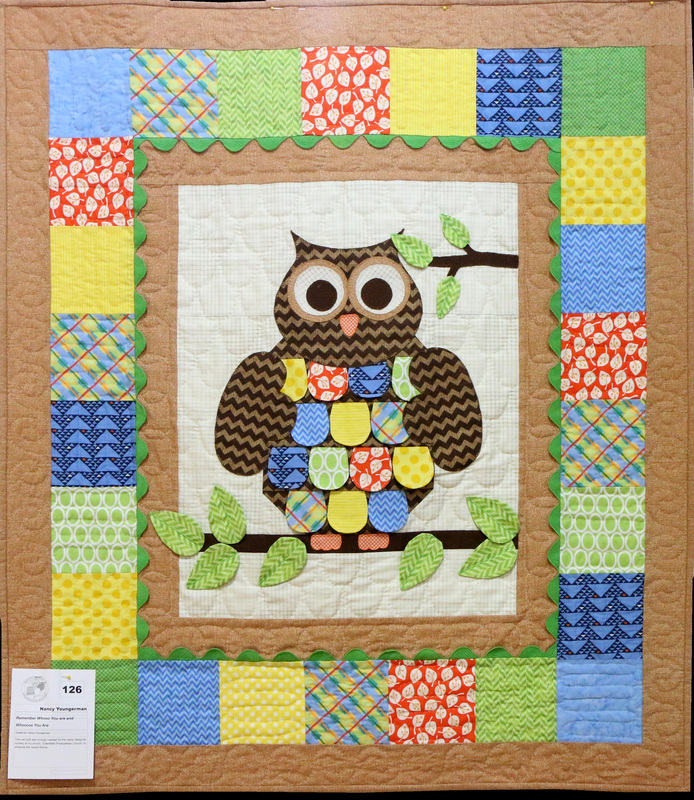 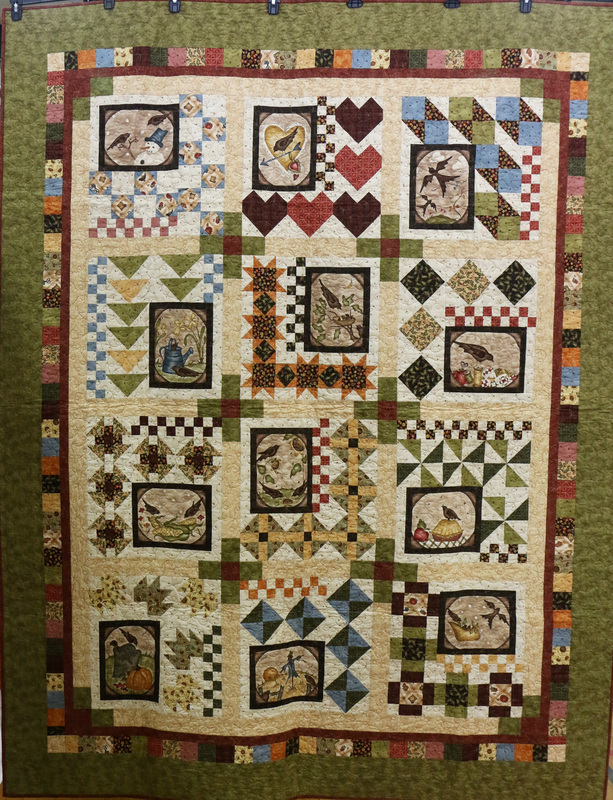 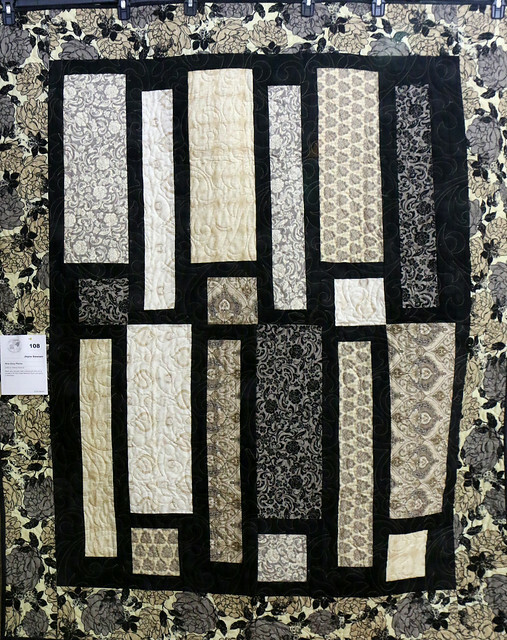 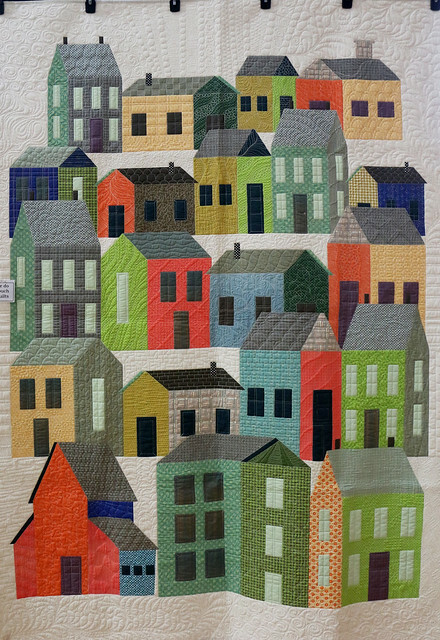 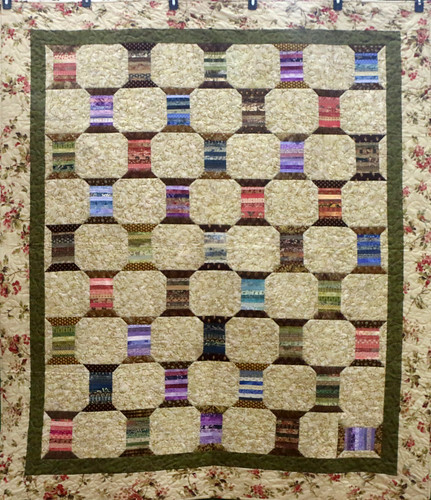 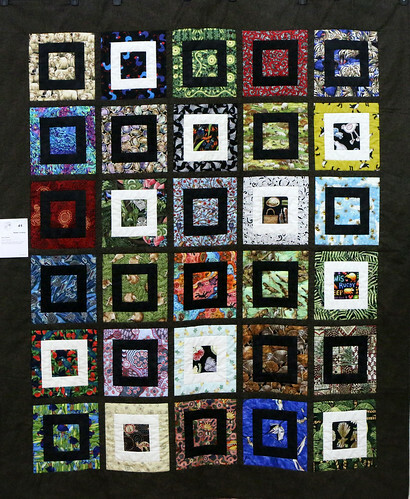 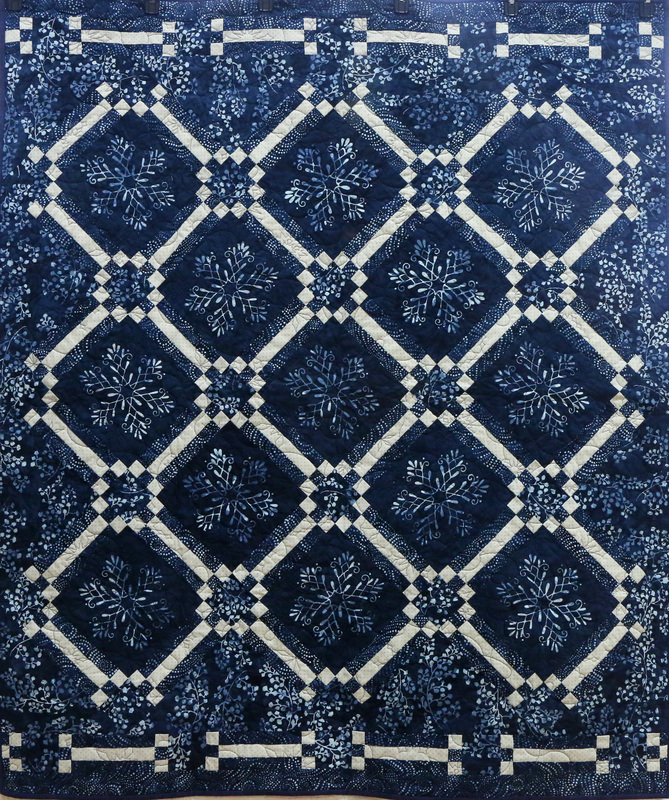 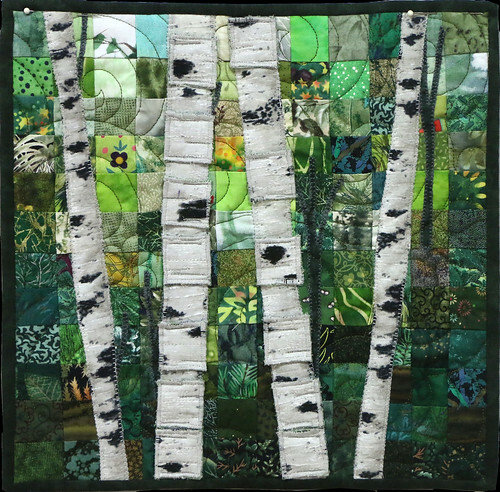 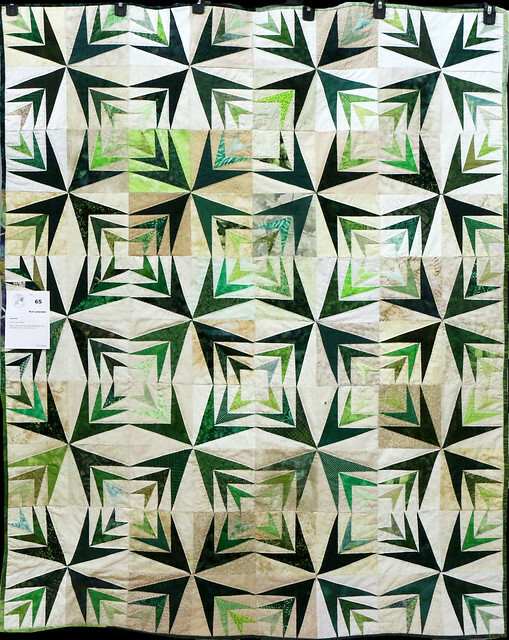 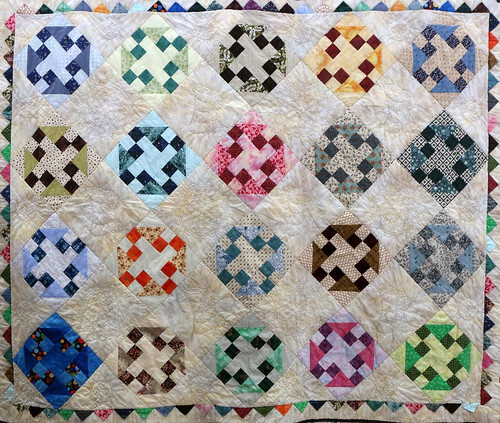 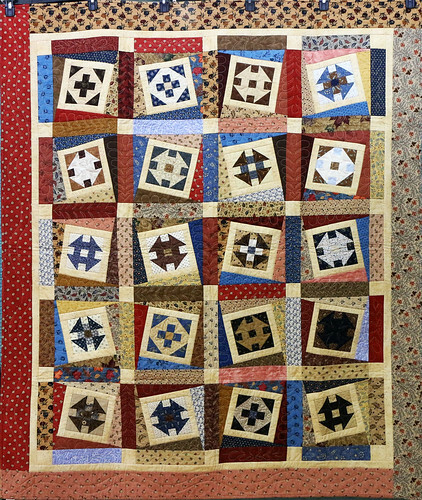 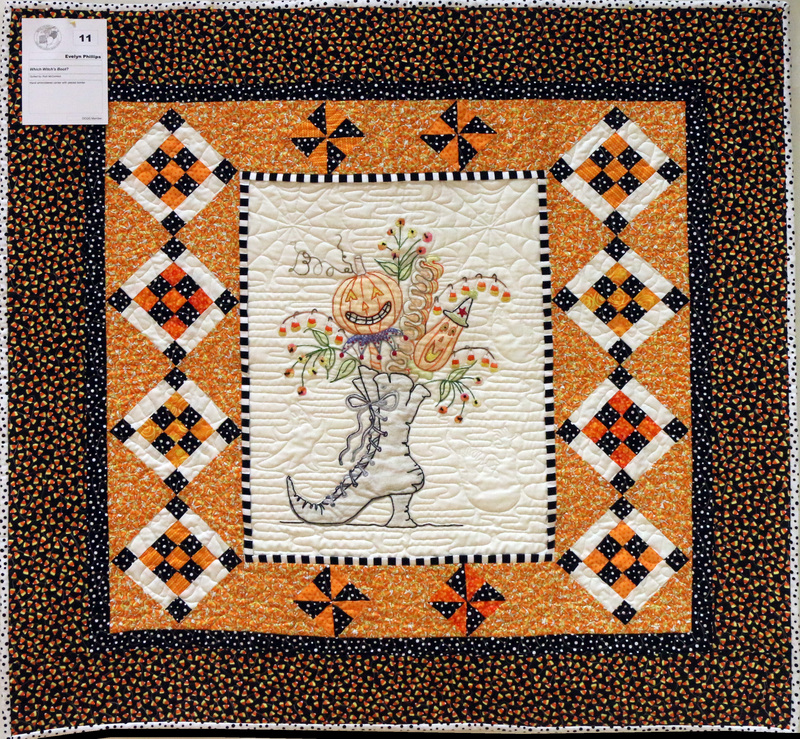 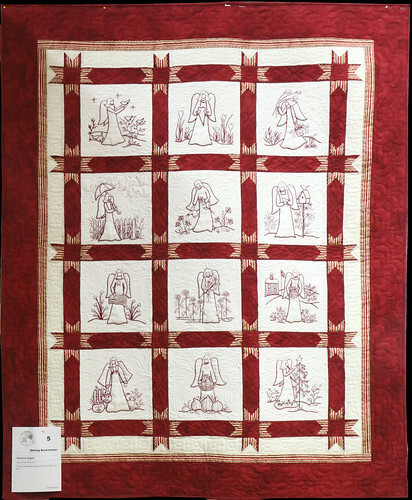 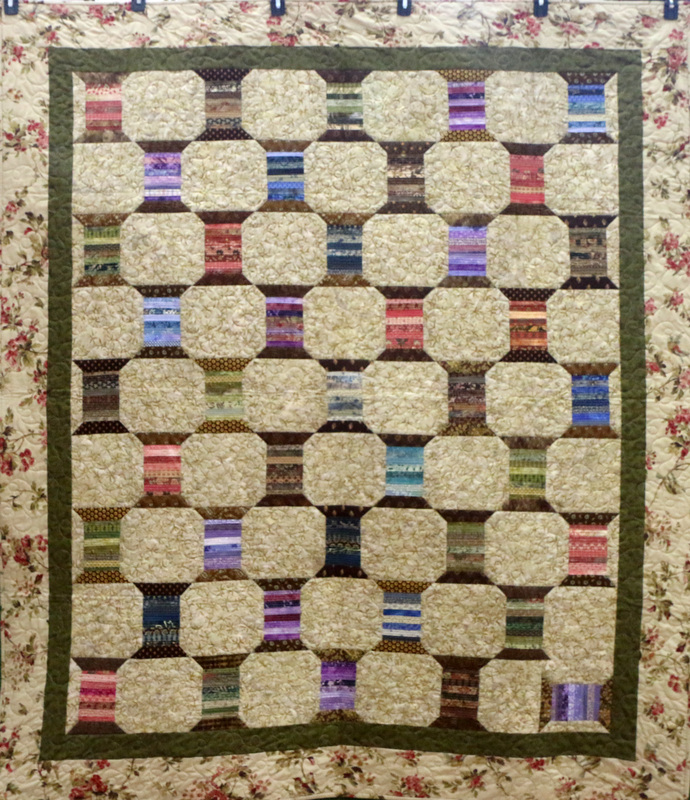 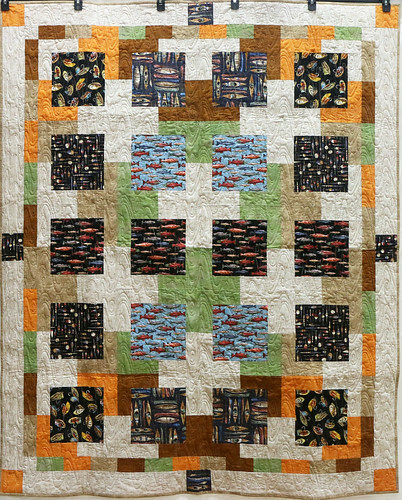 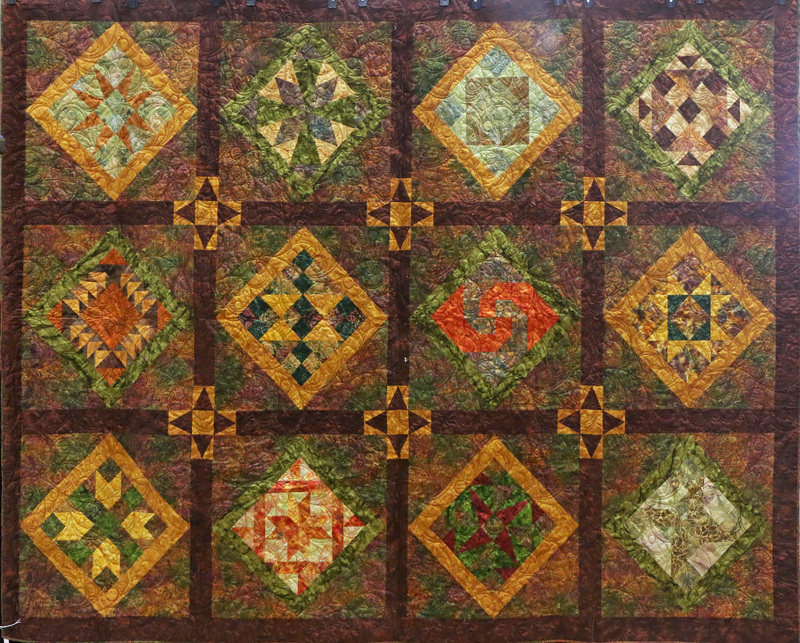 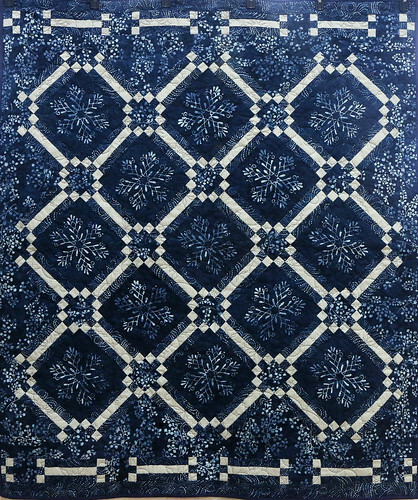 2006 Block of the Month, Earth Tone Batik Sampler Quilt by Sew Biz Quilt Shop in Marion, Indiana. I made this in the class through the guild.